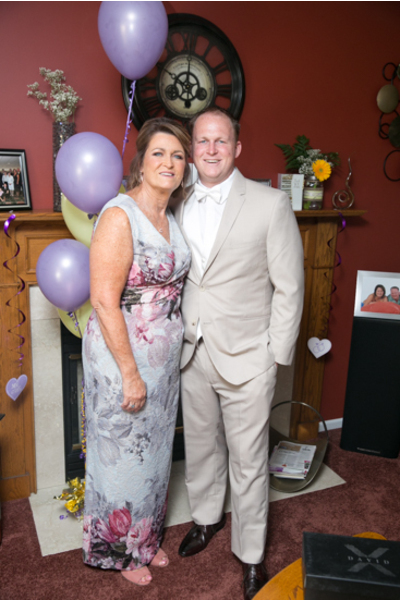 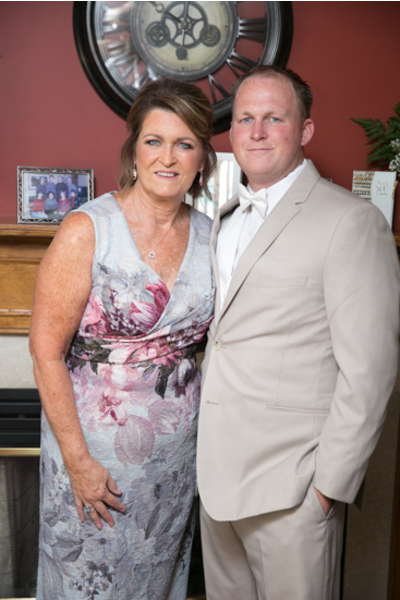 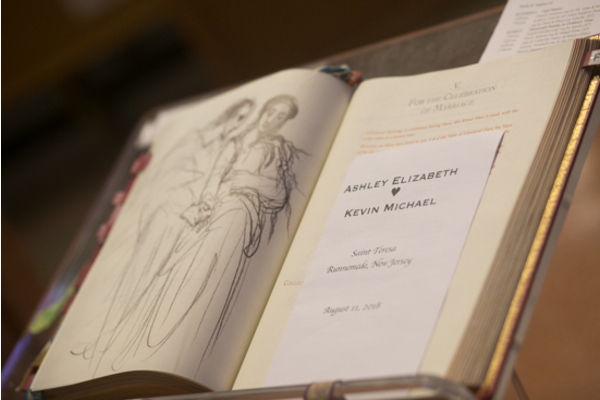 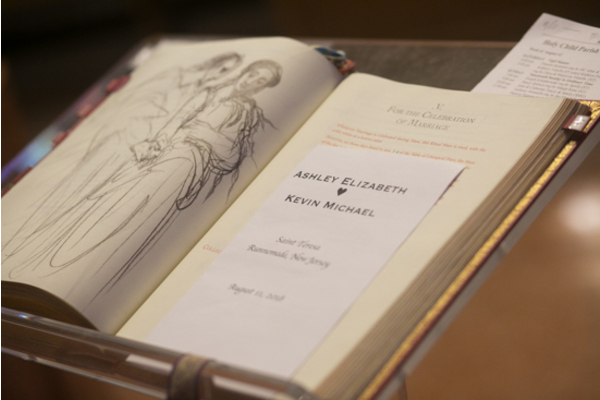 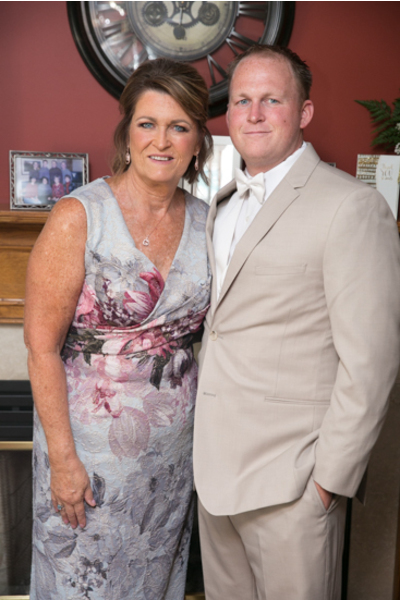 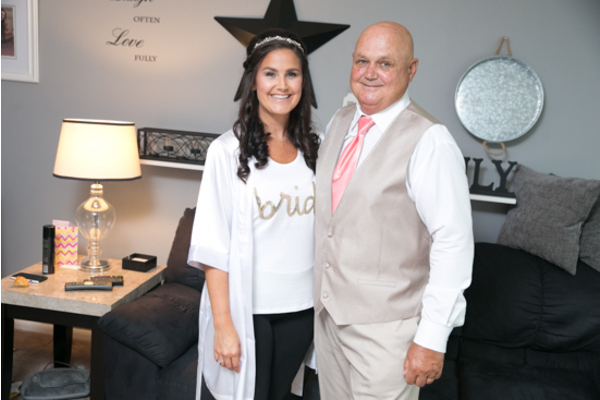 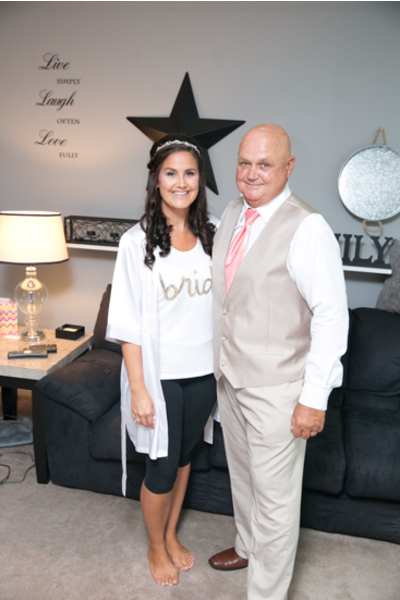 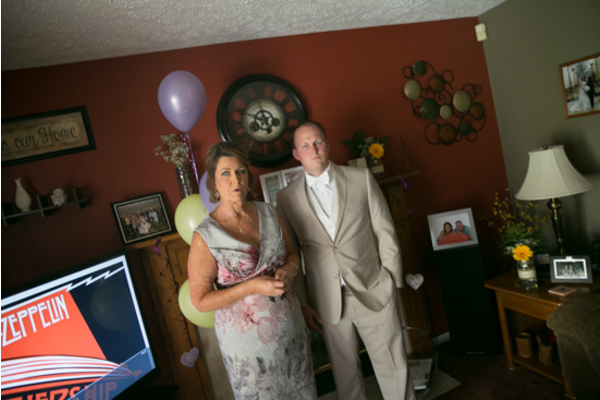 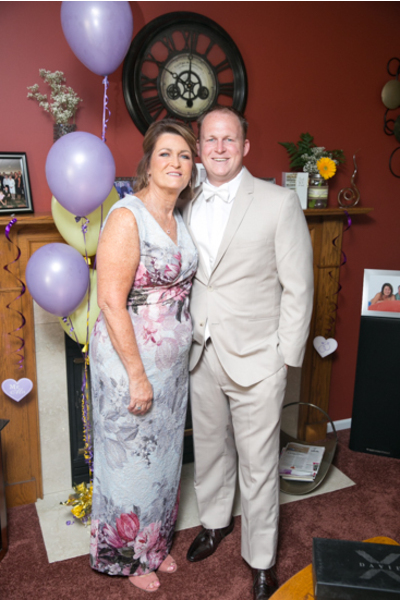 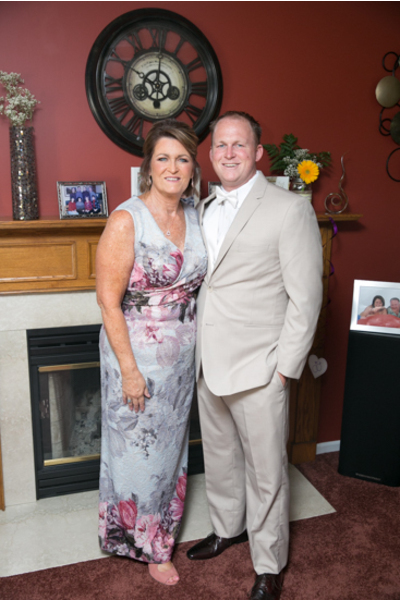 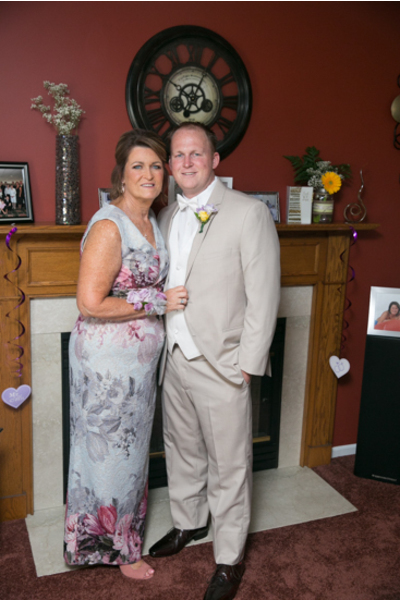 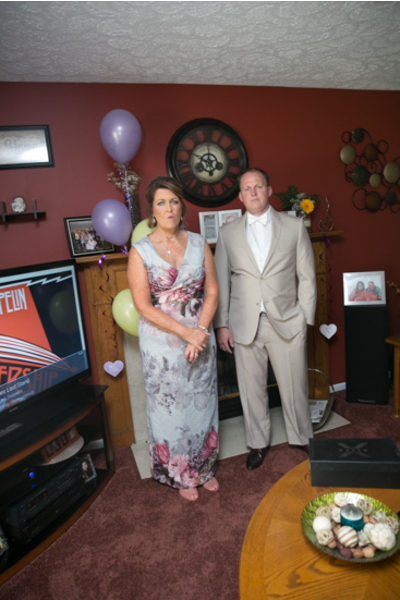 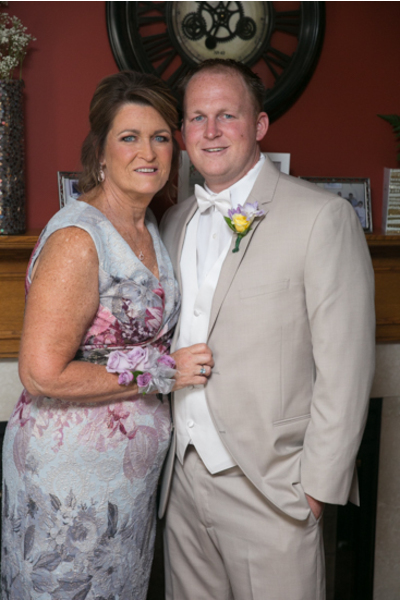 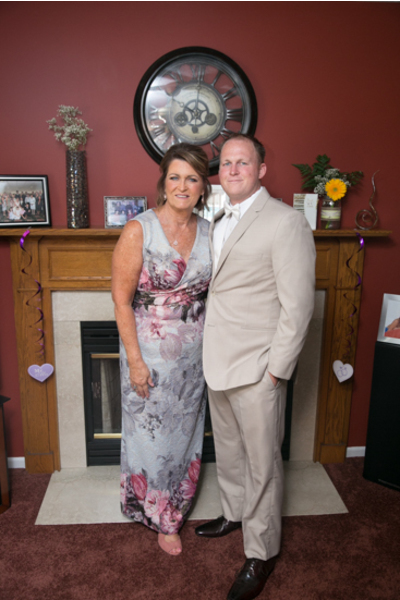 Congratulations to Ashley and Kevin on their special wedding day! 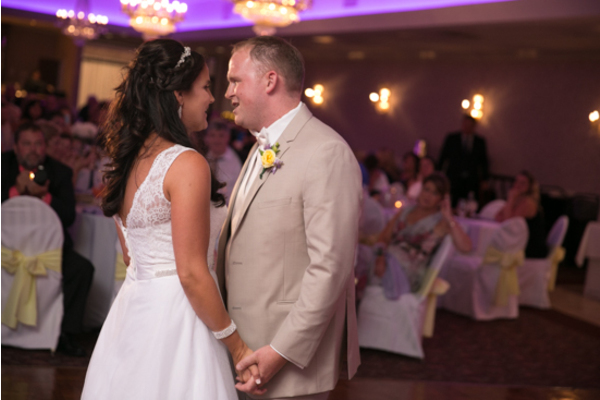 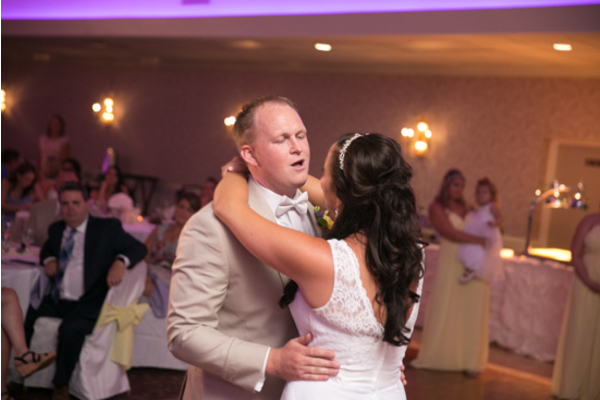 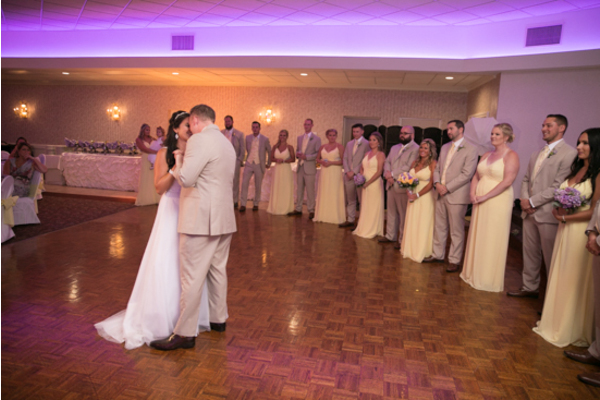 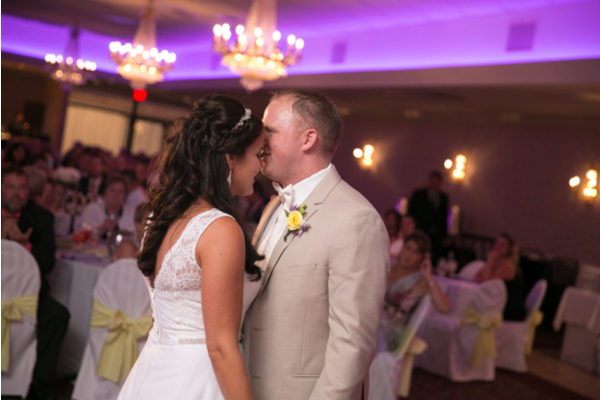 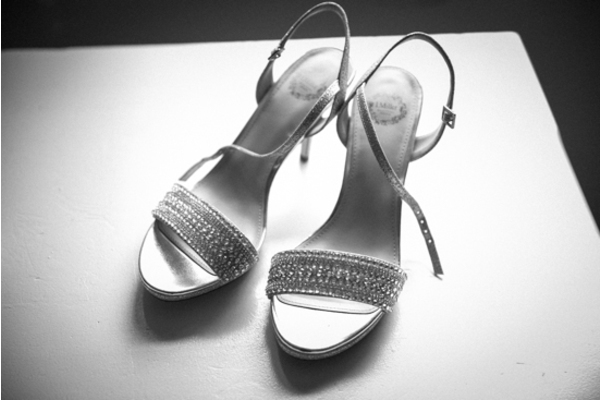 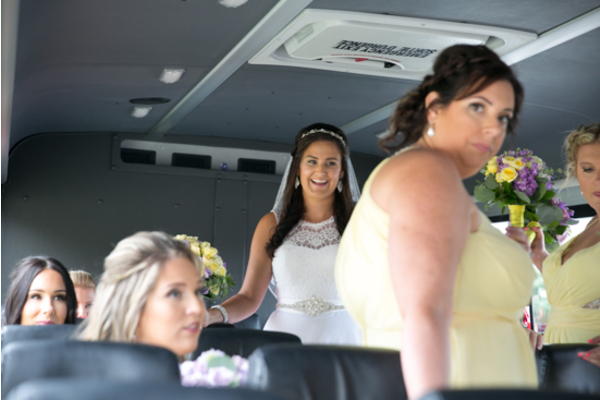 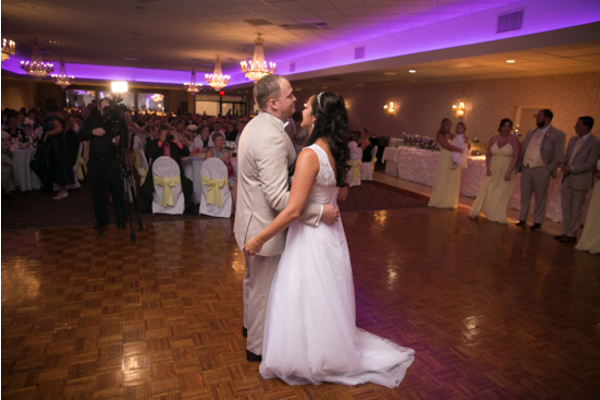 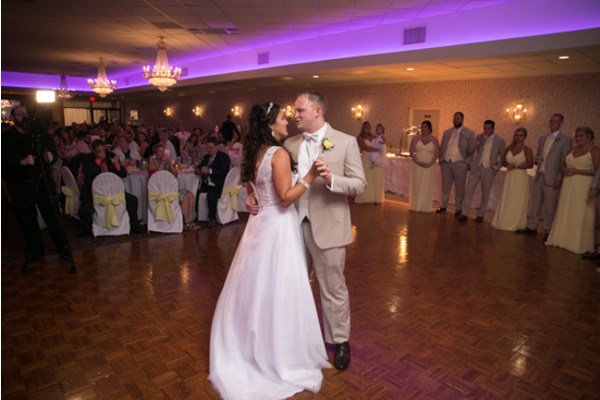 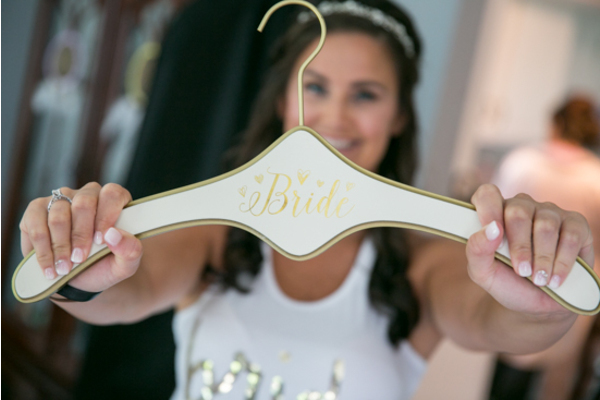 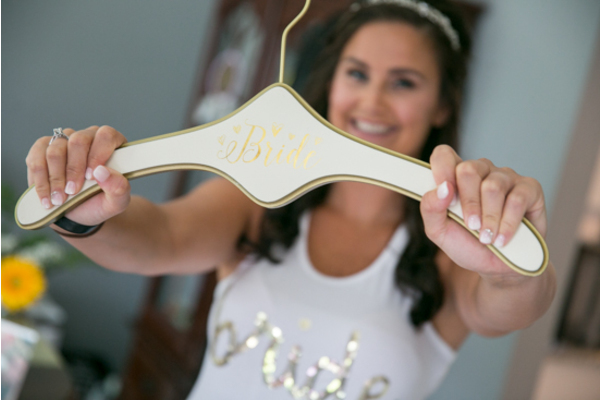 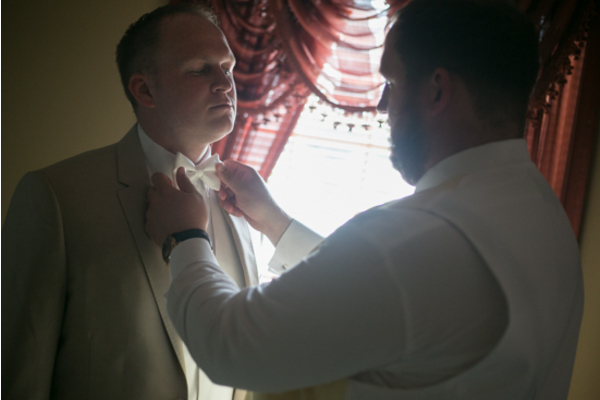 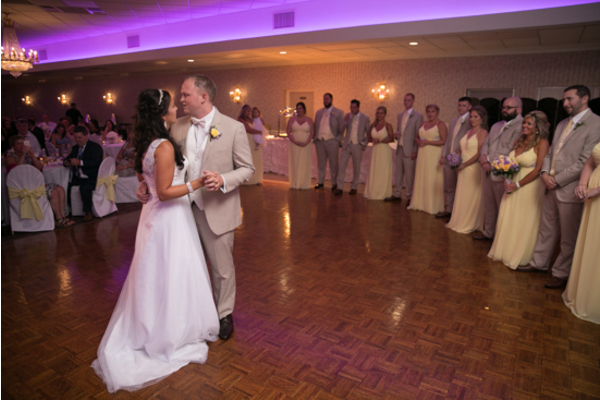 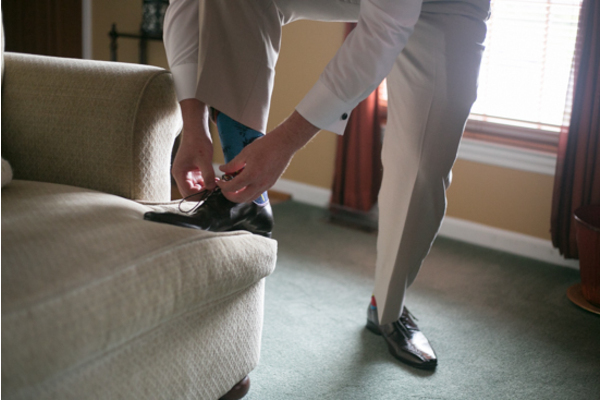 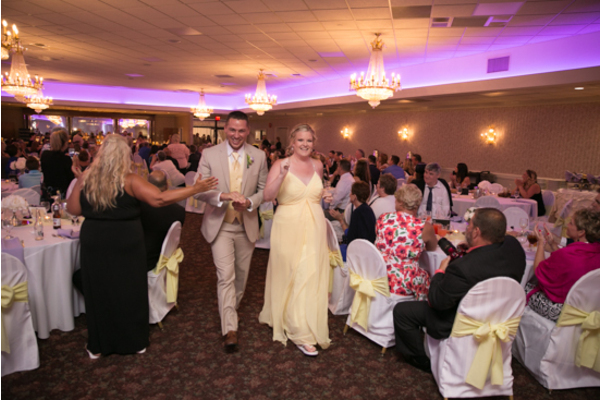 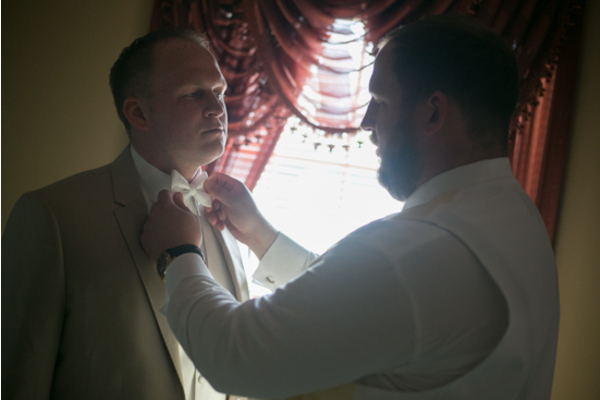 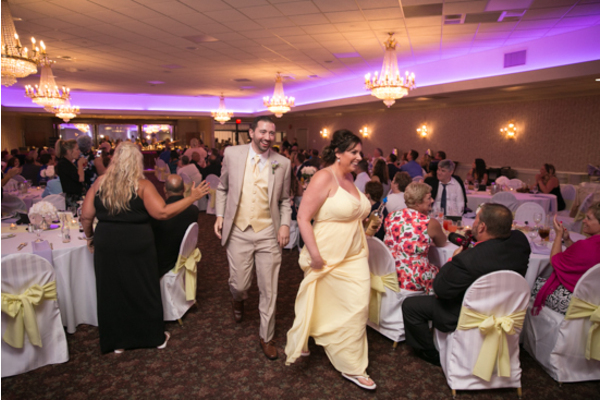 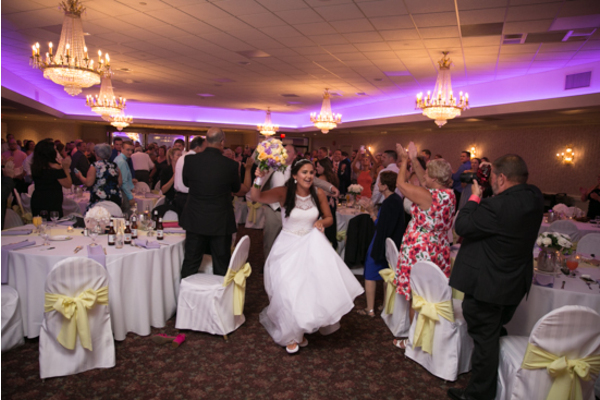 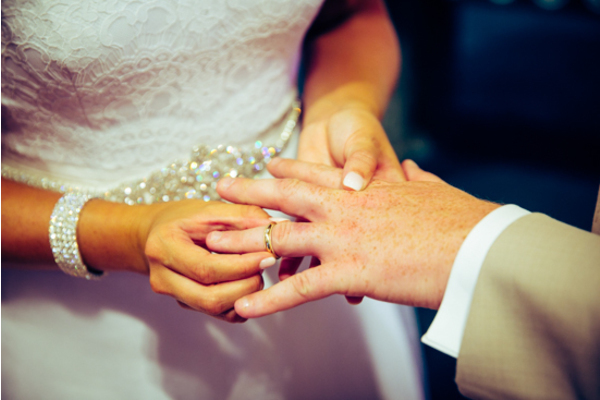 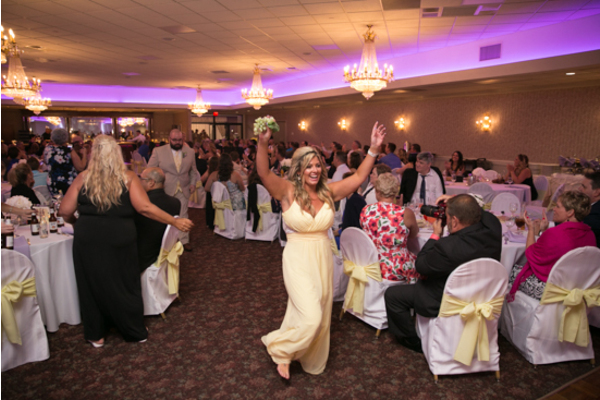 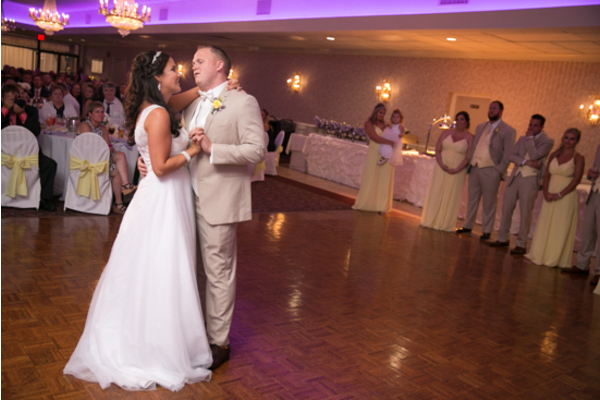 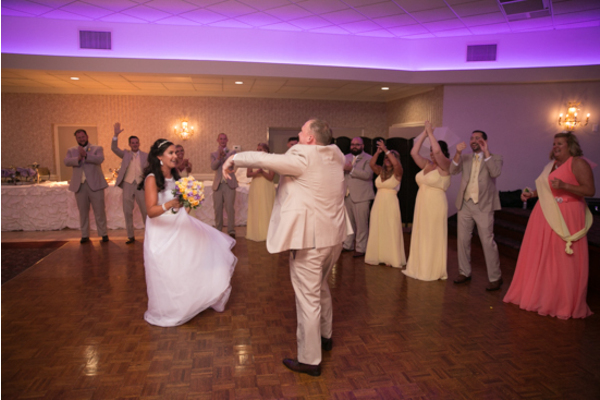 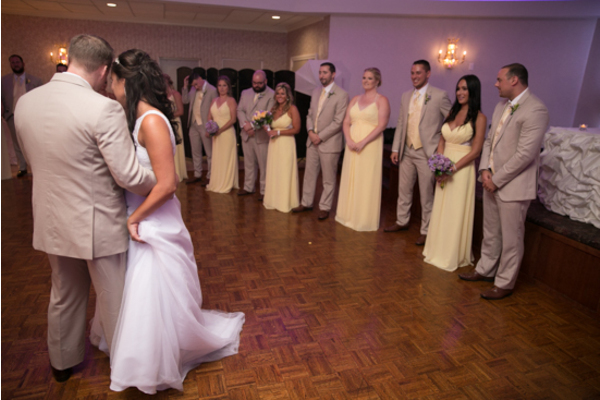 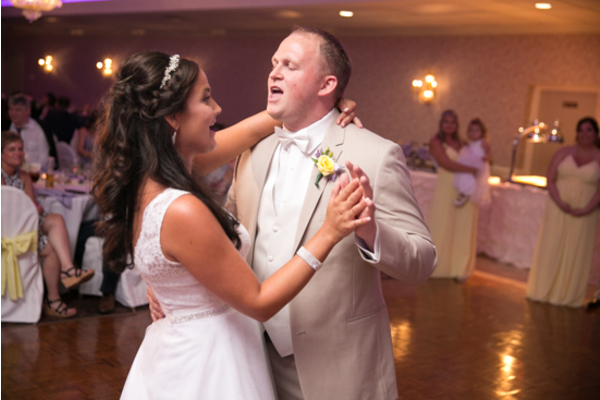 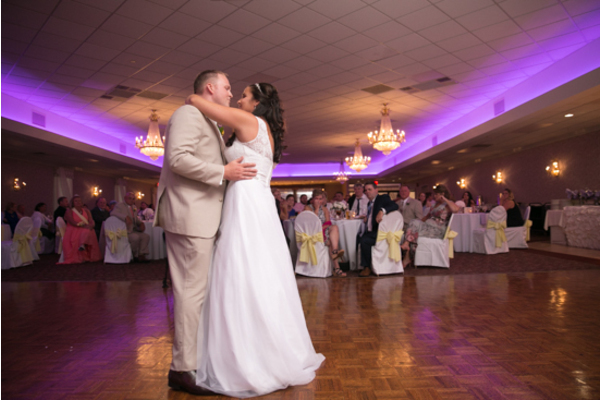 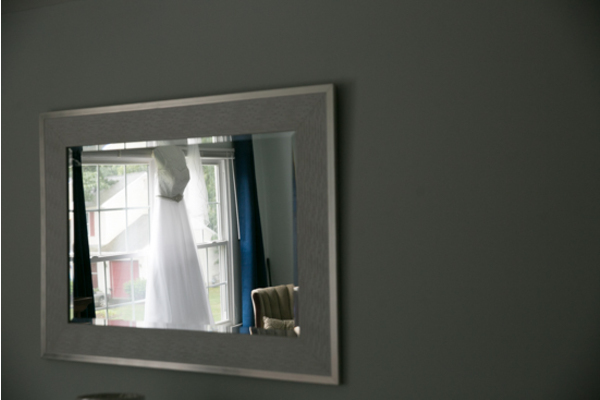 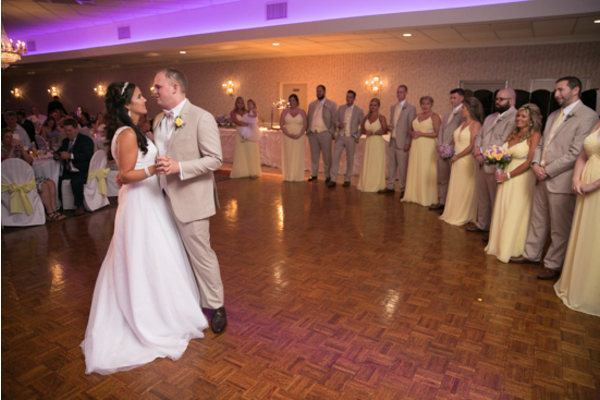 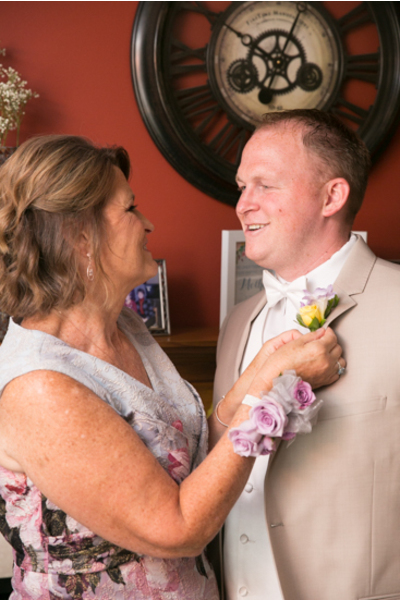 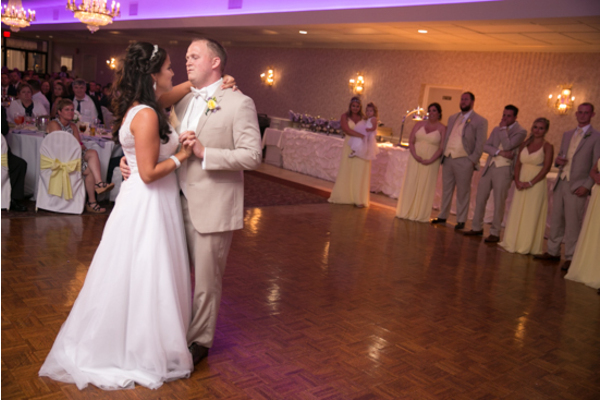 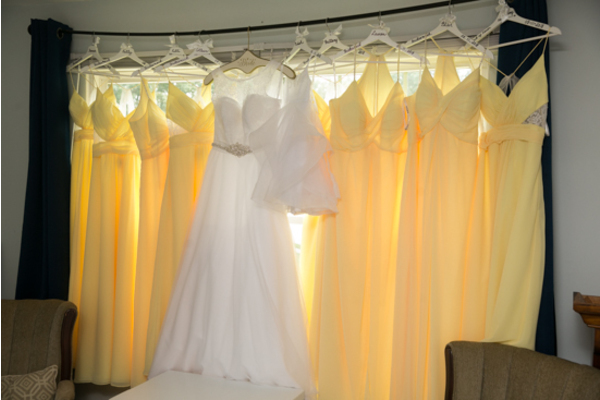 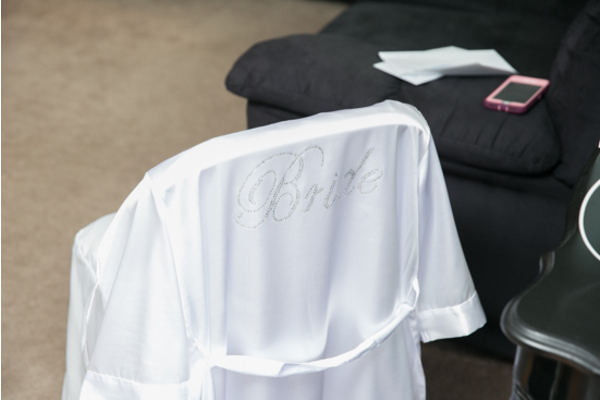 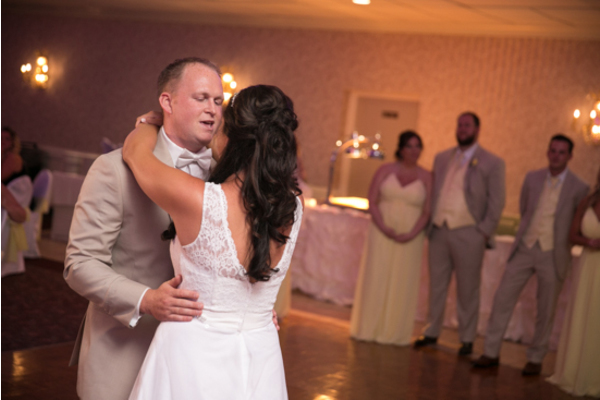 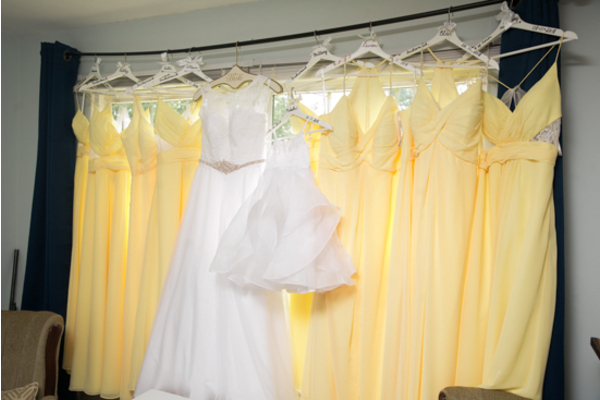 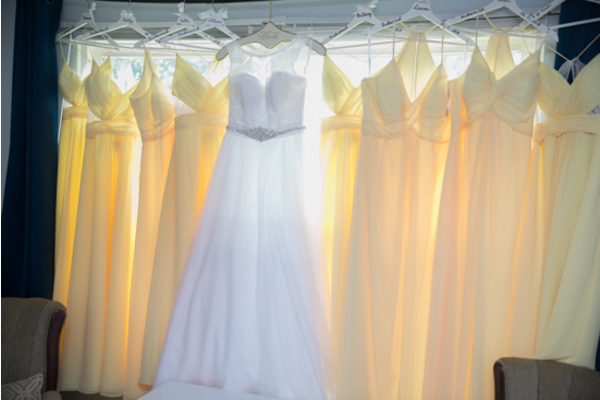 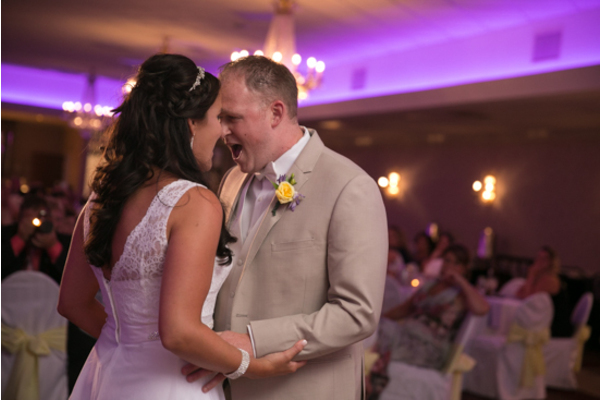 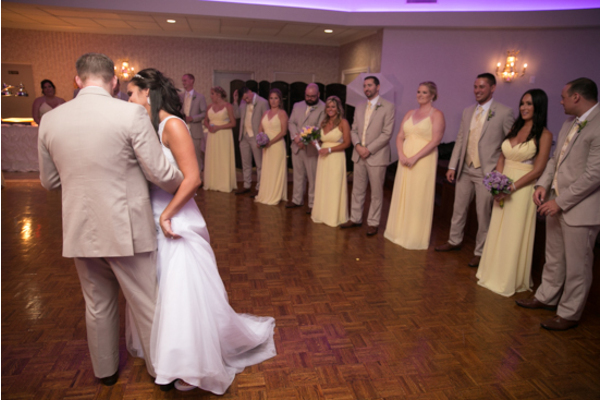 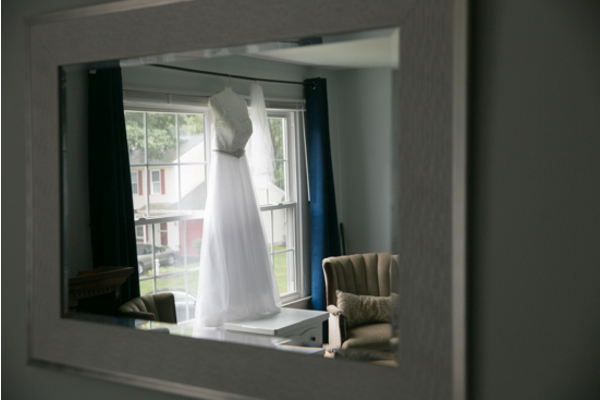 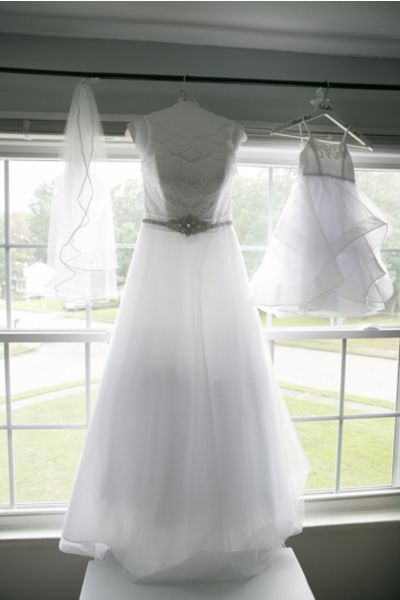 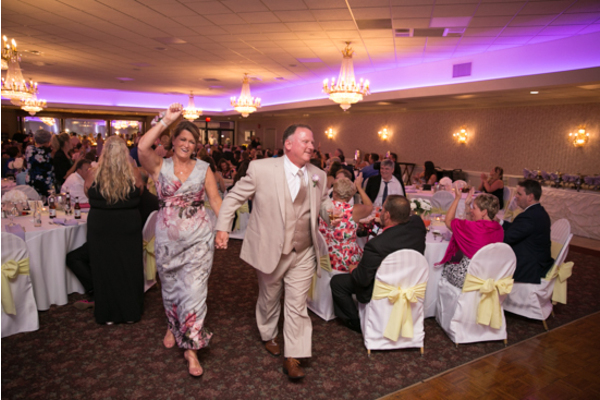 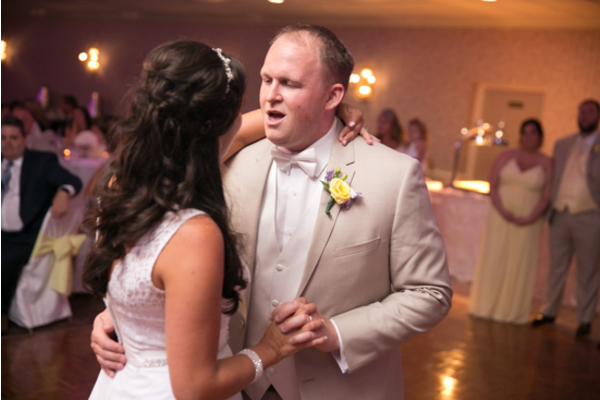 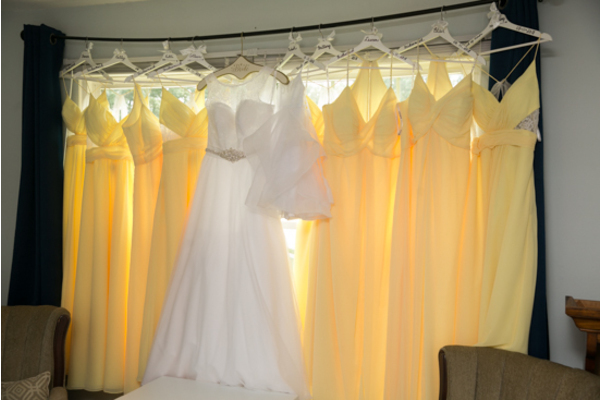 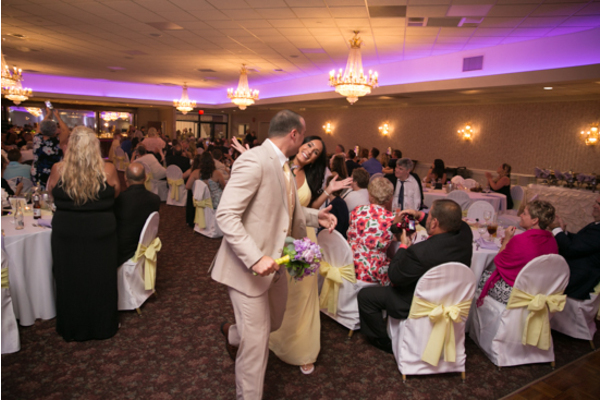 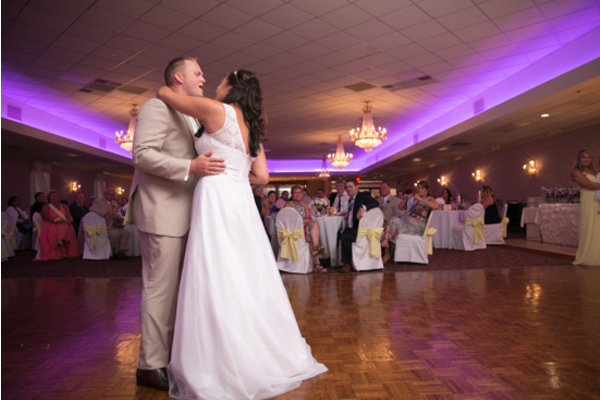 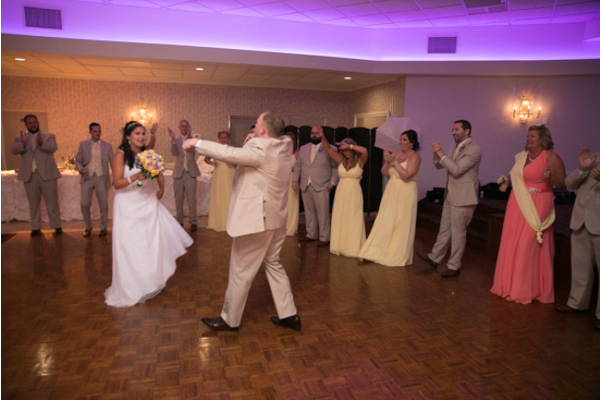 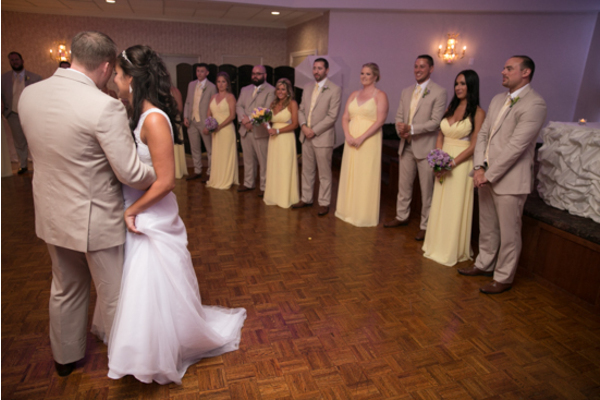 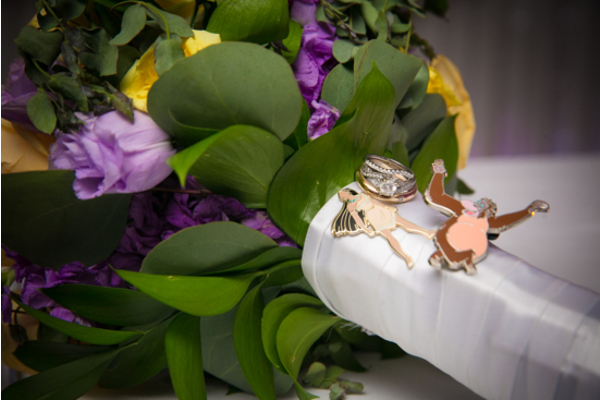 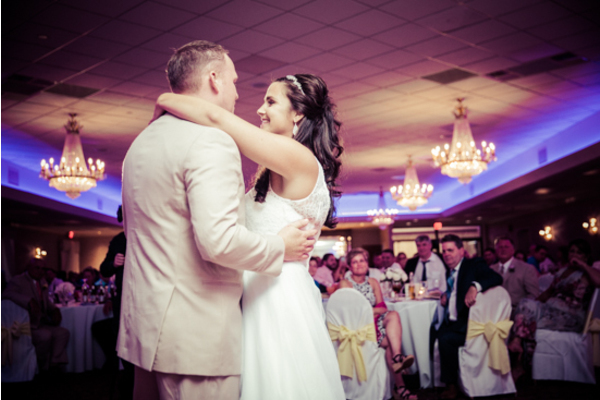 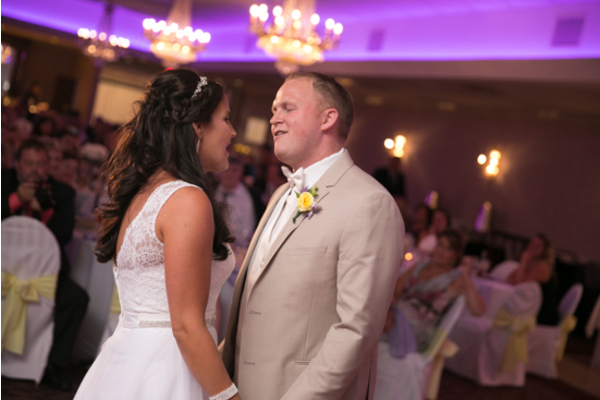 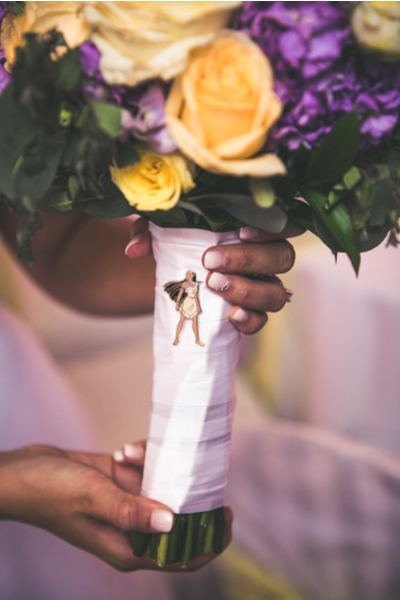 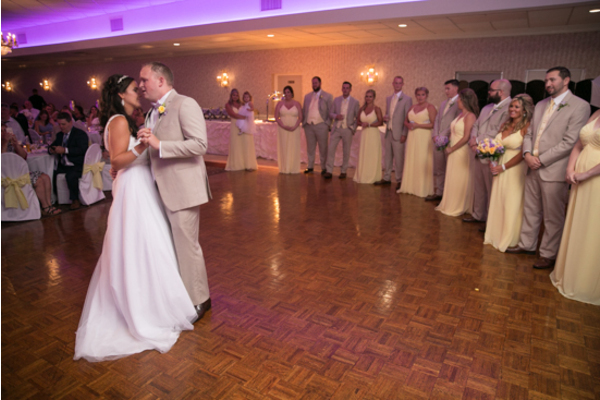 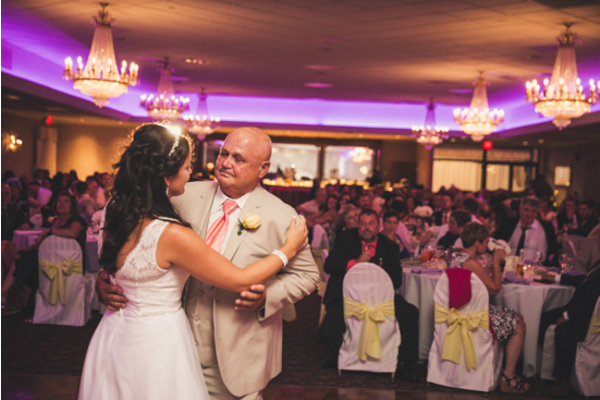 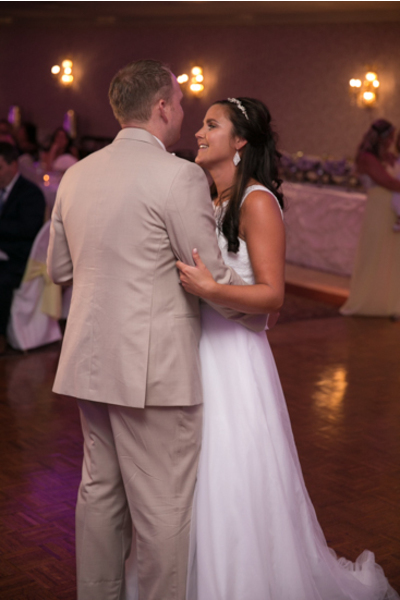 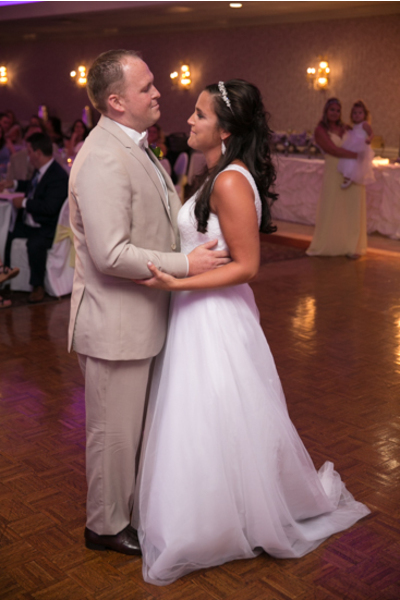 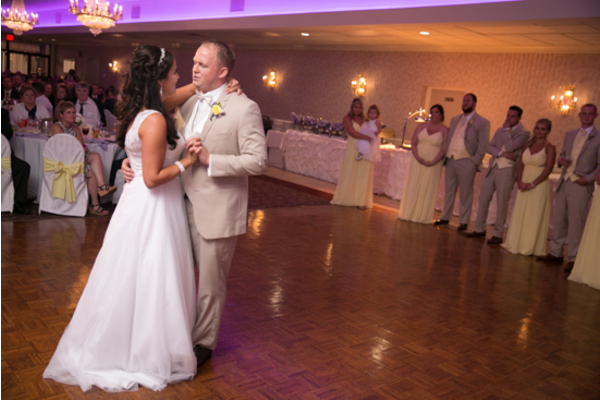 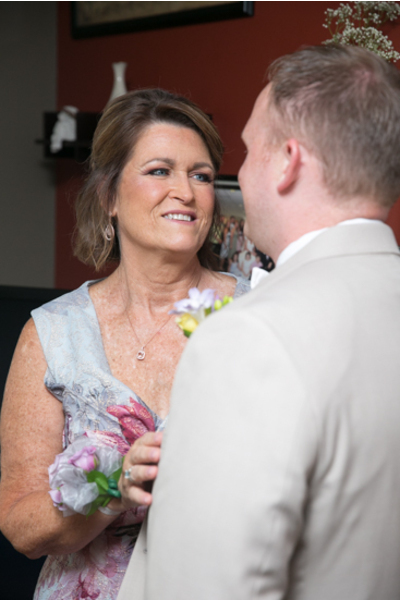 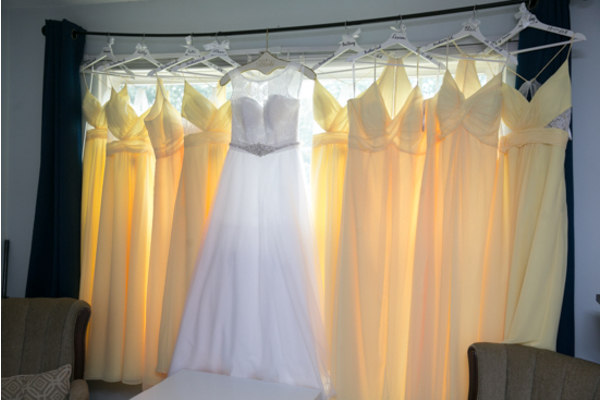 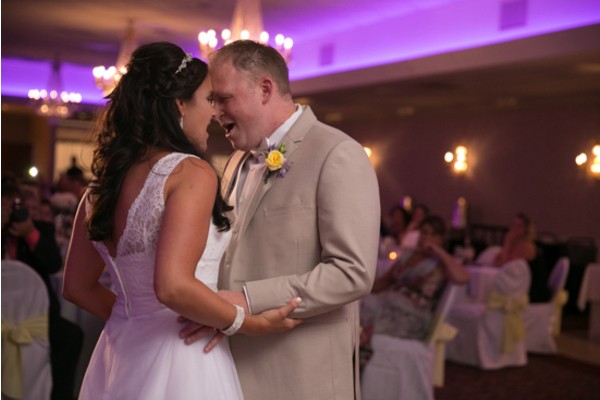 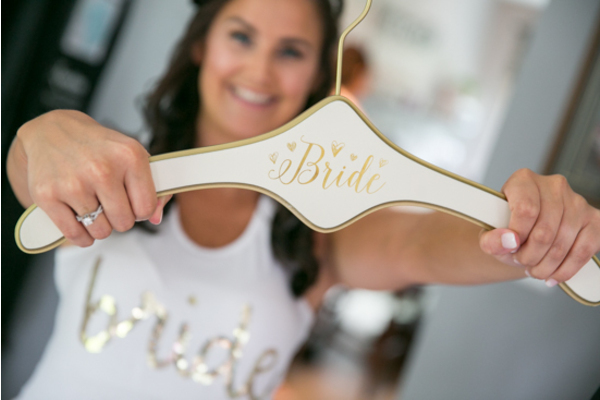 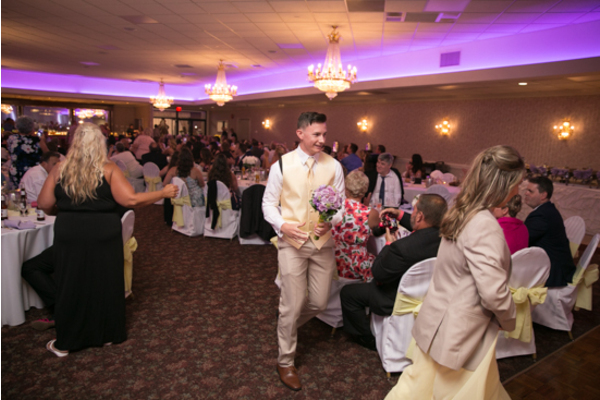 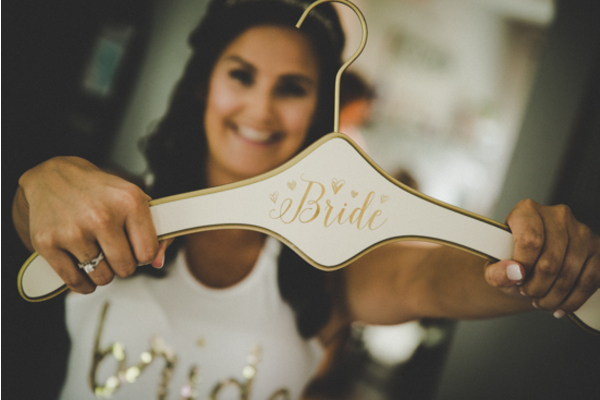 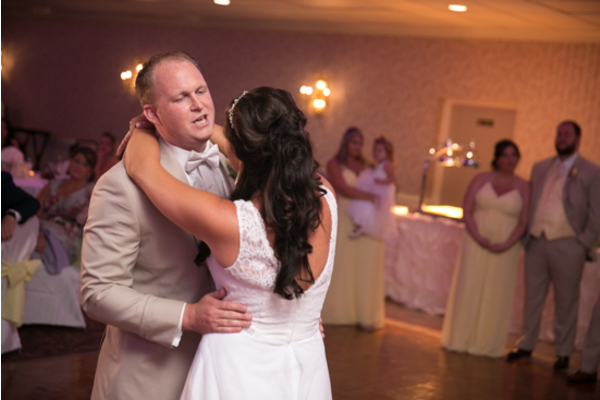 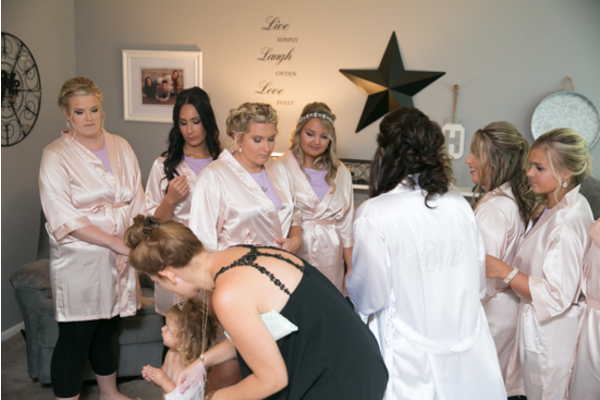 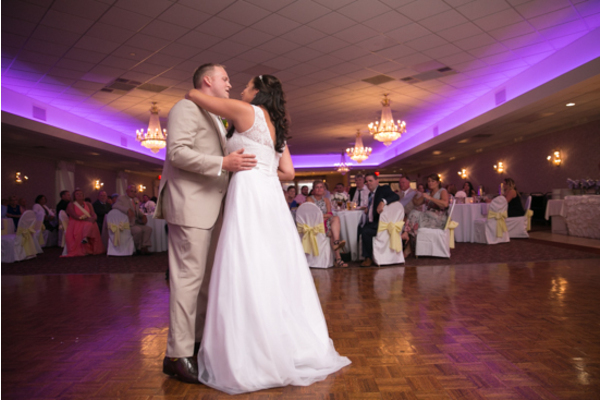 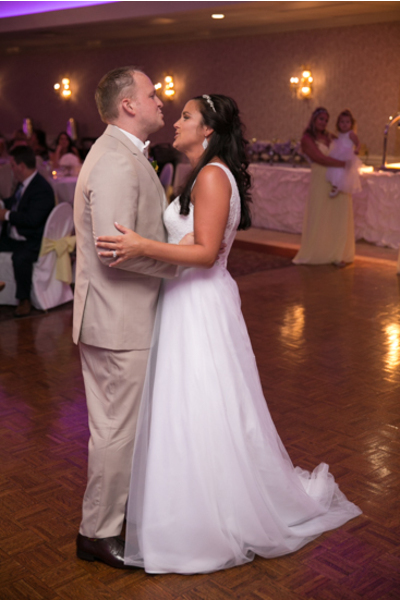 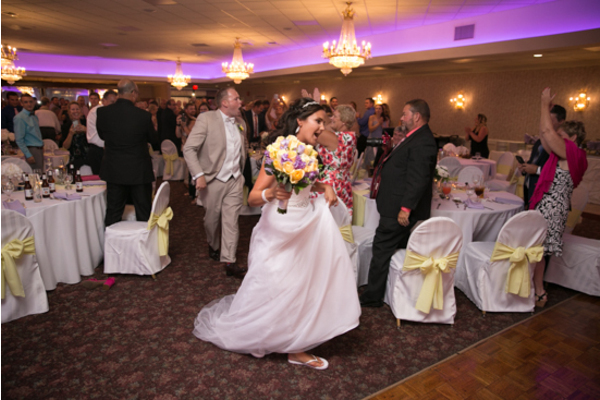 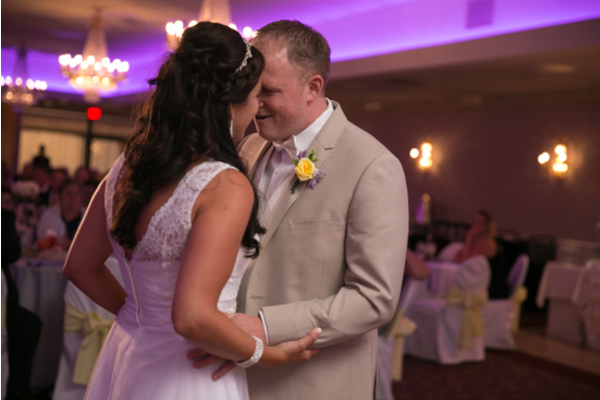 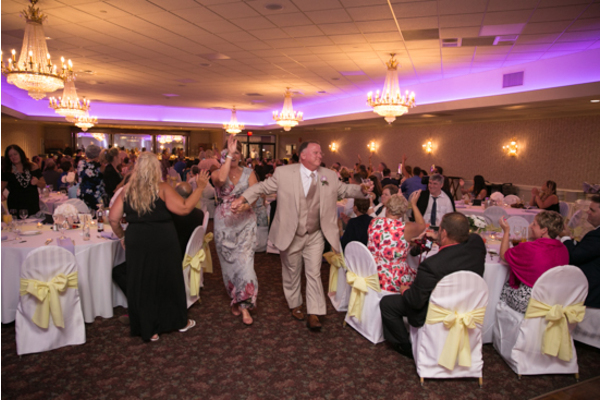 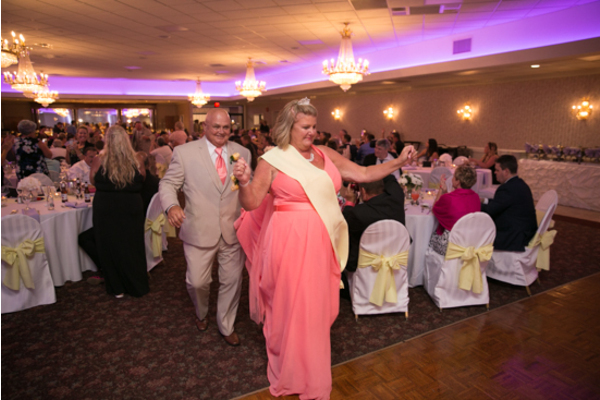 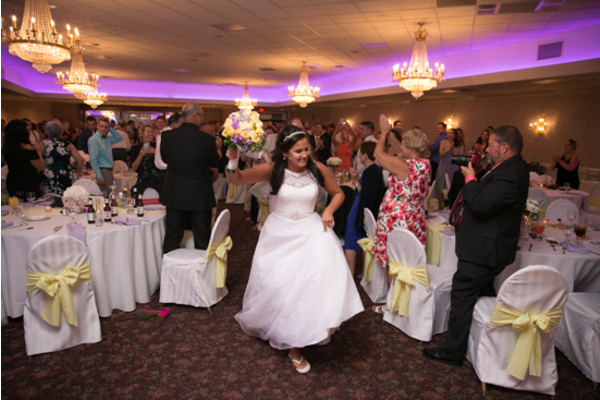 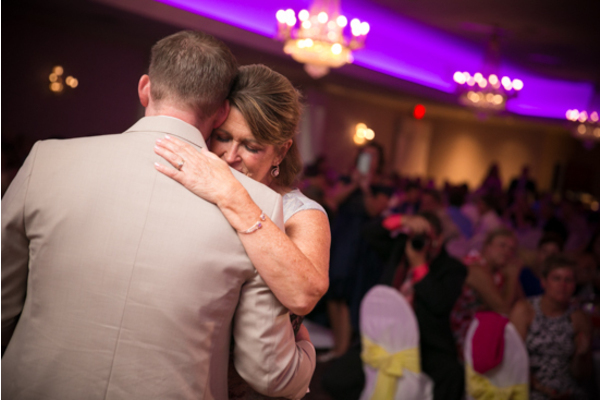 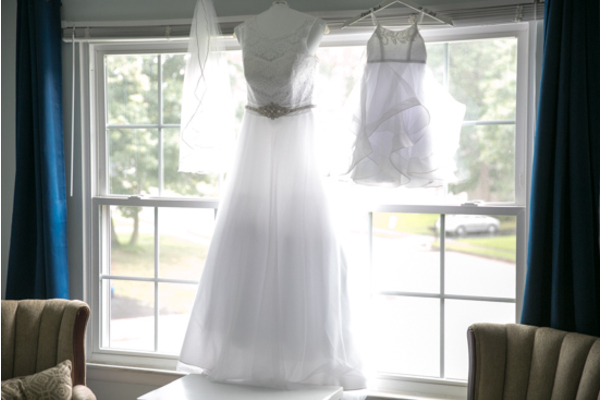 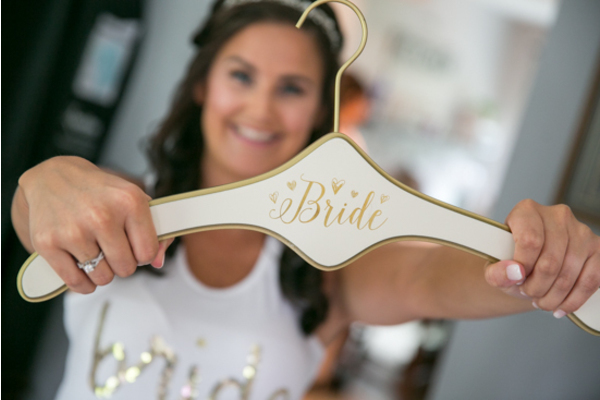 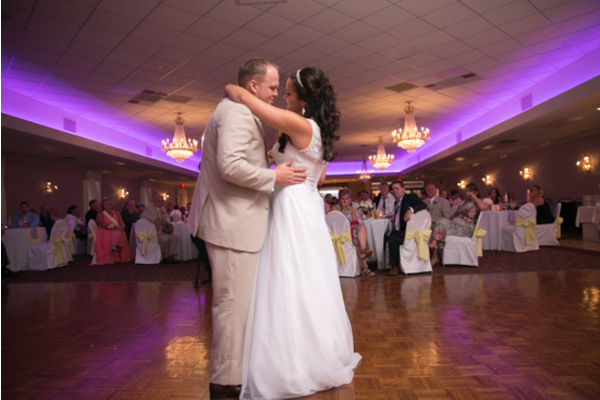 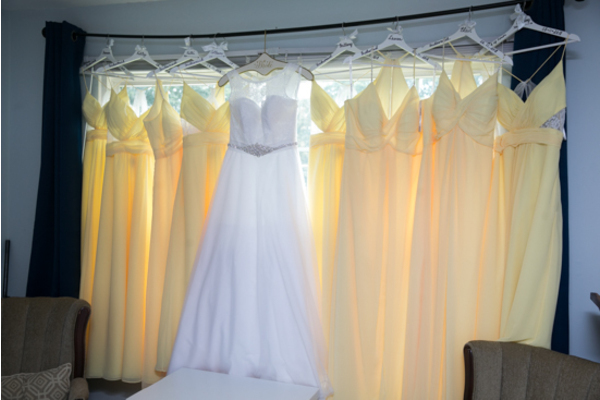 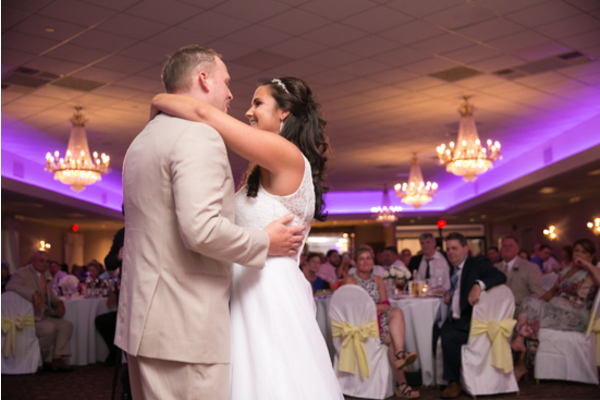 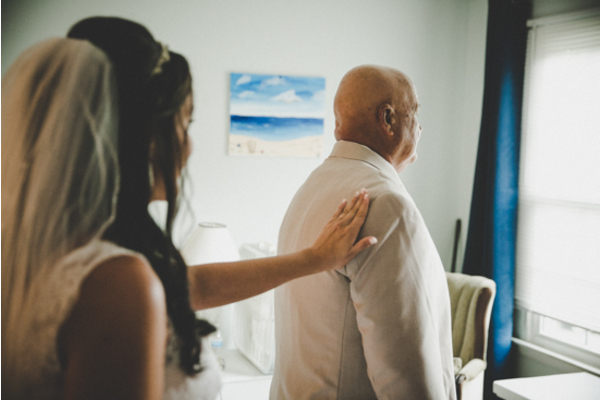 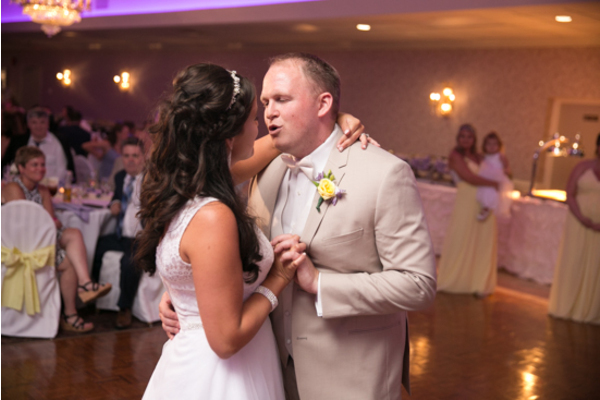 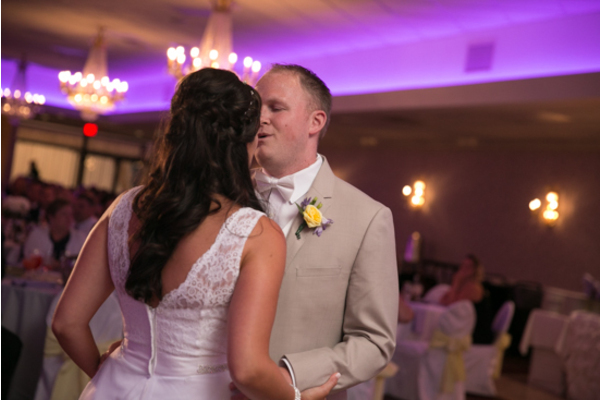 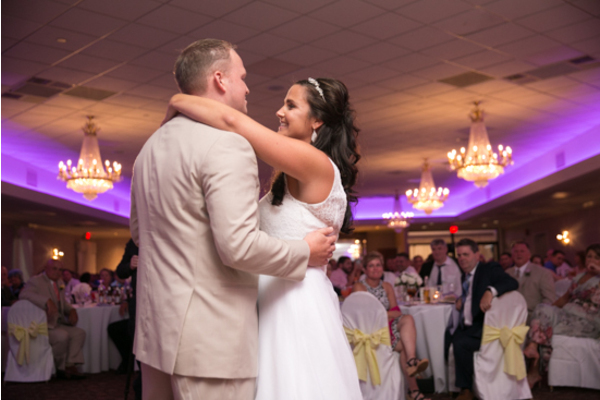 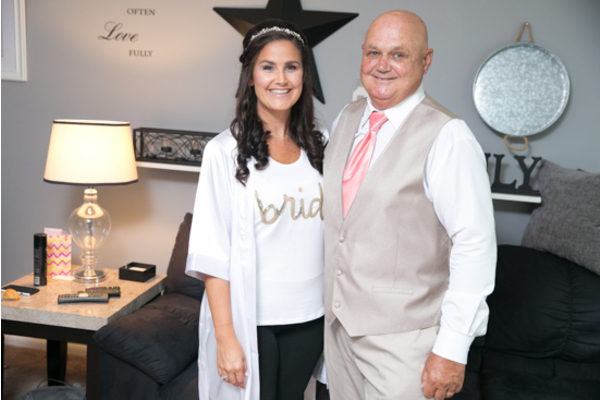 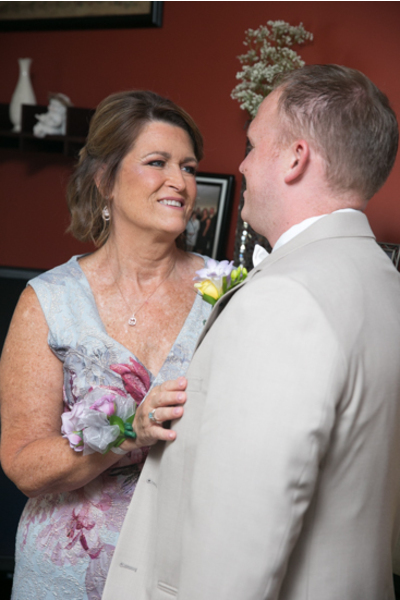 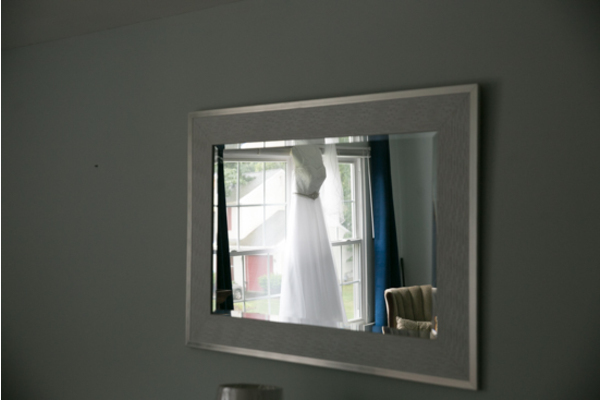 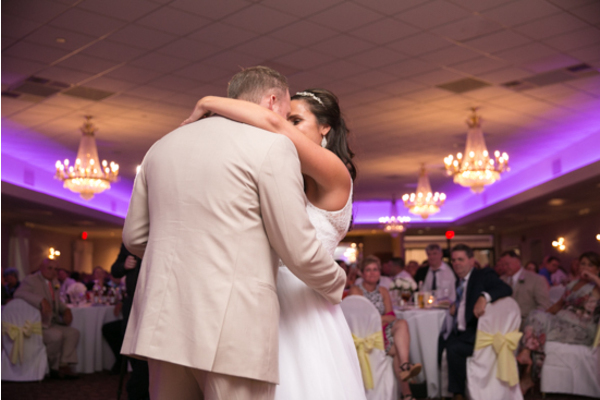 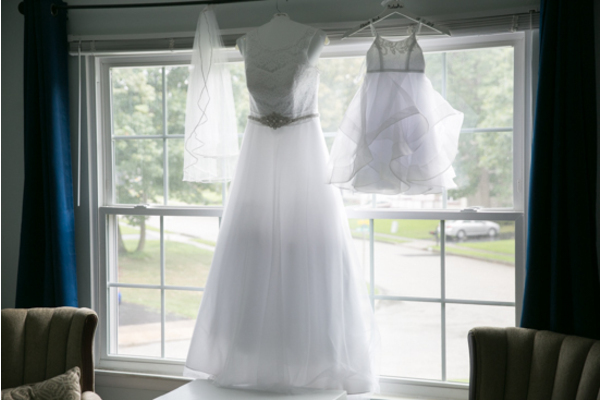 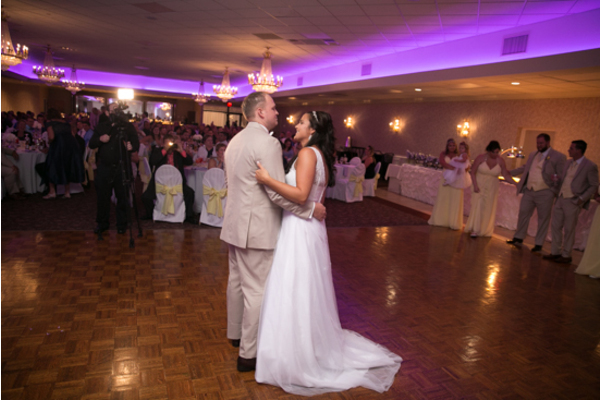 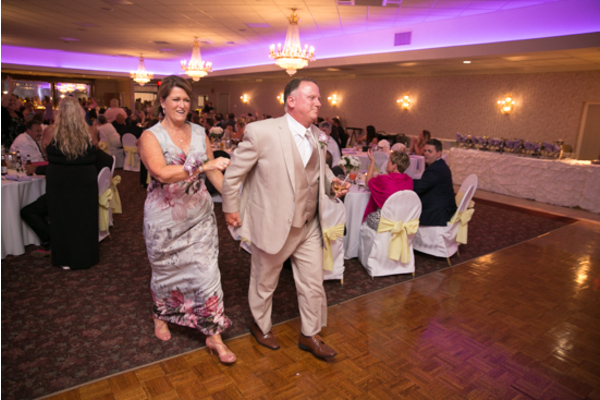 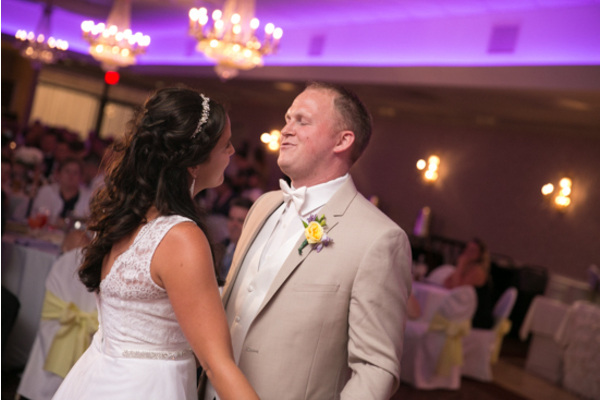 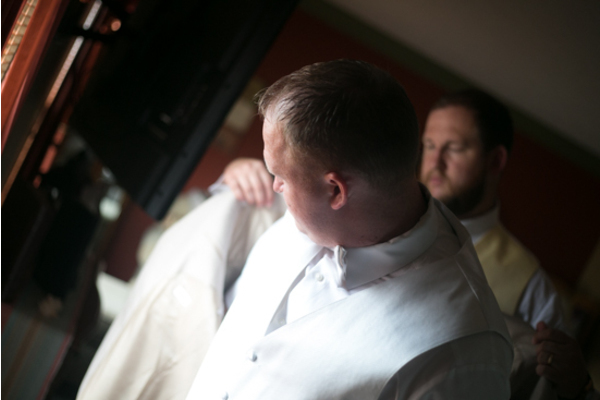 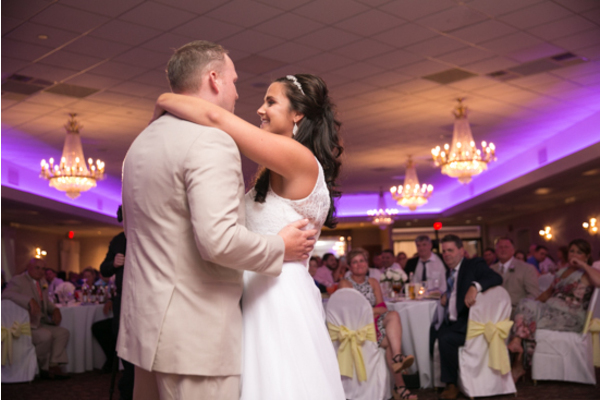 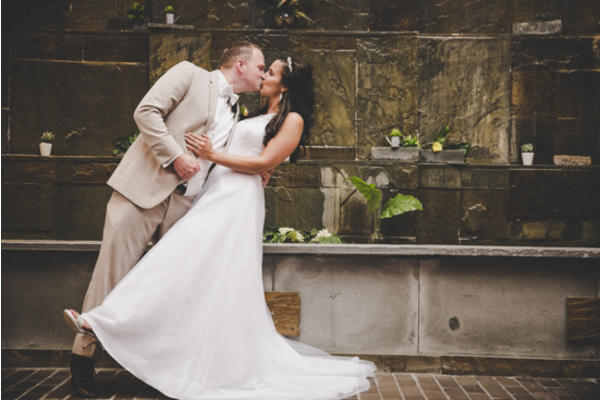 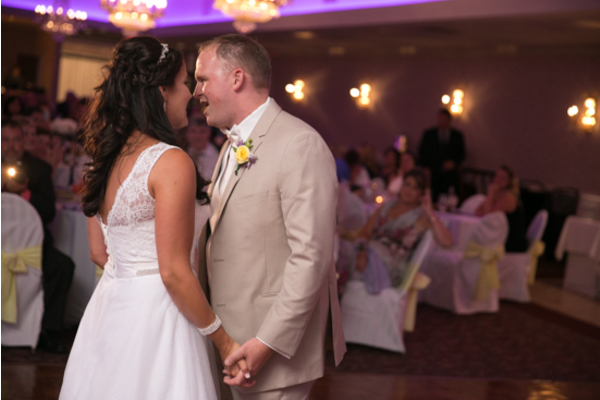 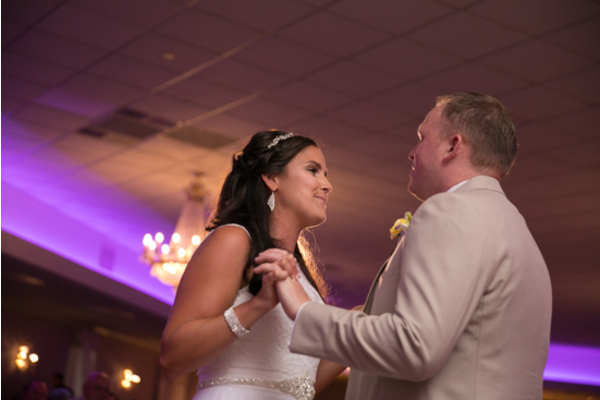 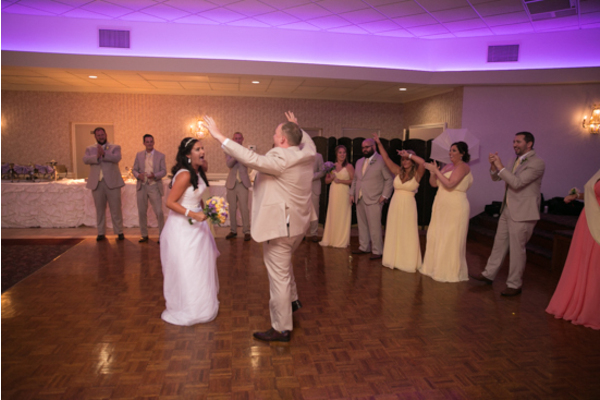 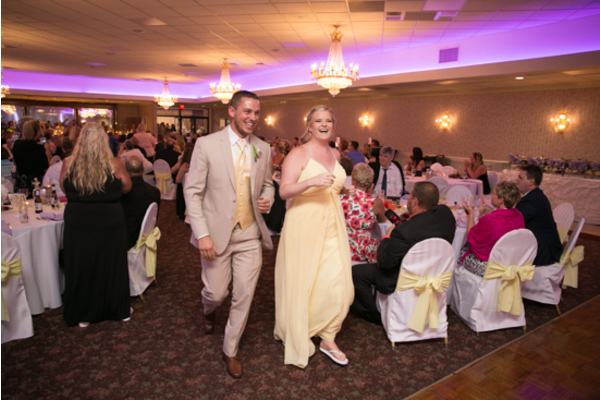 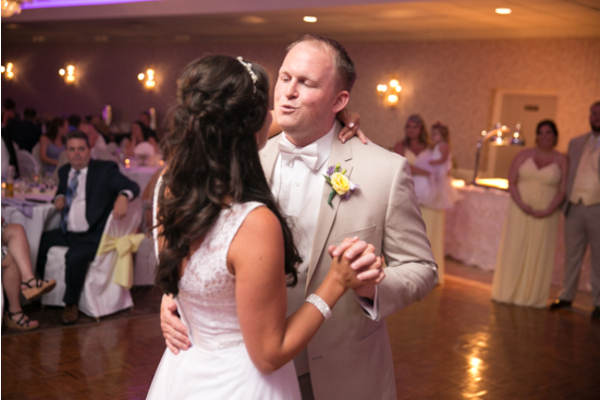 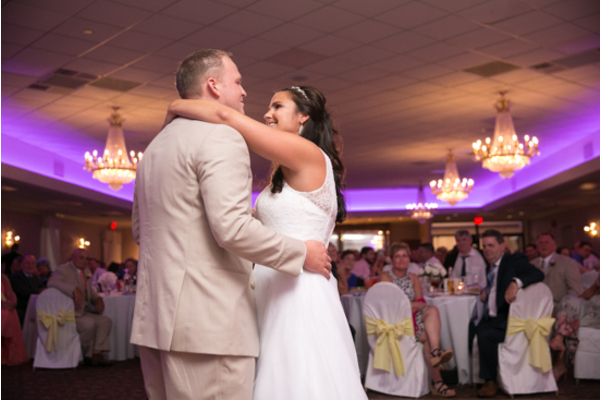 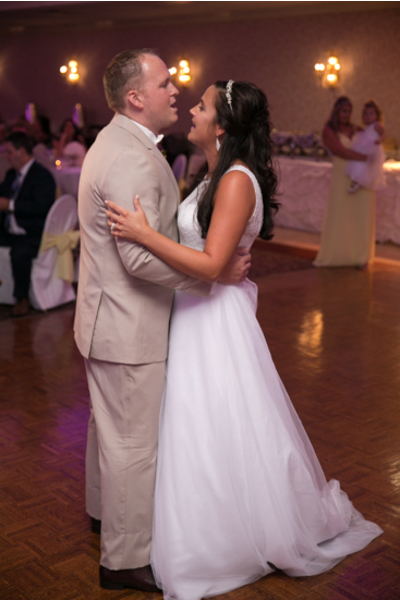 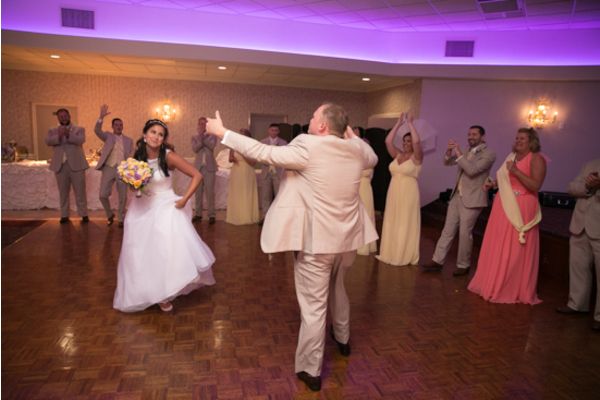 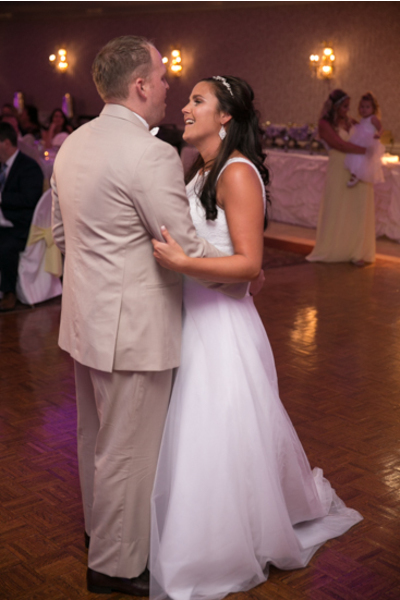 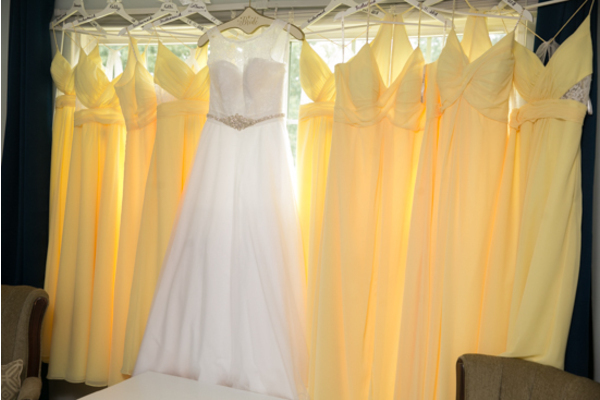 This romantic couple got married on August 11th, at the Waterfall Room Philadelphia, PA.
To start off the day, our NJ Wedding Photographer photographed the bride and groom in their dressing rooms. 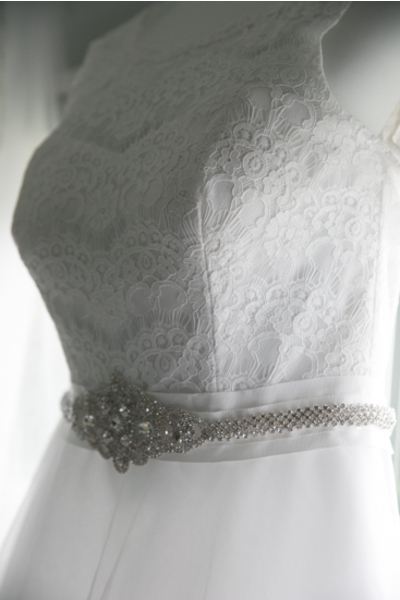 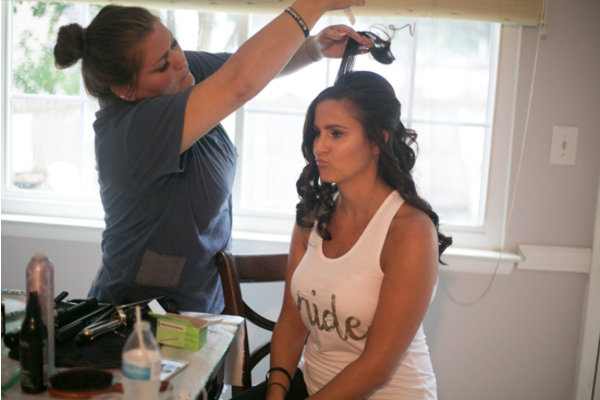 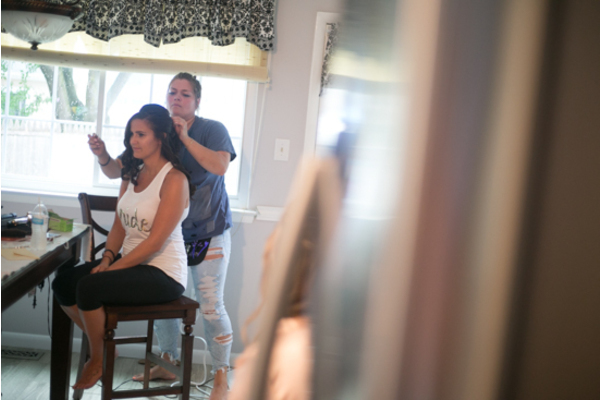 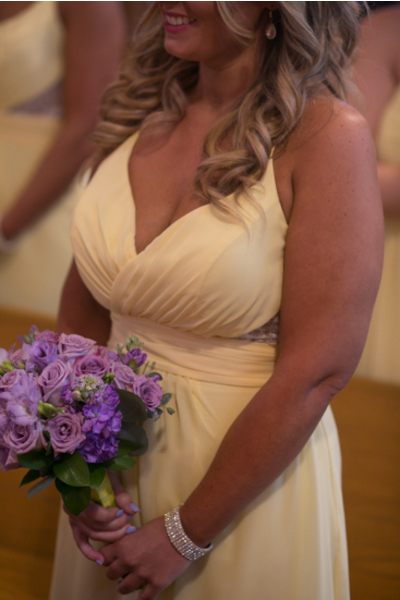 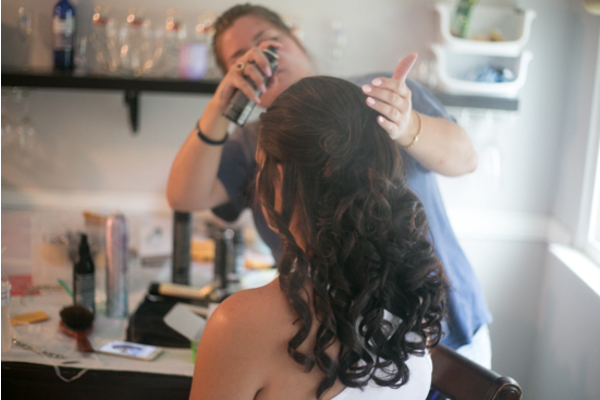 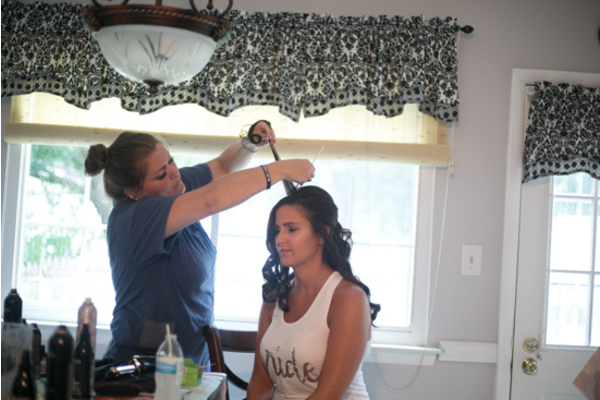 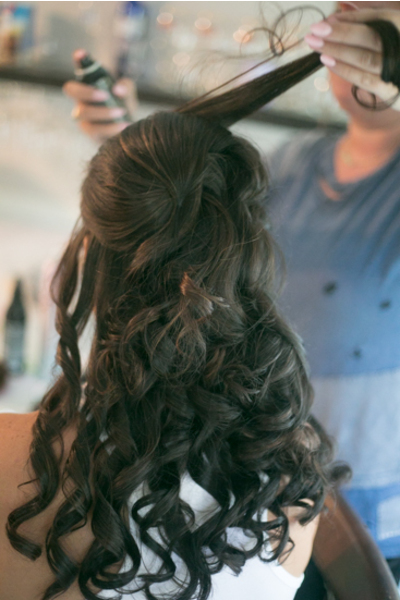 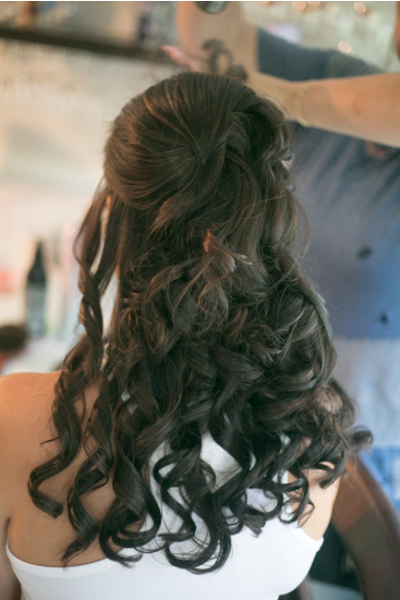 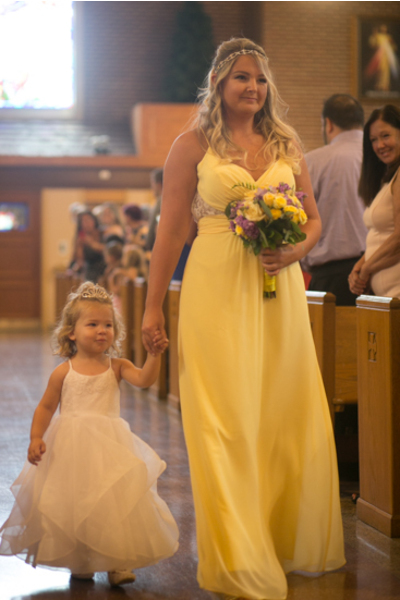 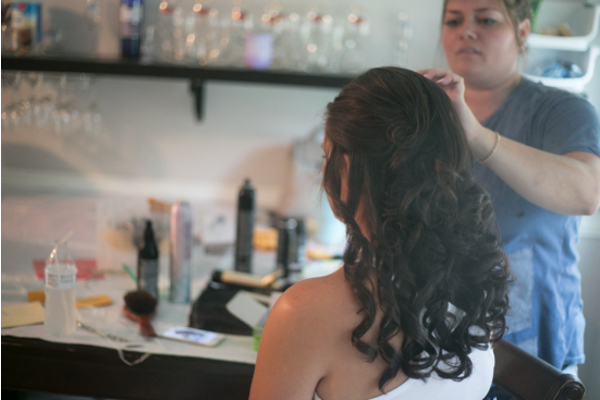 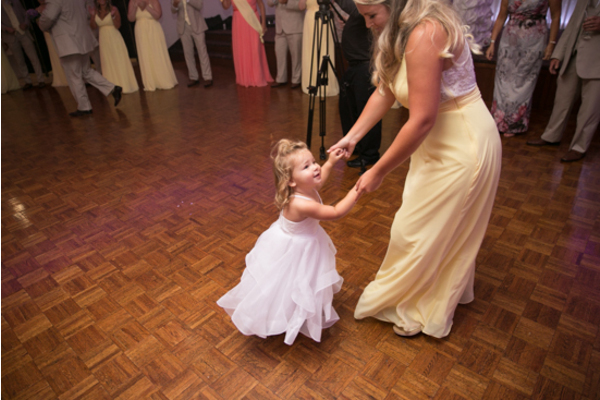 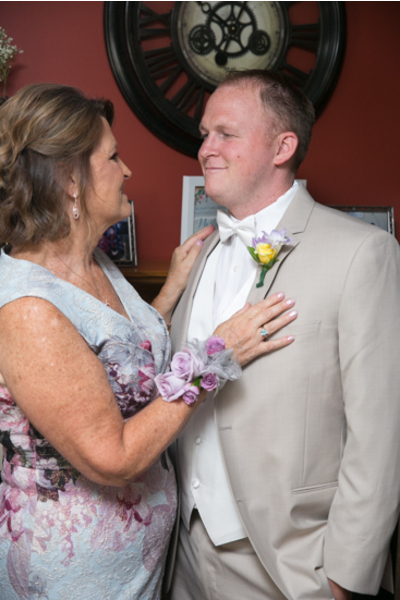 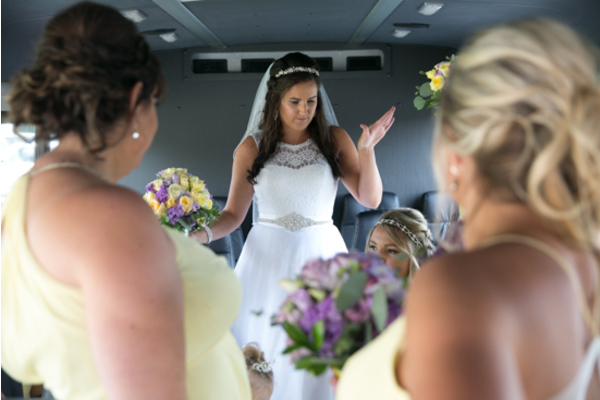 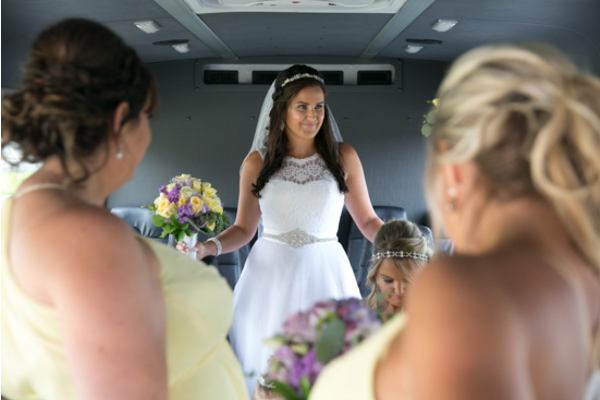 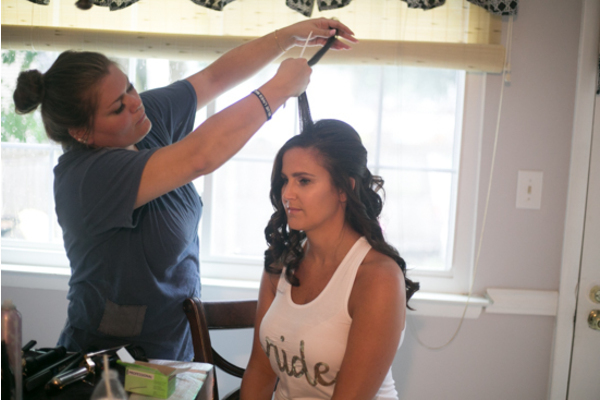 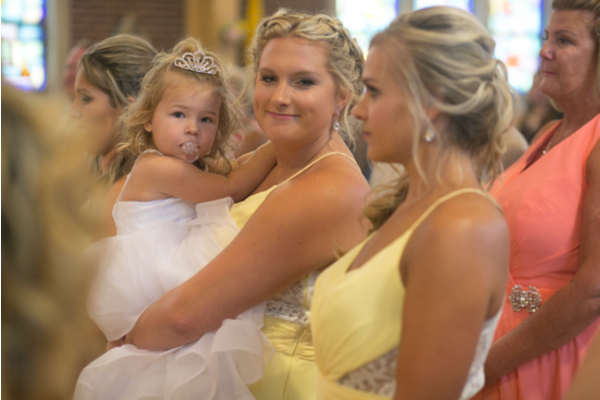 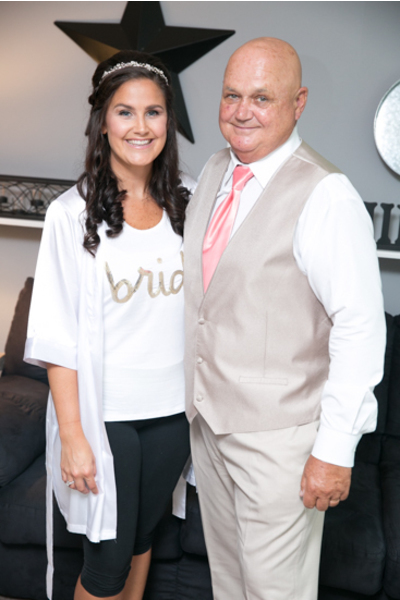 Ashley’s curled hair was pulled back with a gorgeous headband as she wore a stunning detailed lace gown. 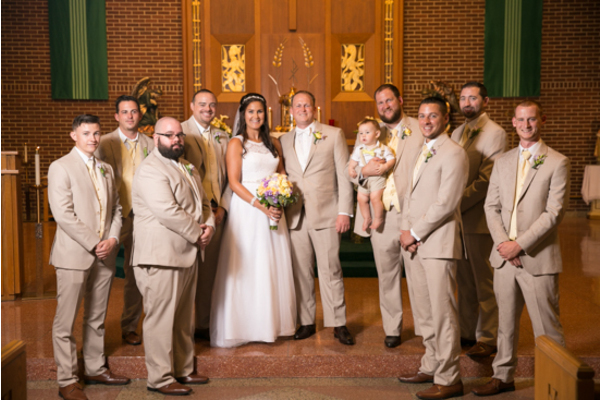 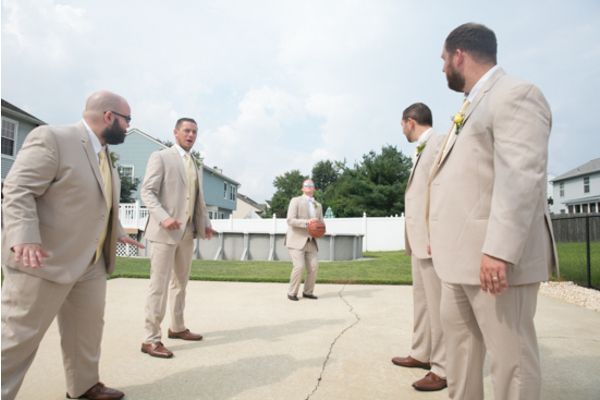 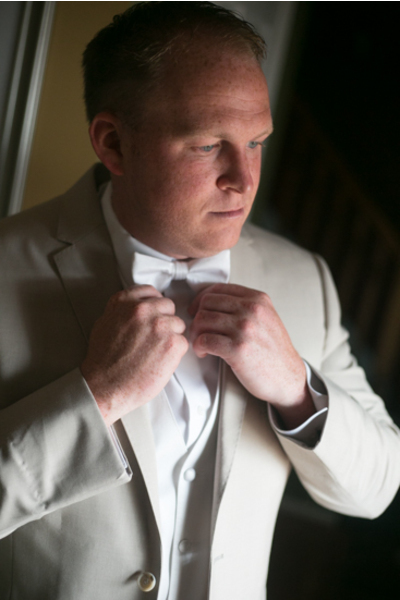 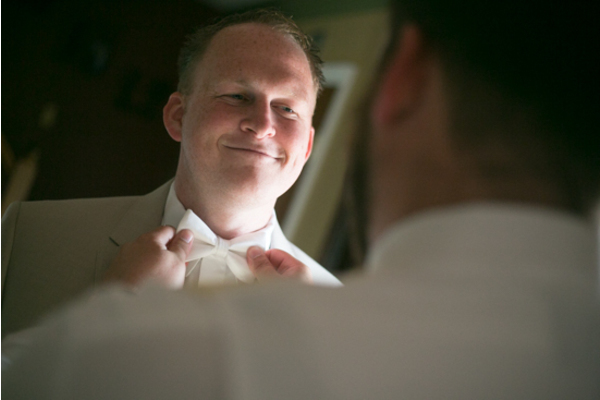 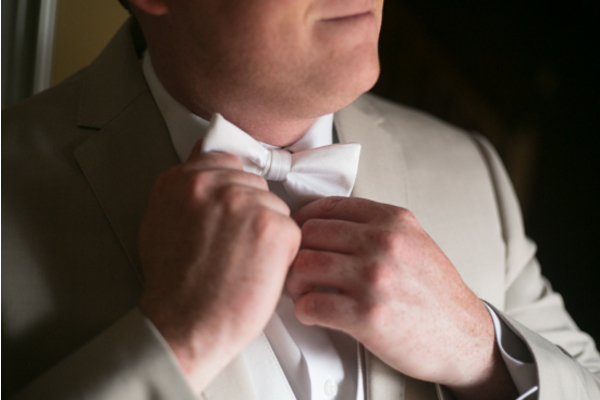 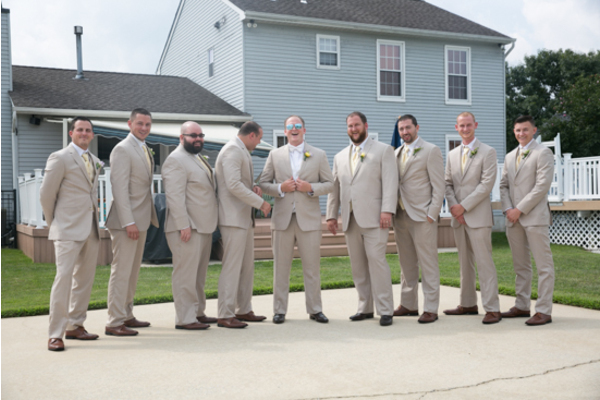 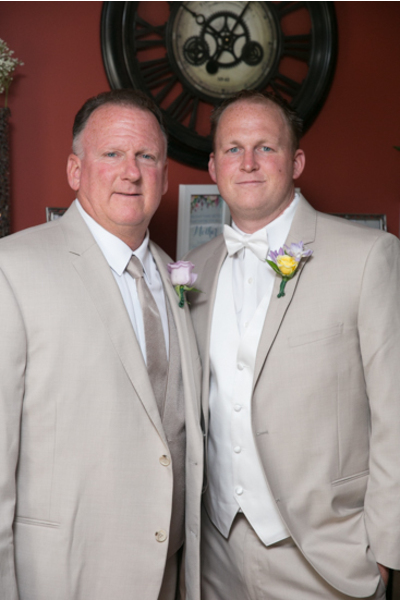 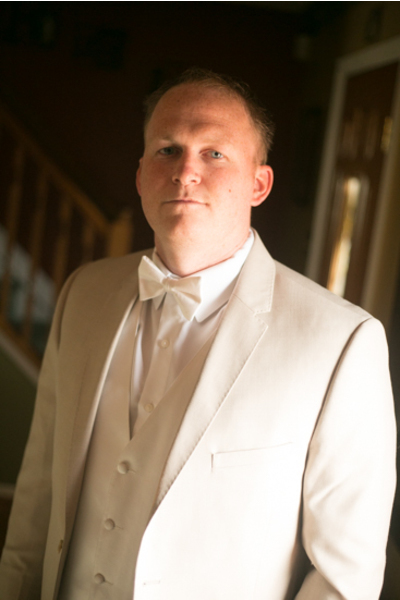 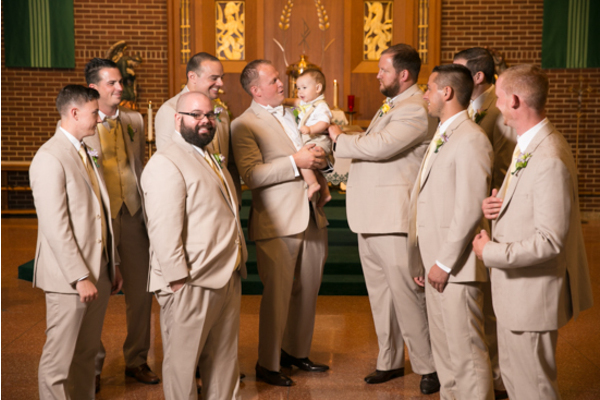 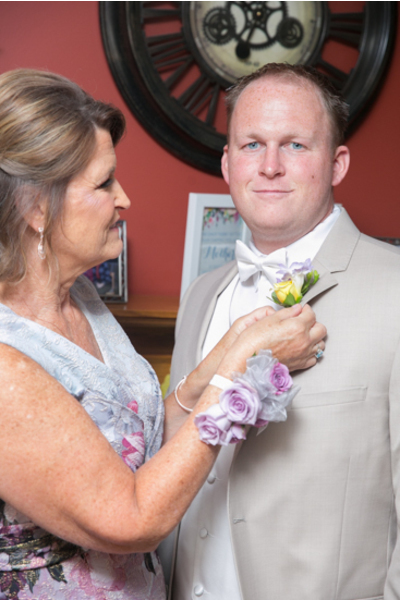 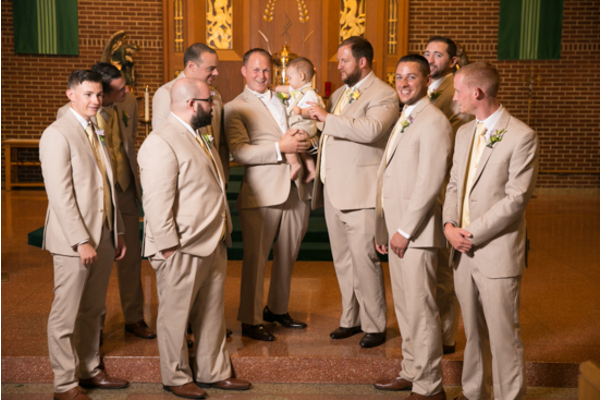 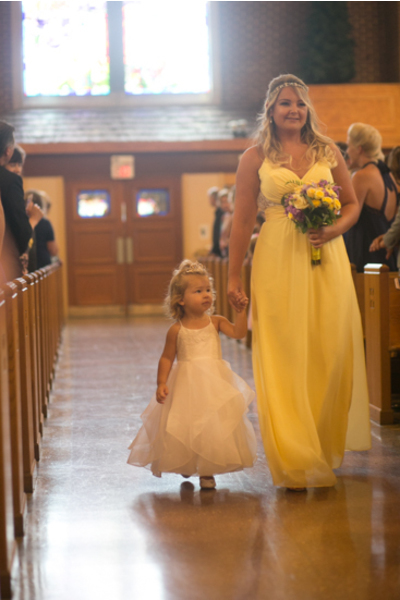 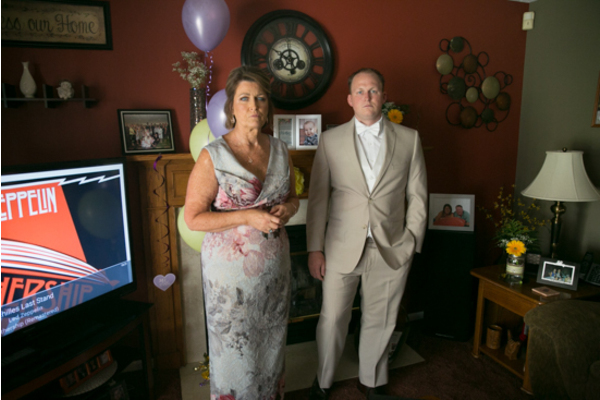 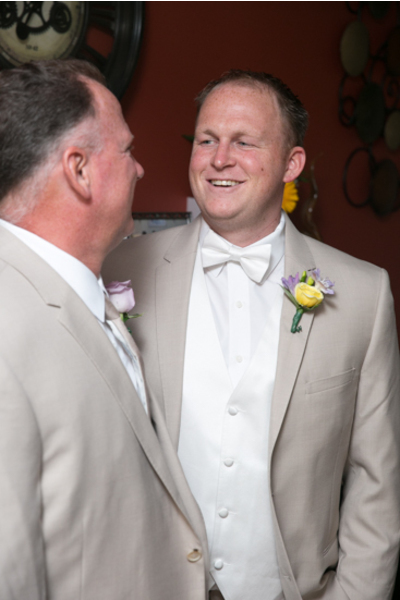 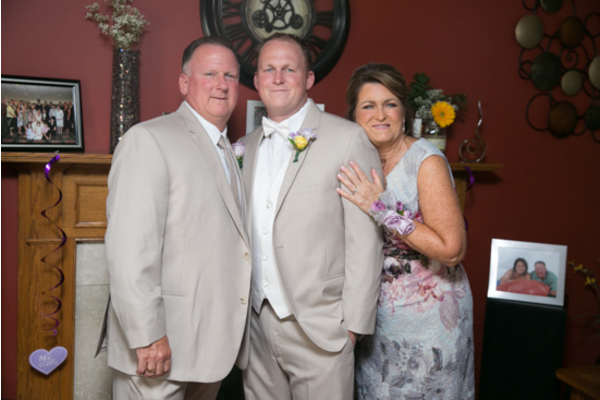 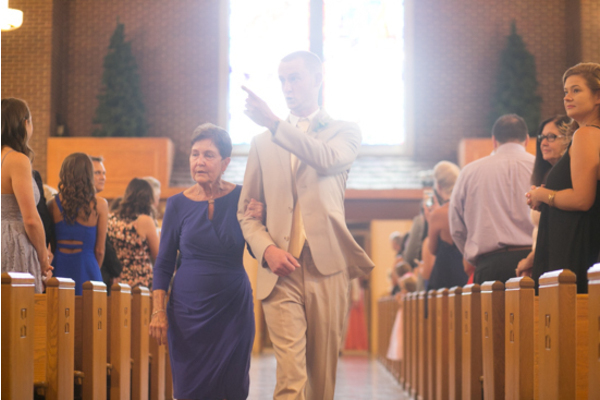 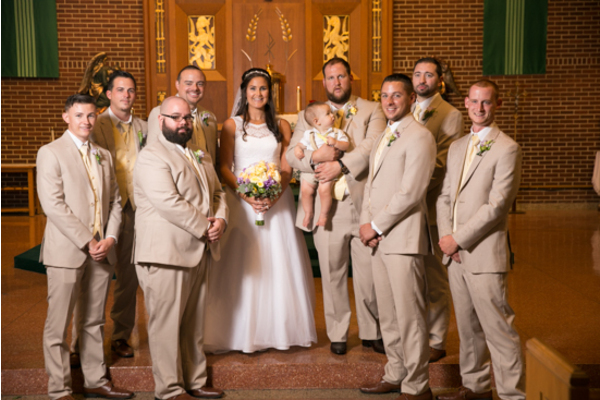 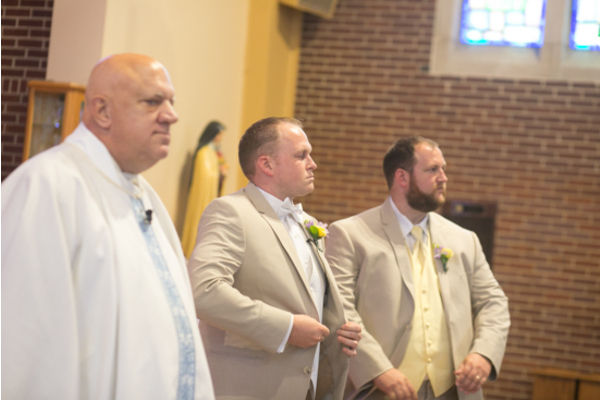 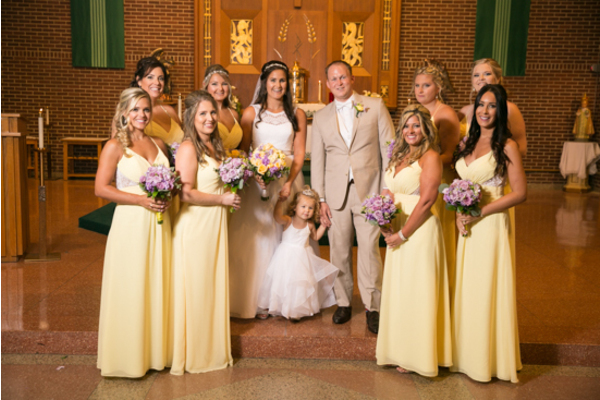 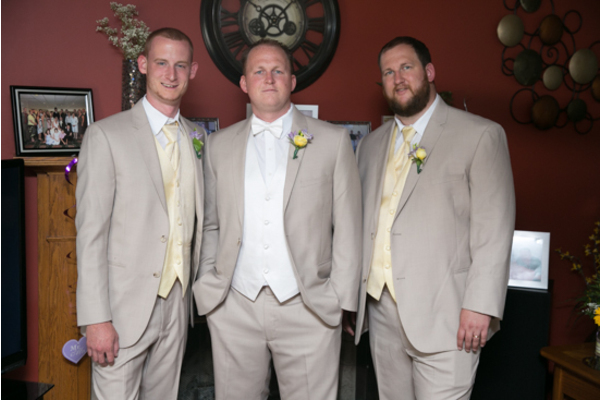 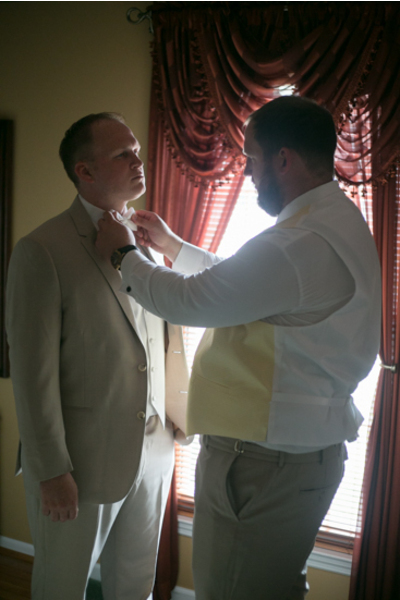 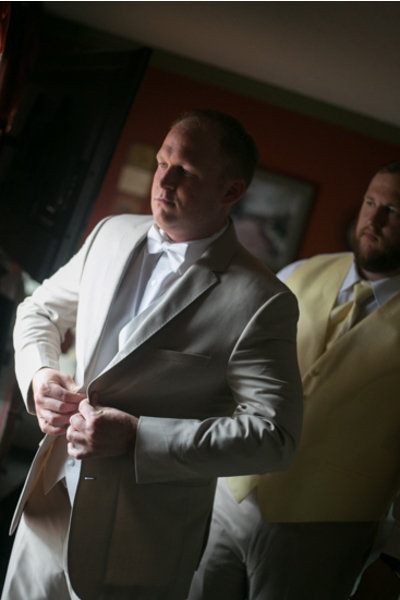 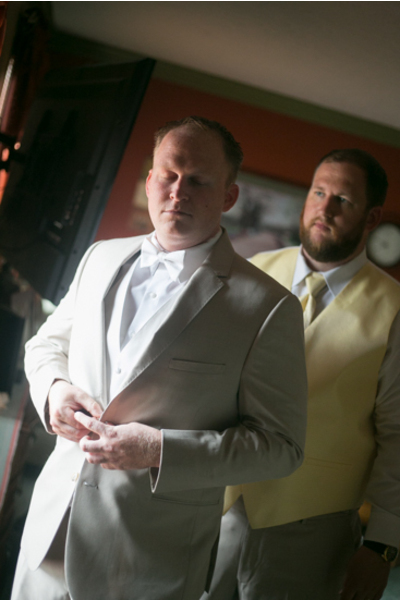 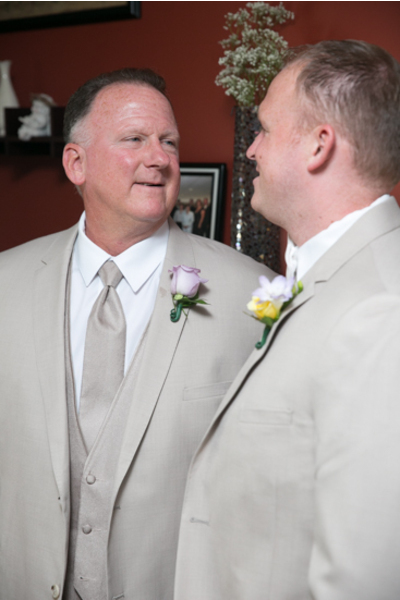 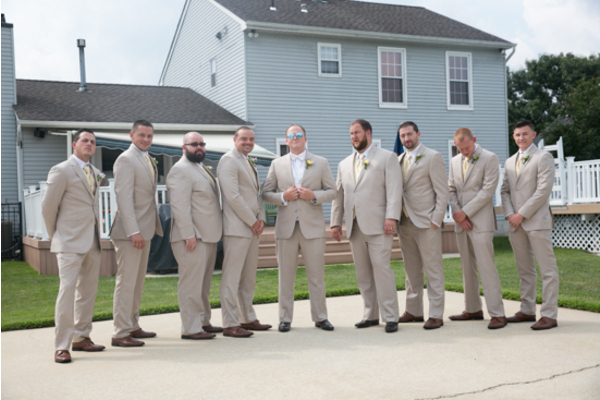 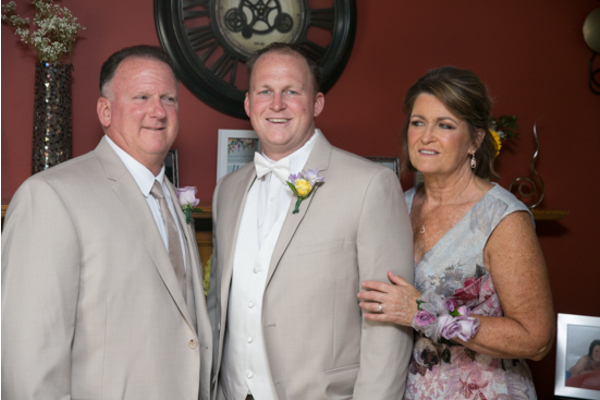 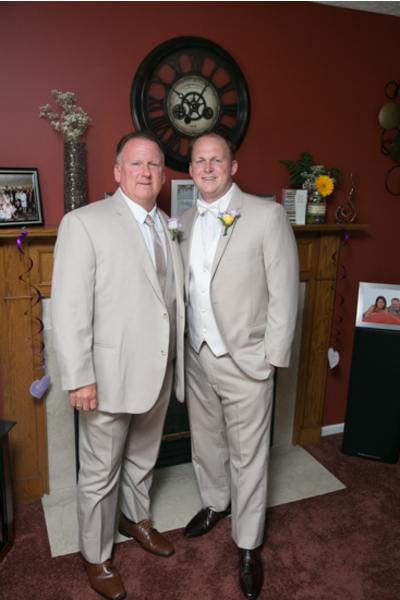 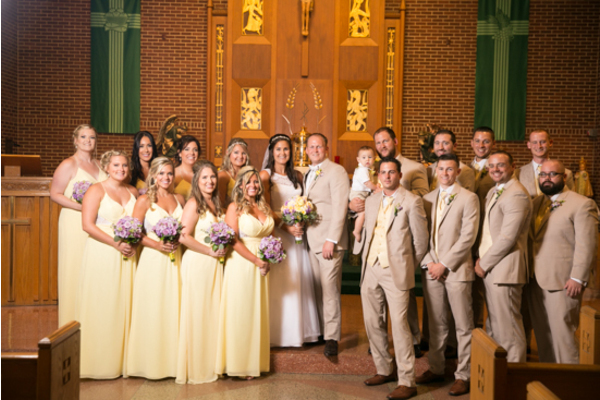 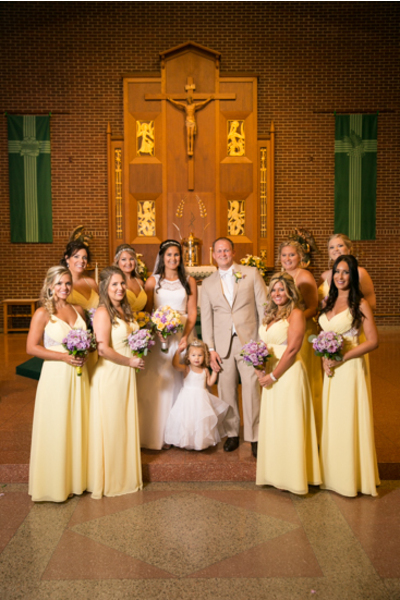 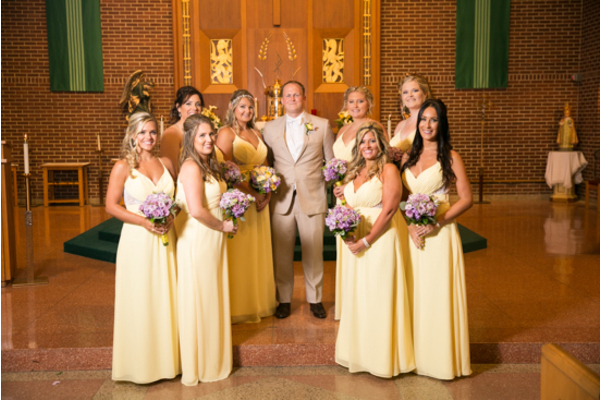 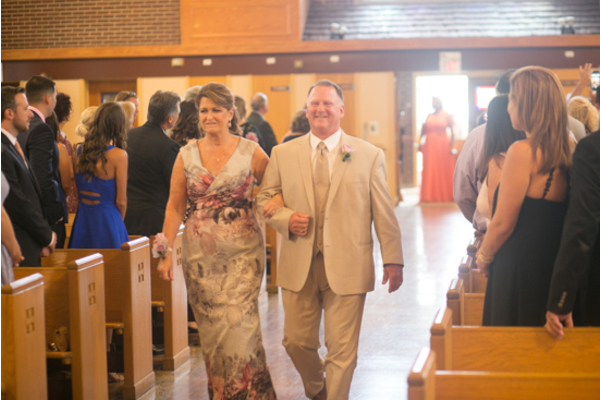 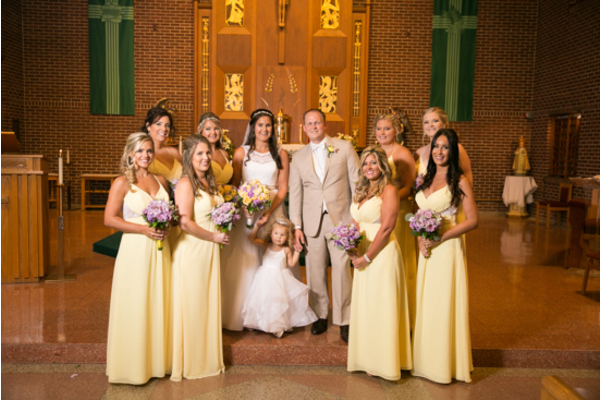 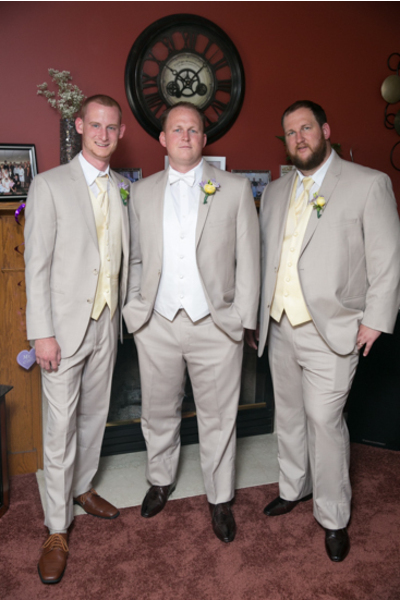 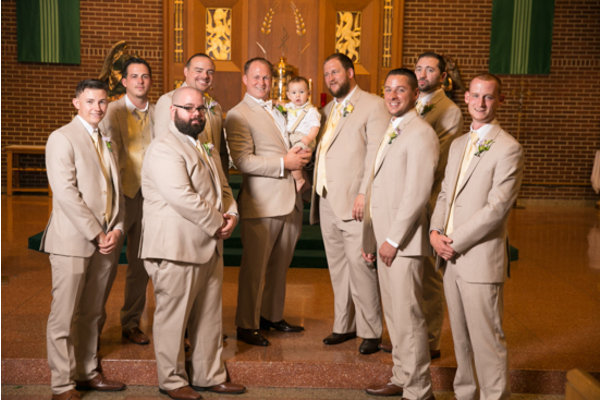 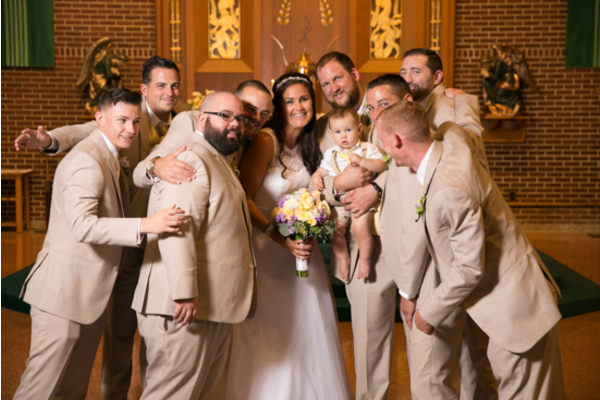 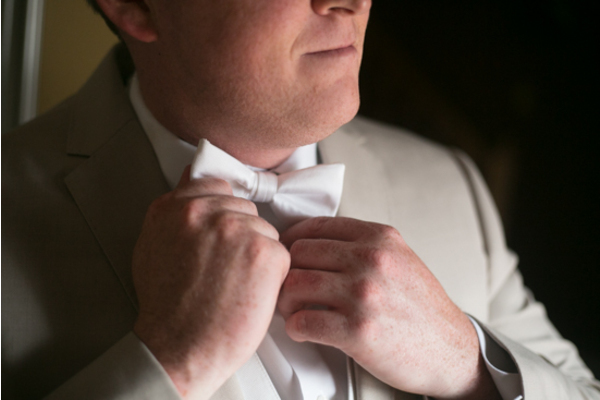 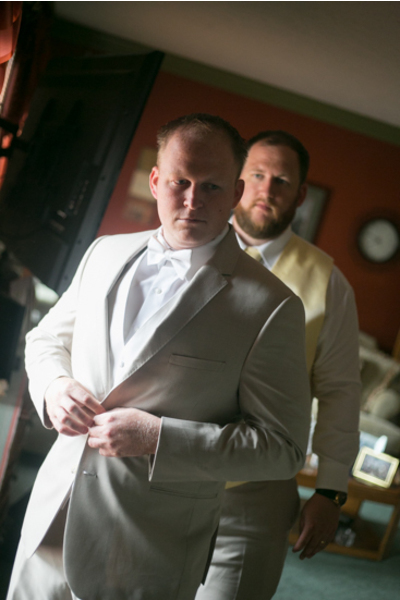 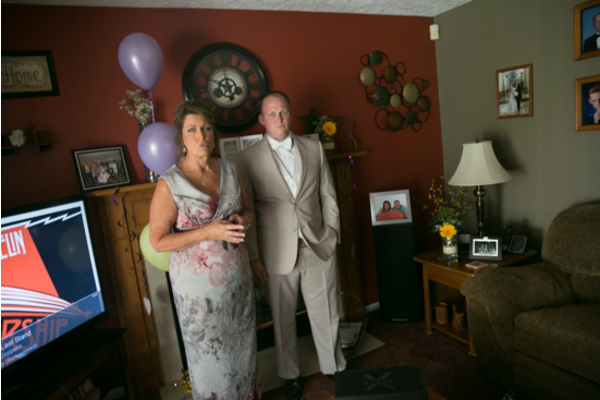 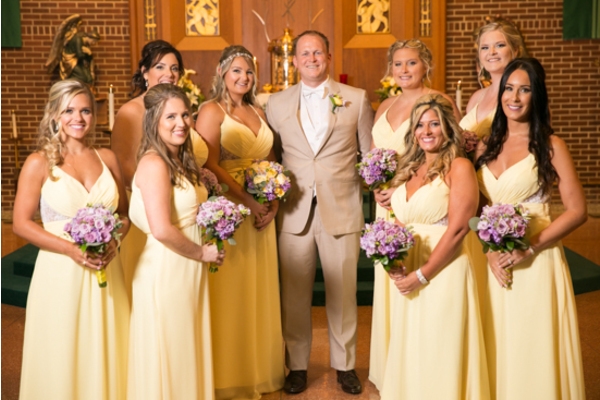 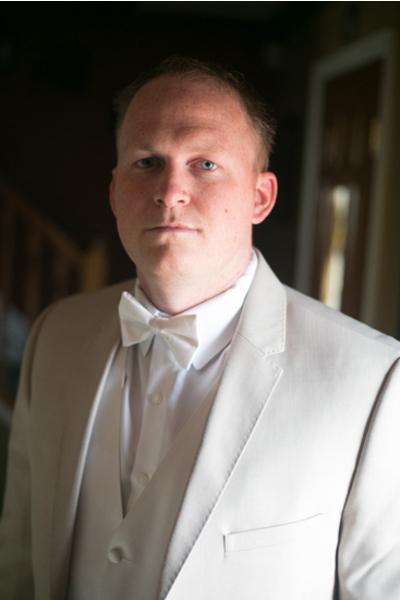 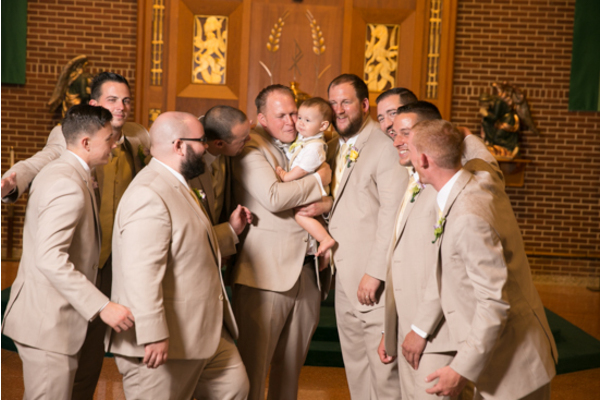 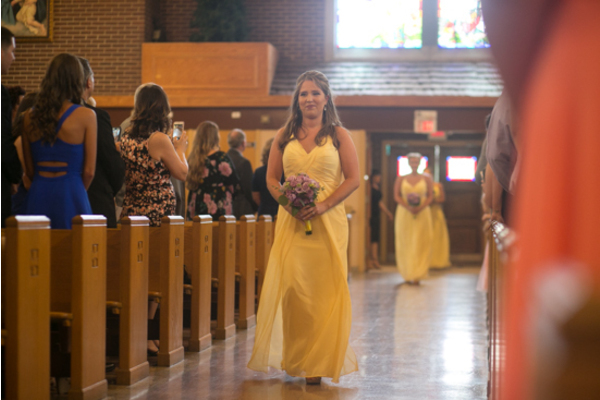 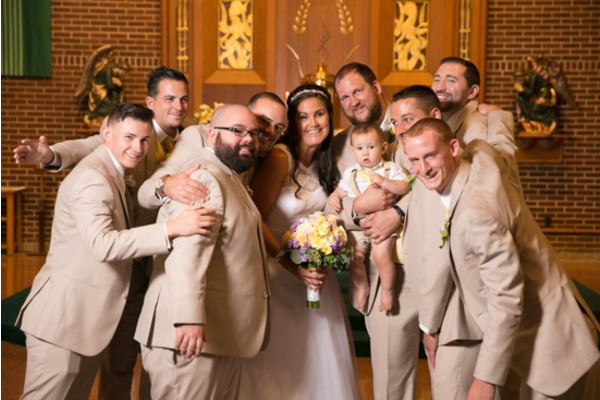 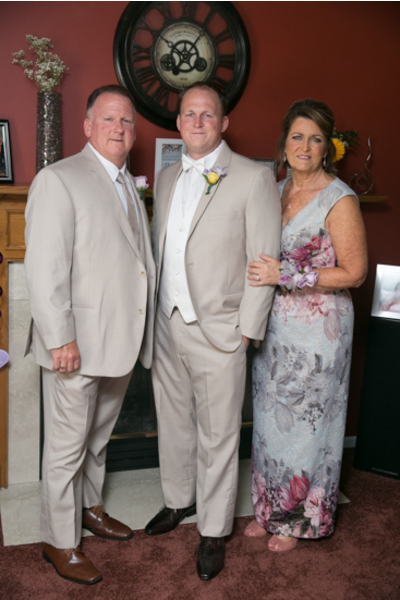 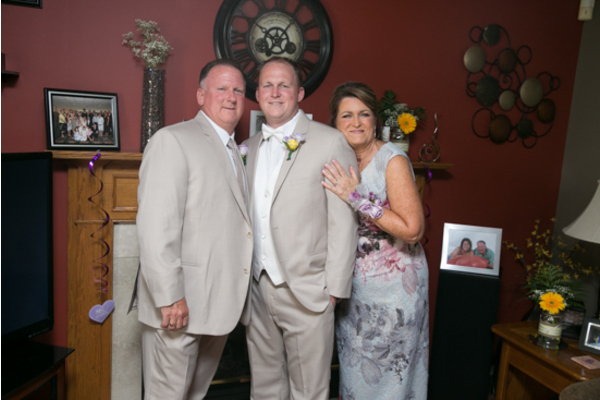 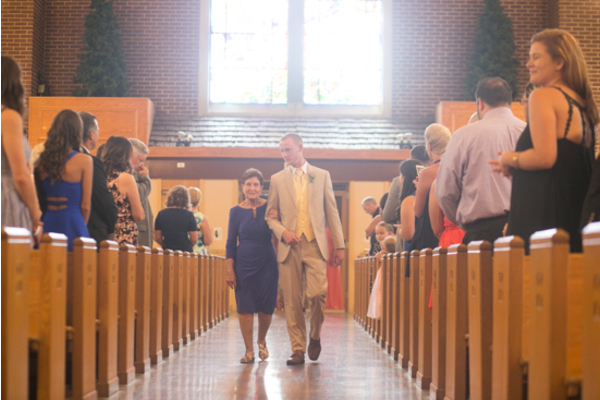 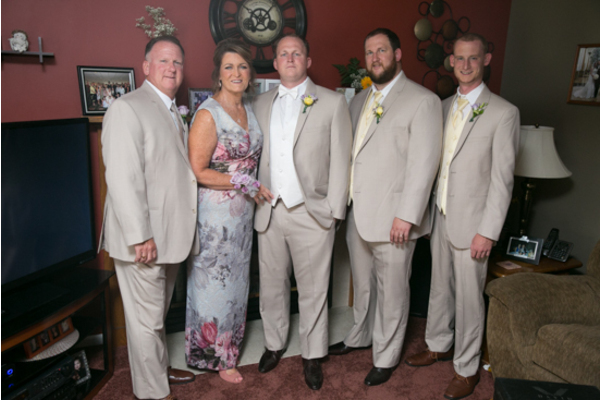 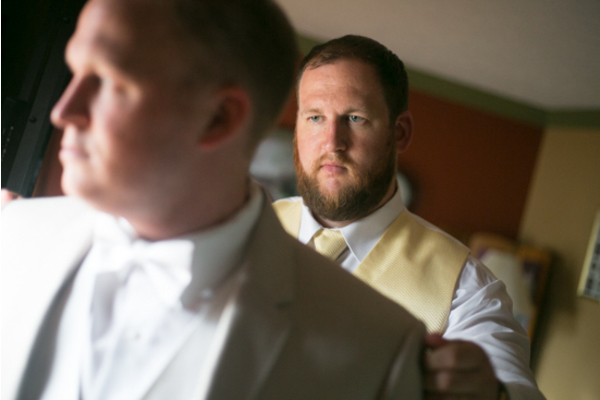 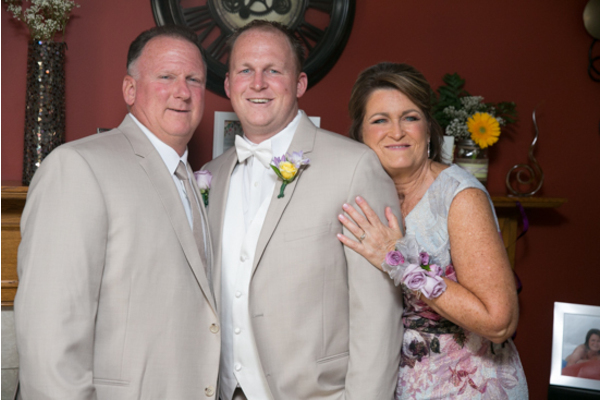 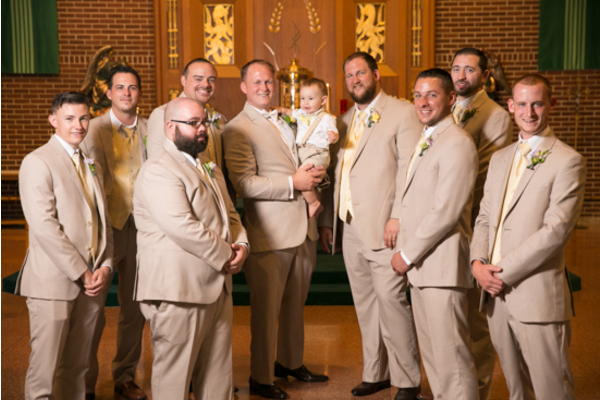 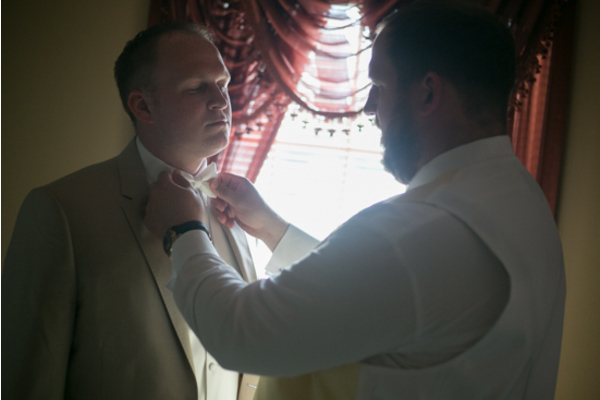 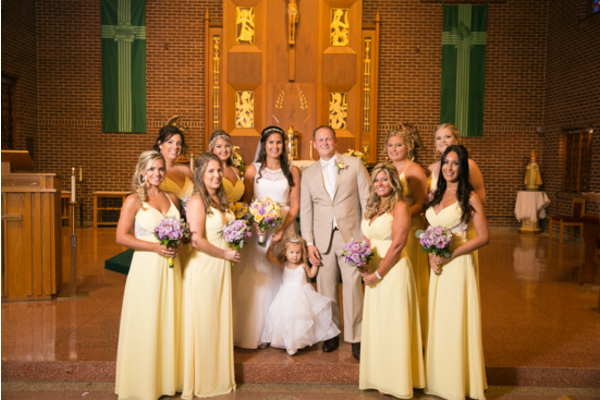 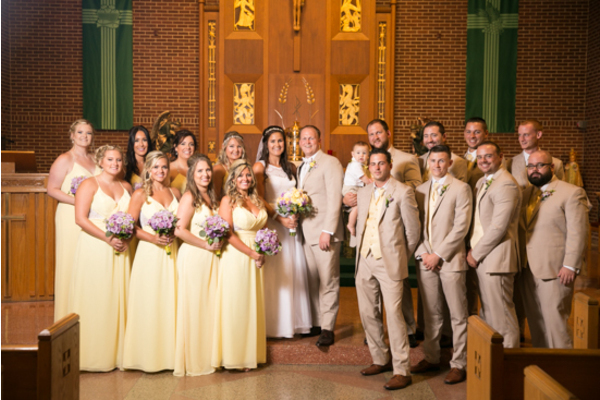 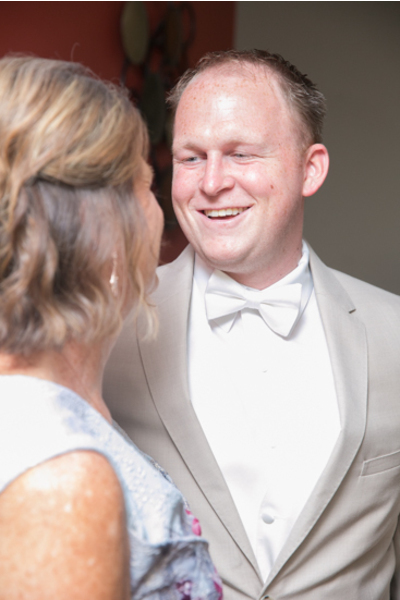 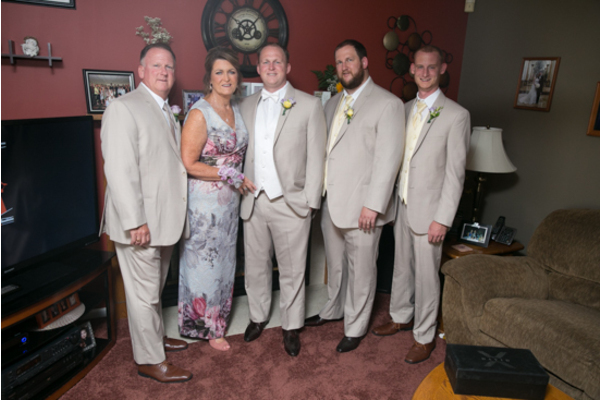 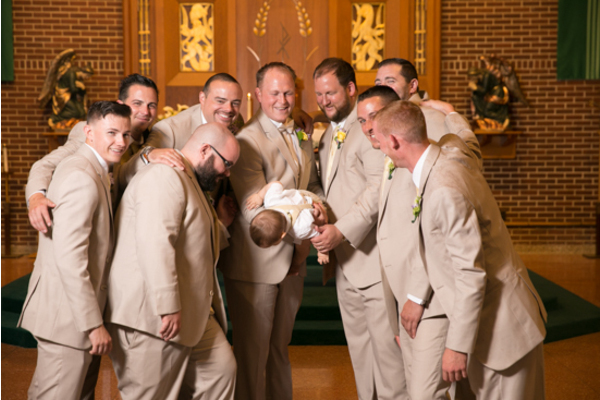 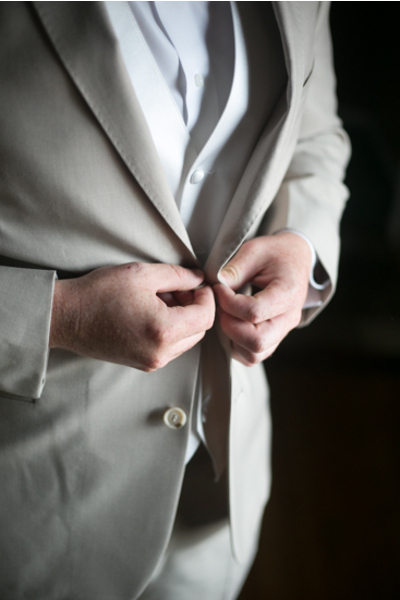 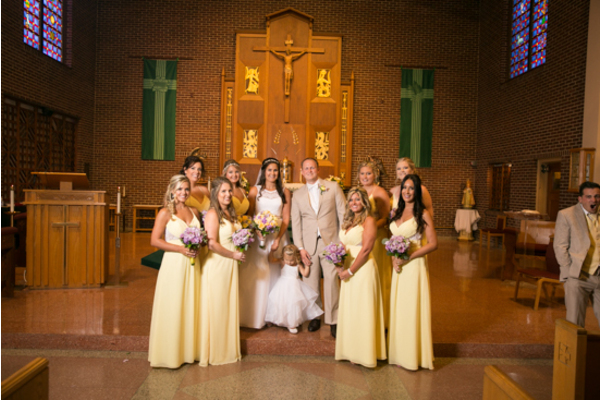 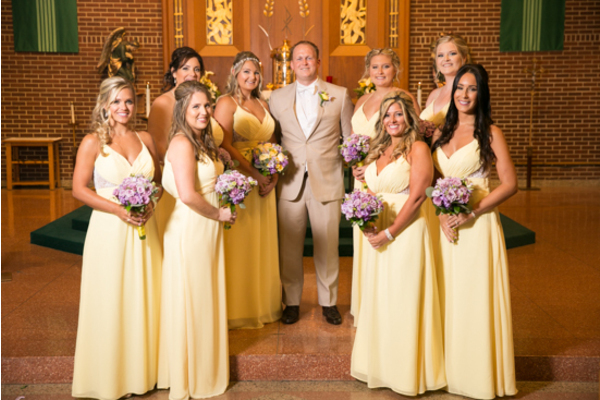 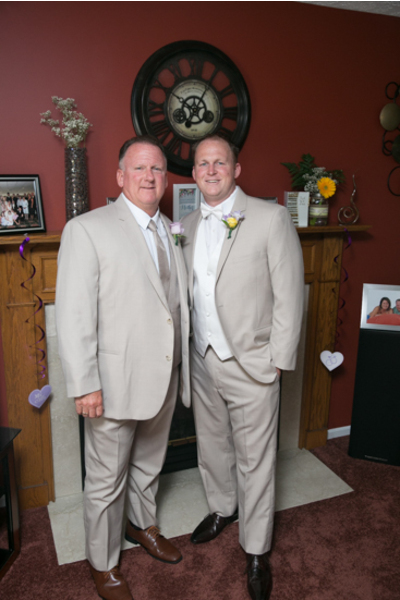 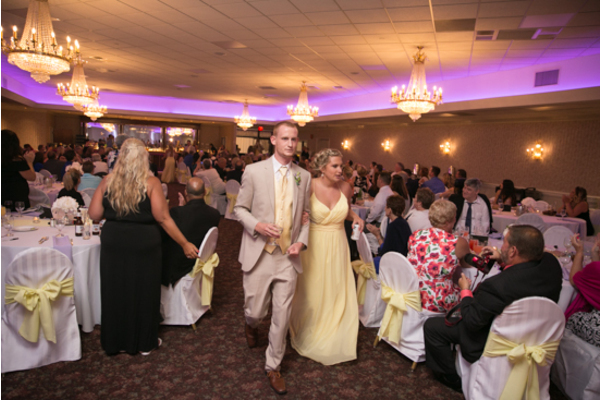 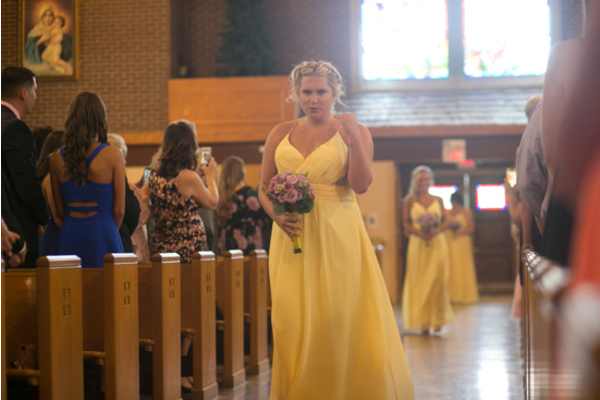 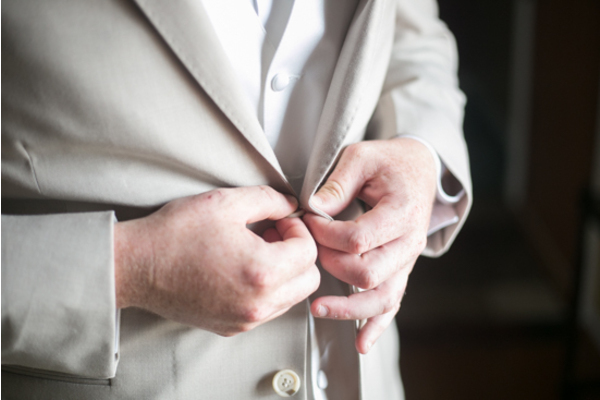 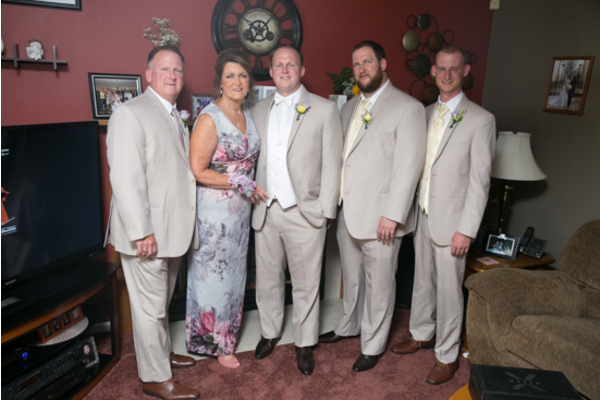 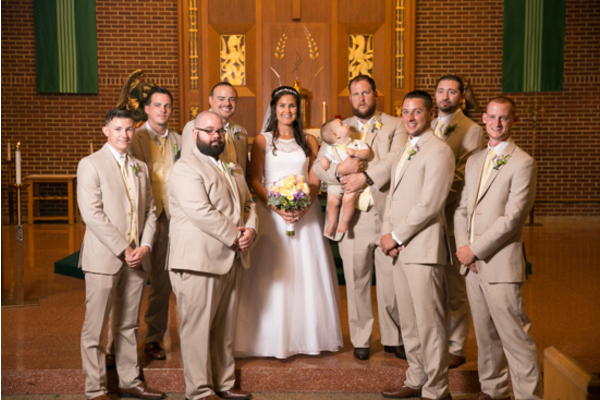 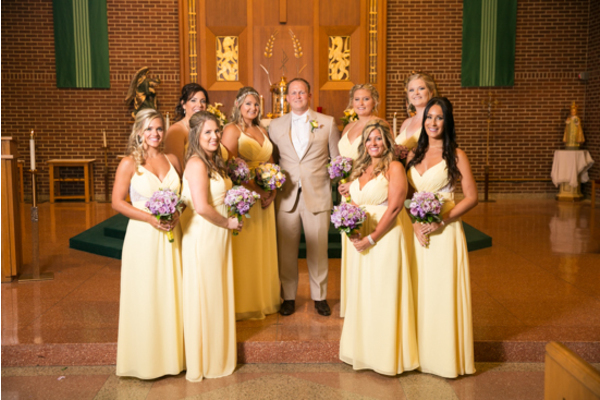 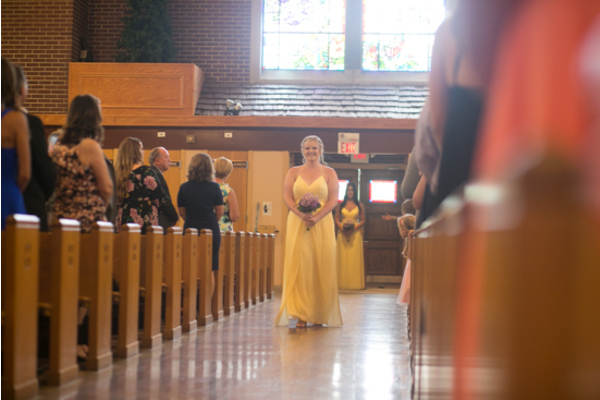 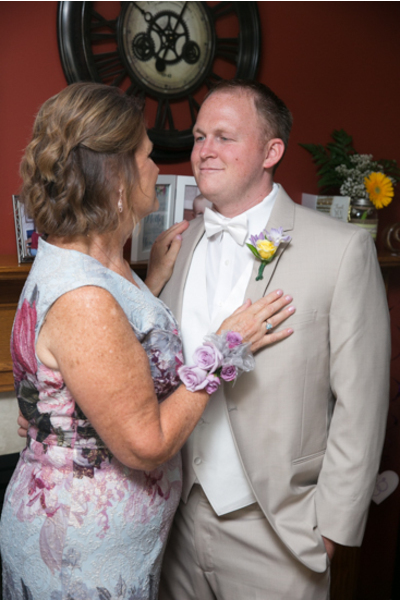 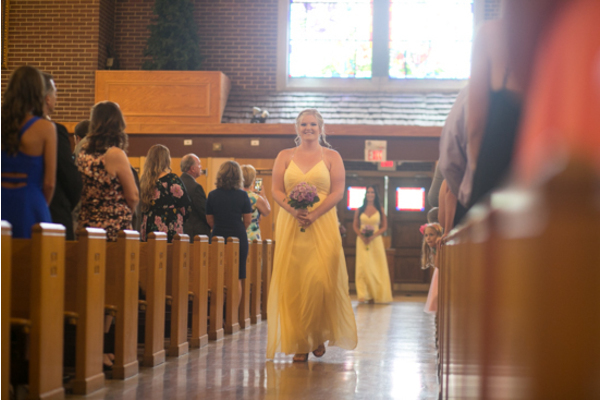 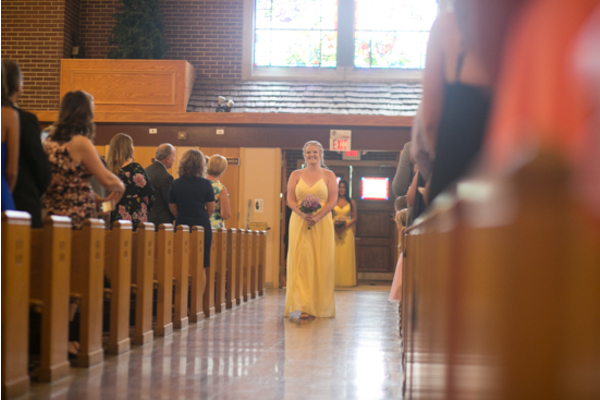 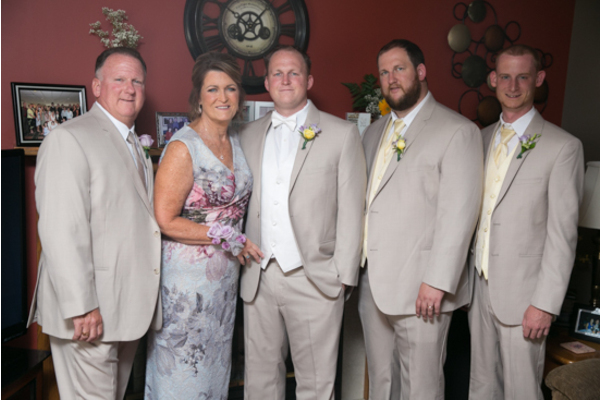 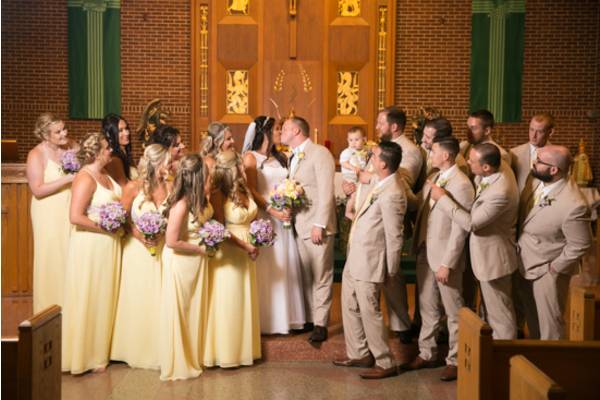 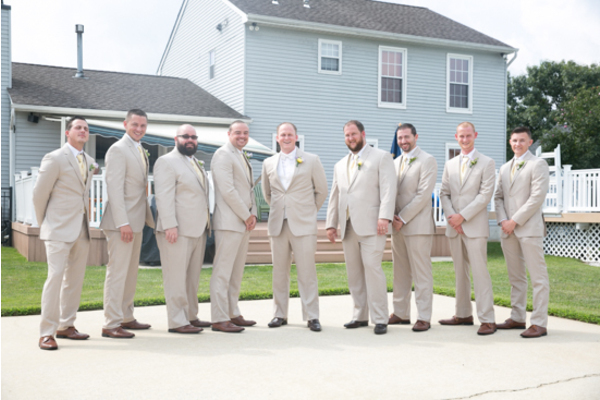 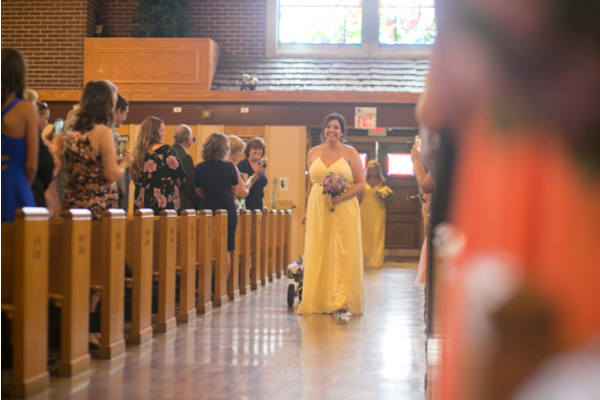 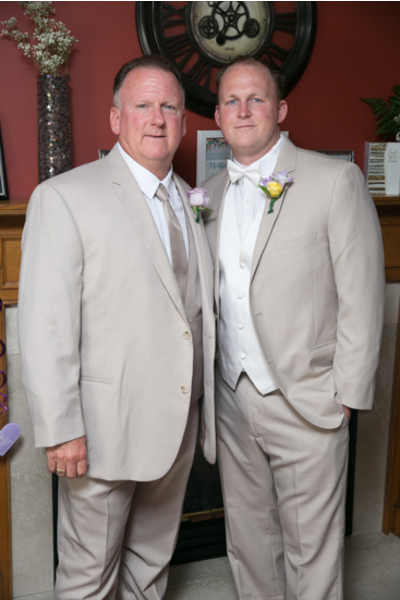 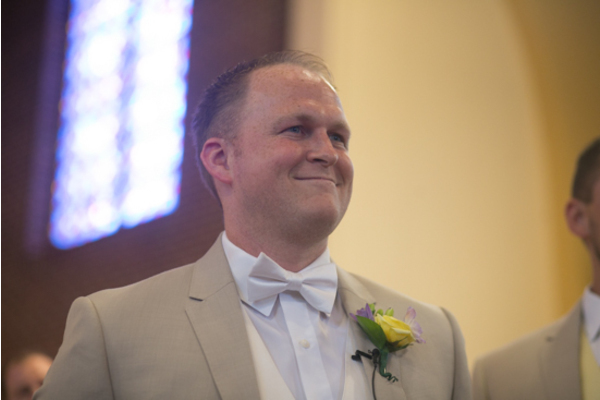 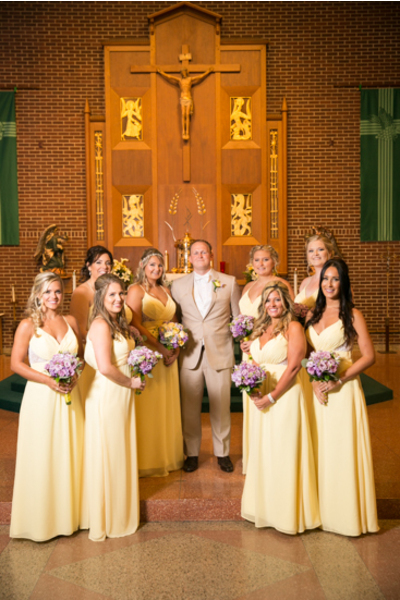 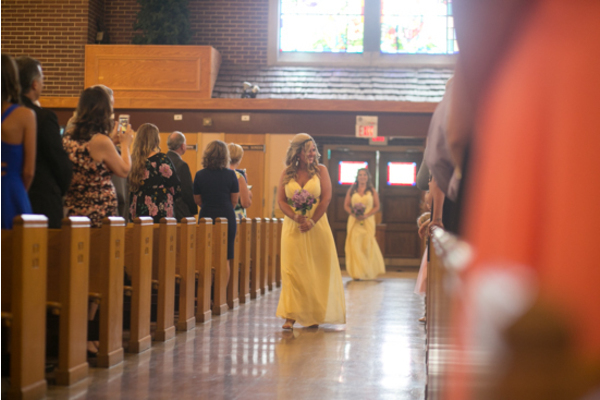 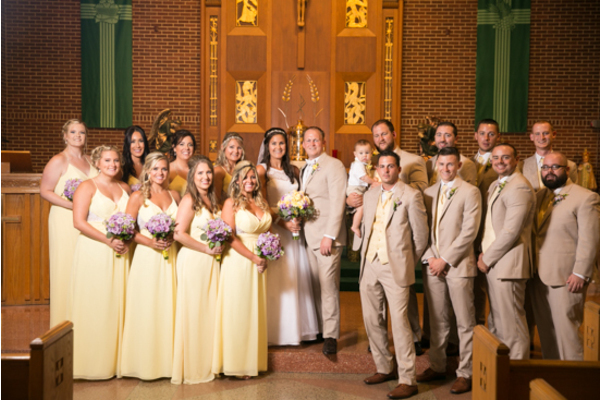 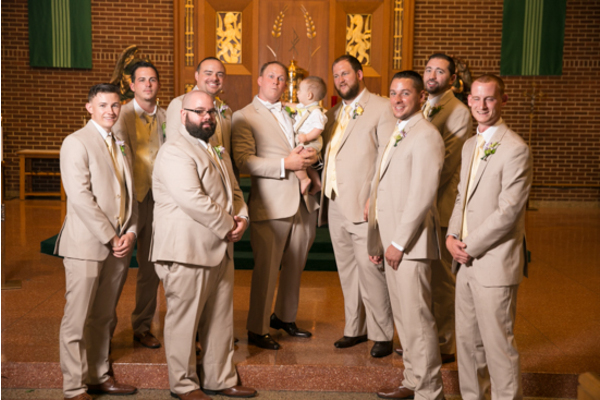 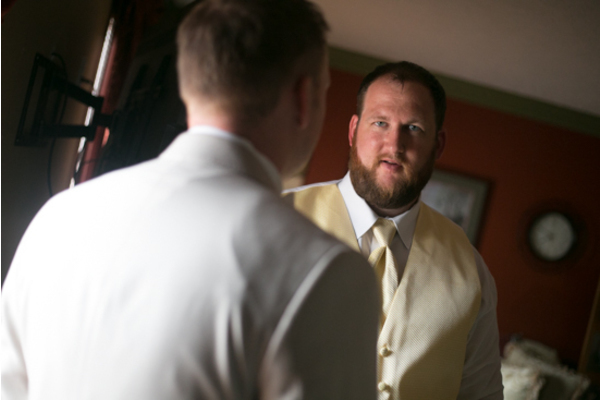 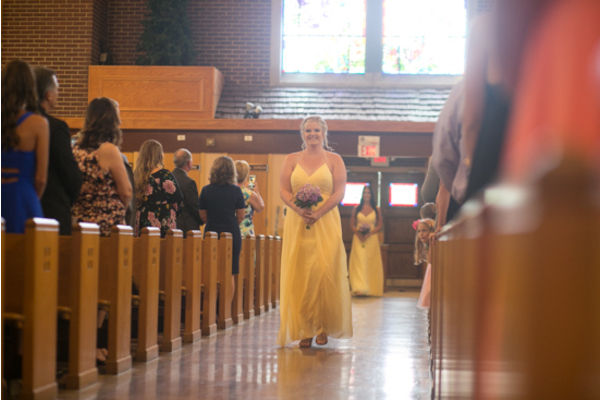 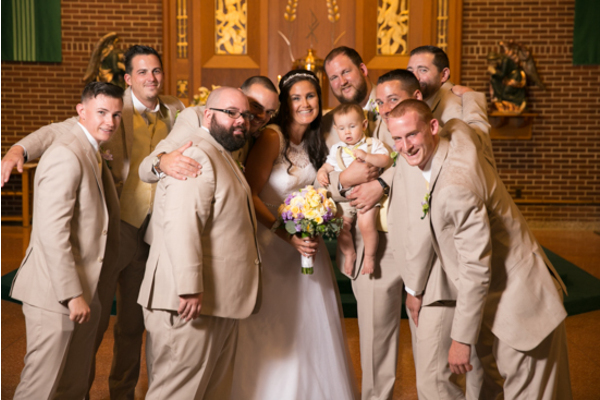 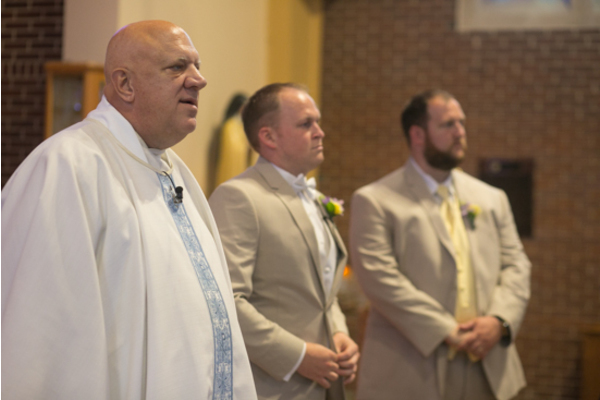 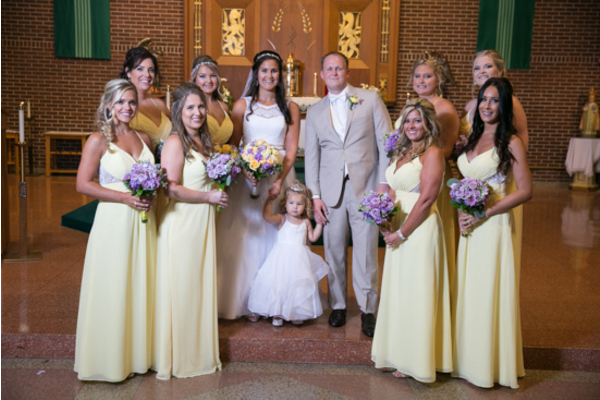 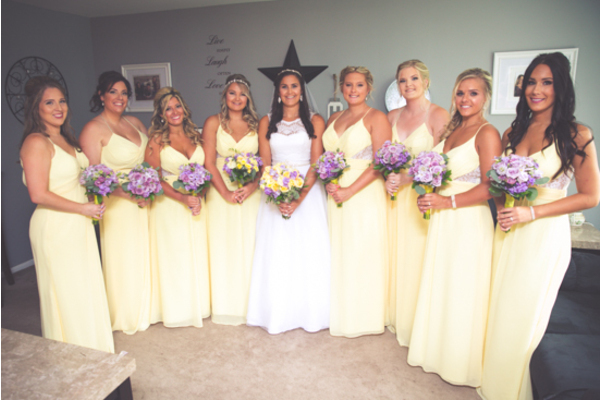 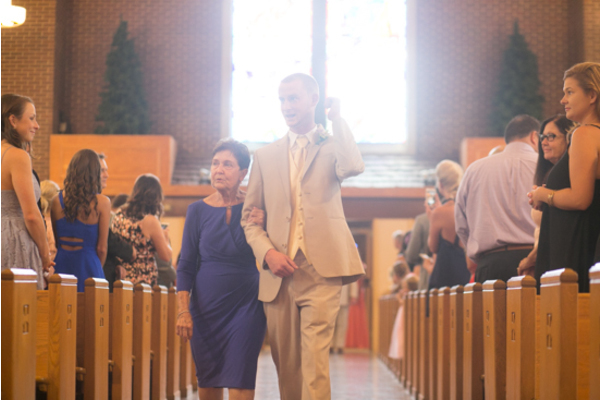 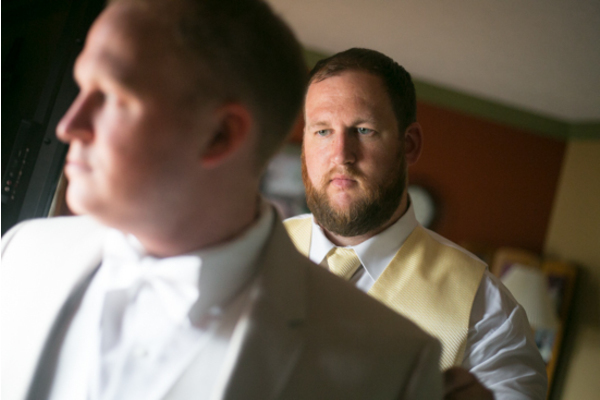 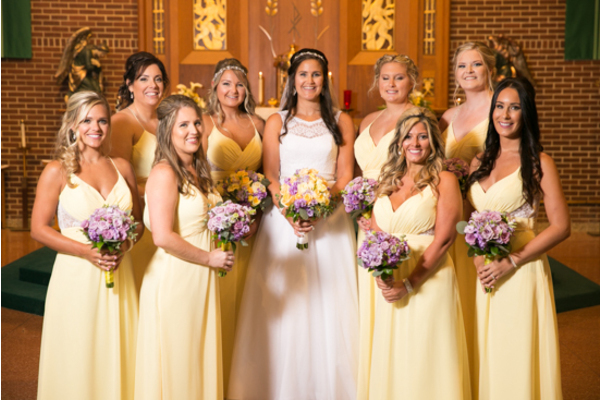 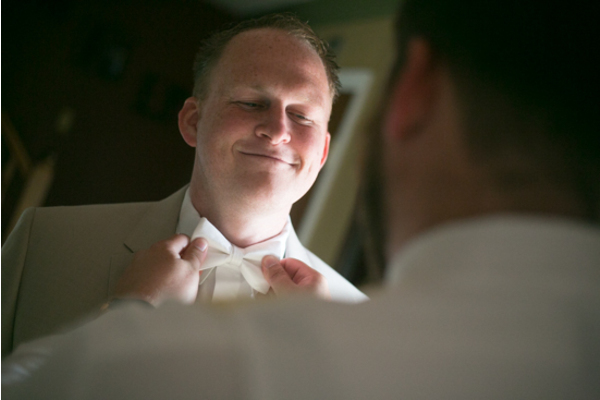 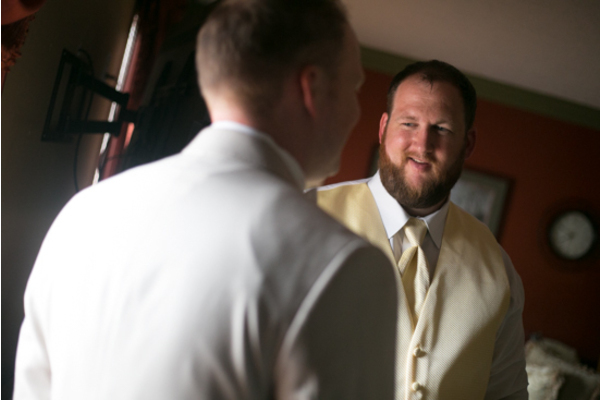 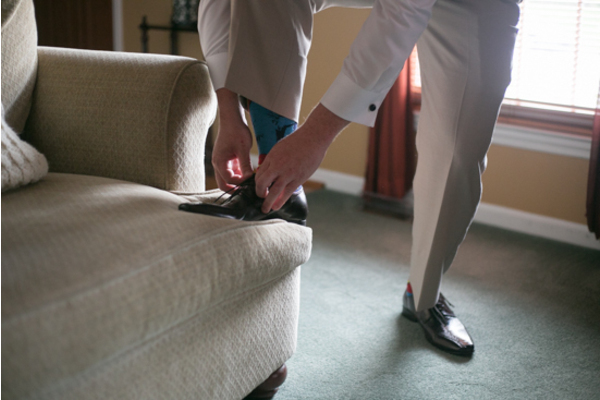 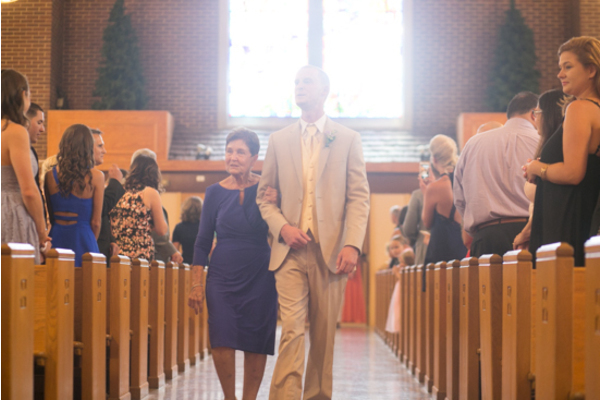 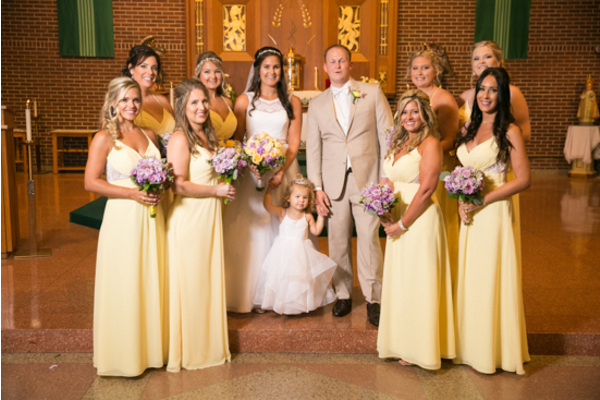 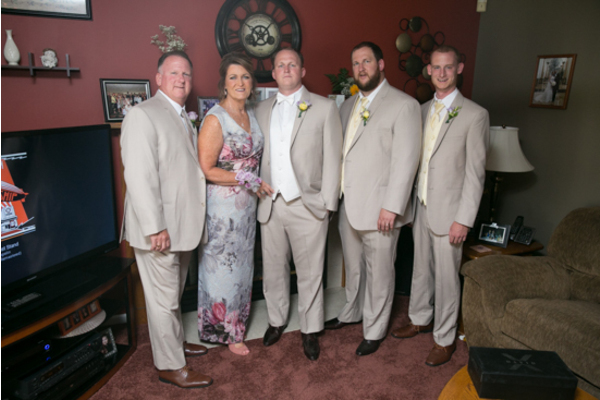 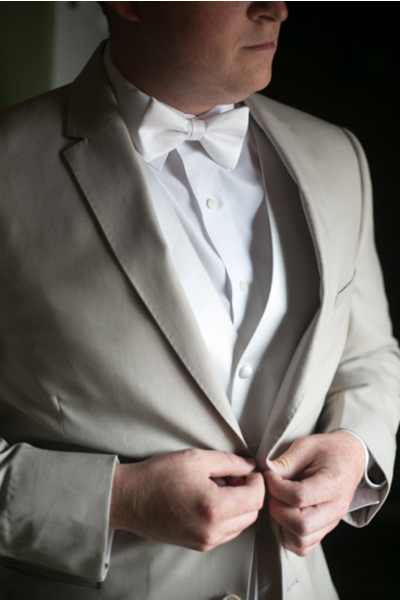 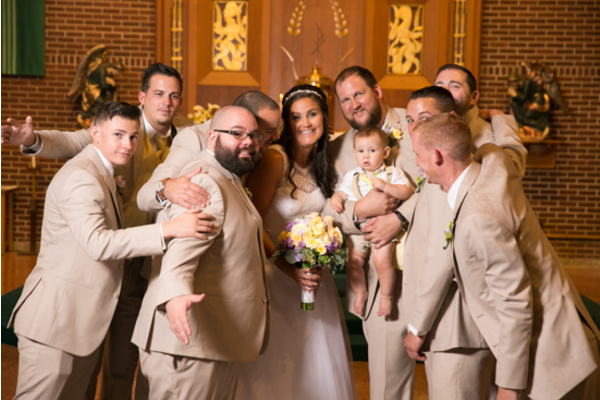 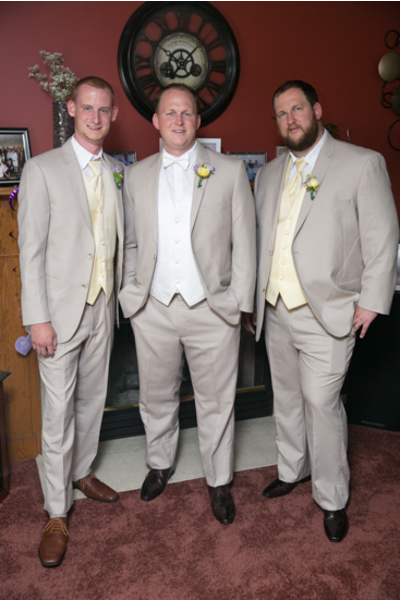 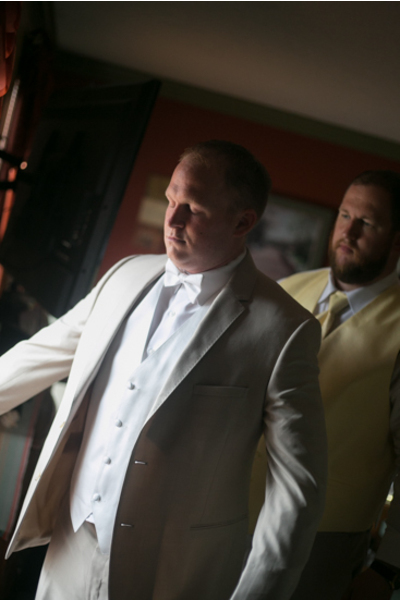 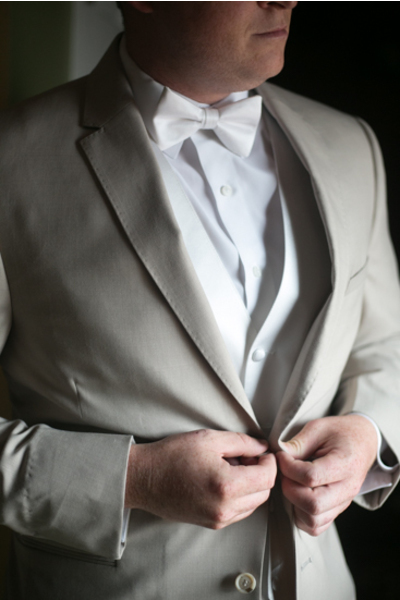 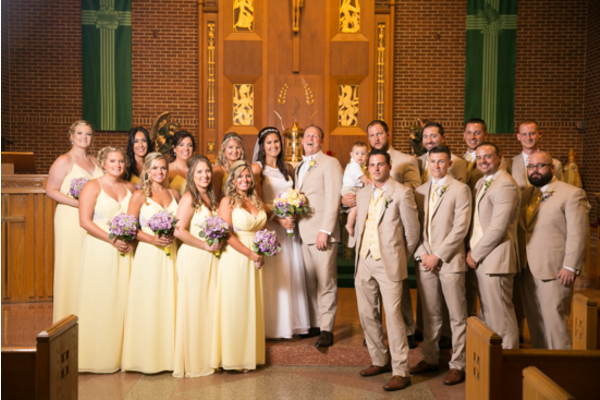 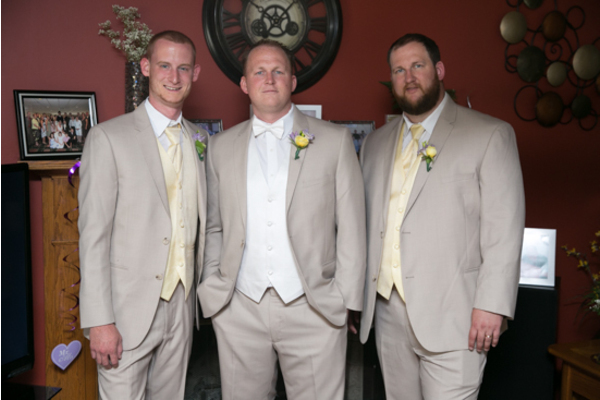 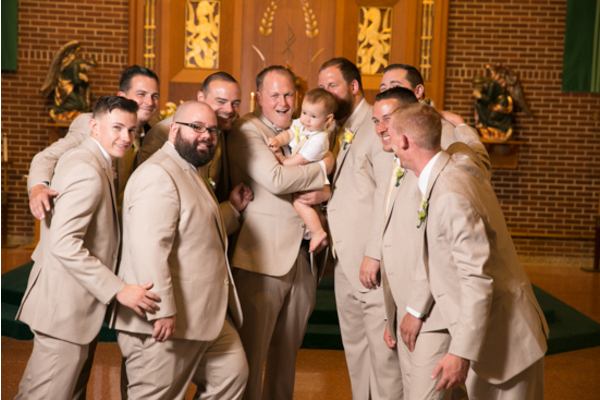 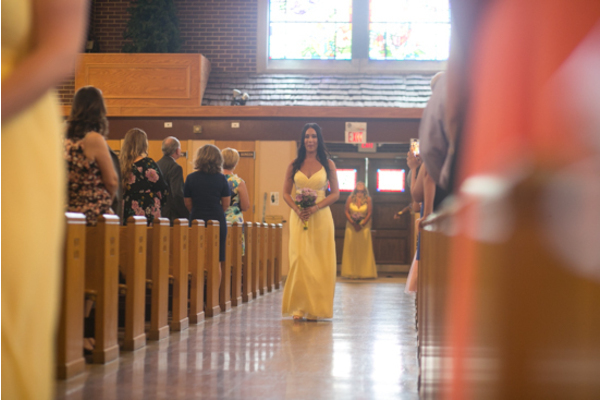 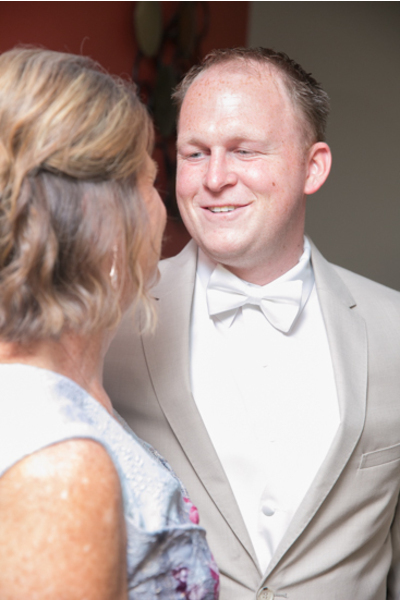 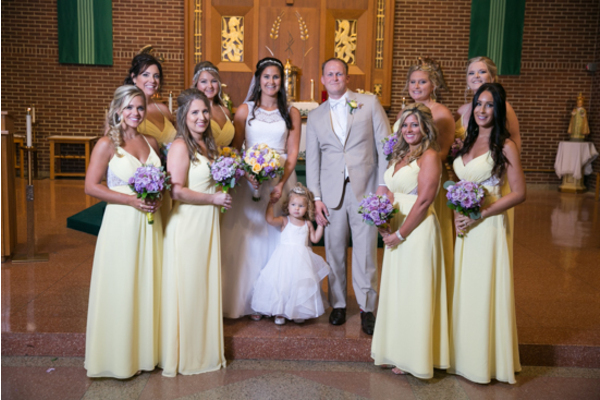 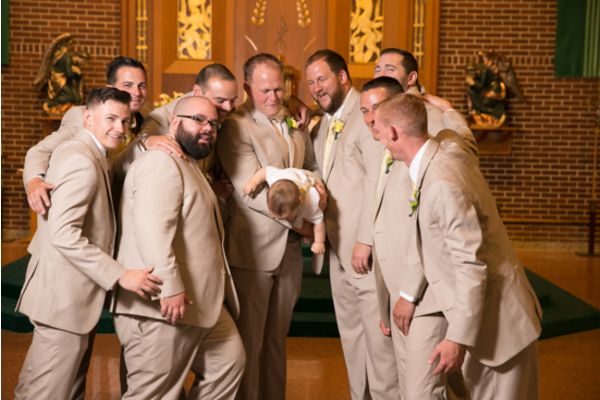 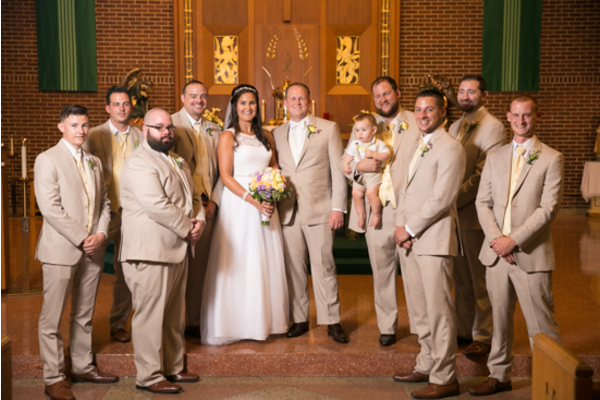 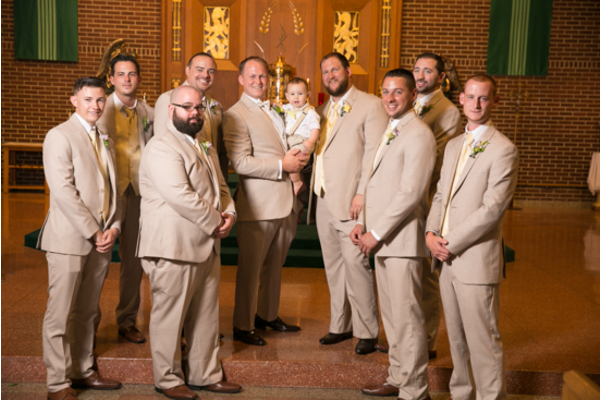 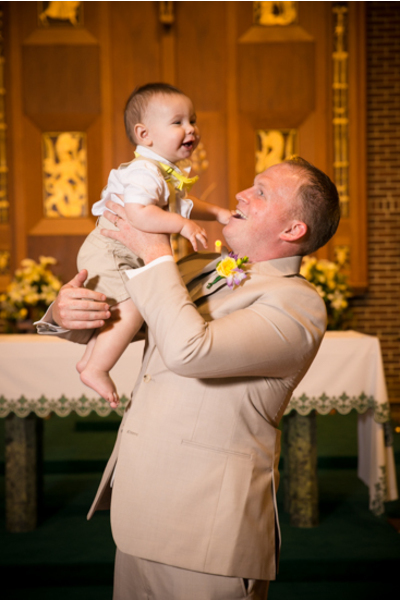 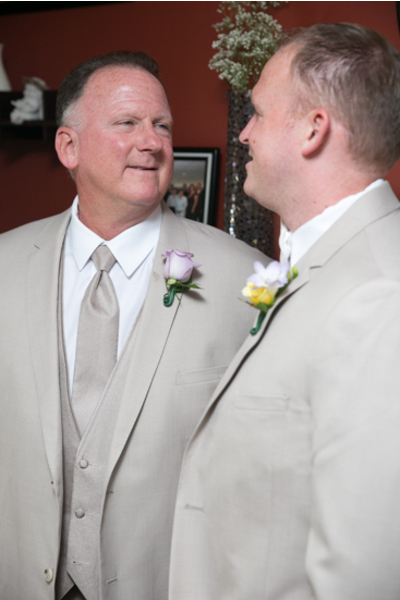 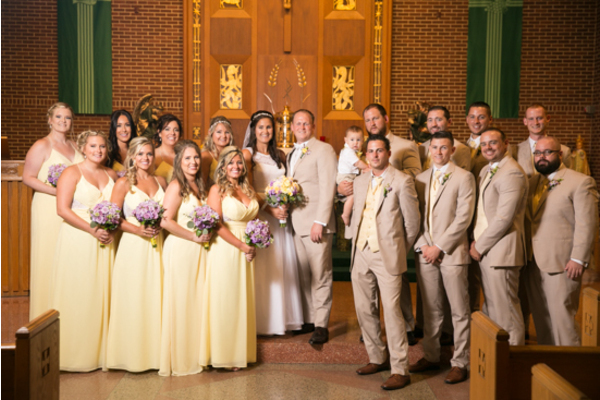 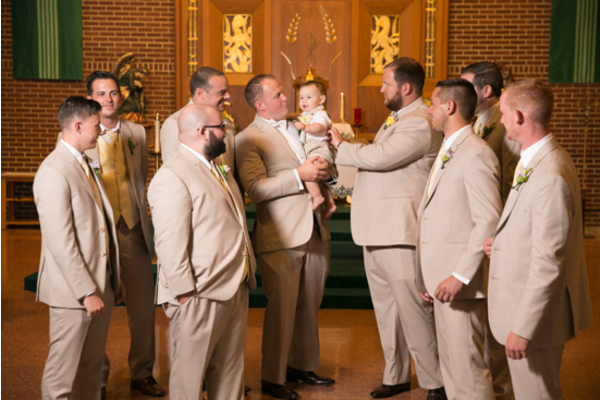 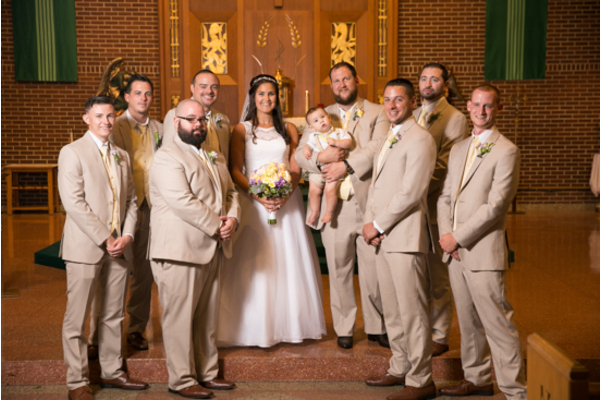 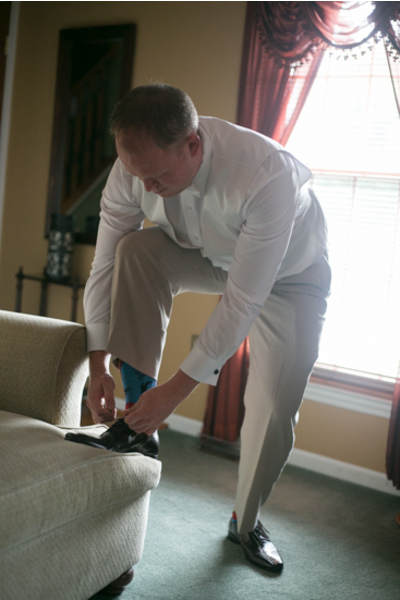 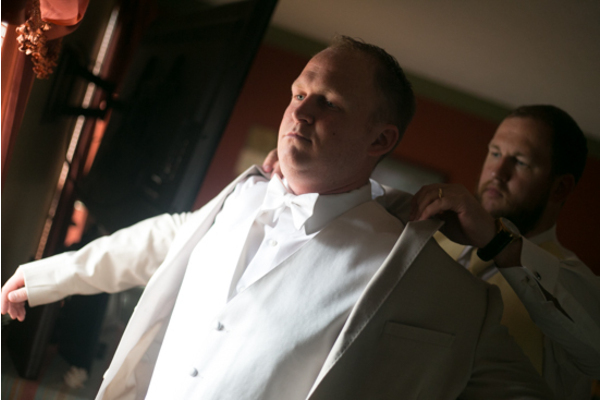 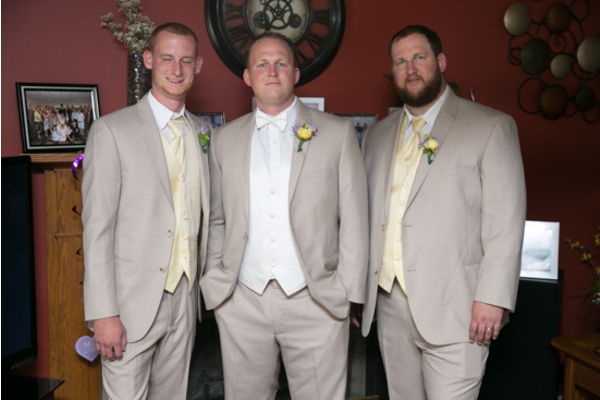 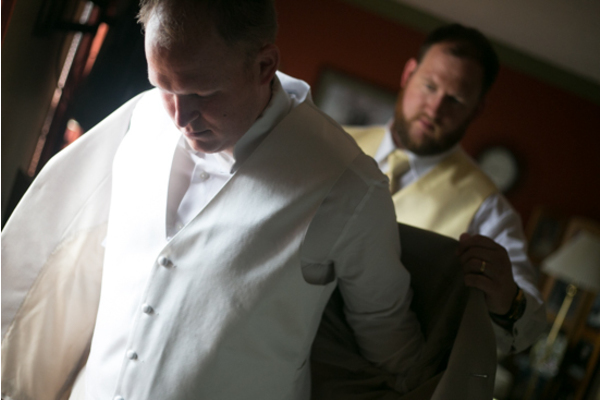 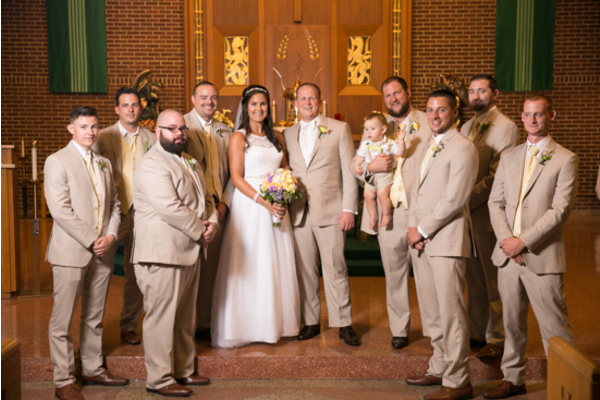 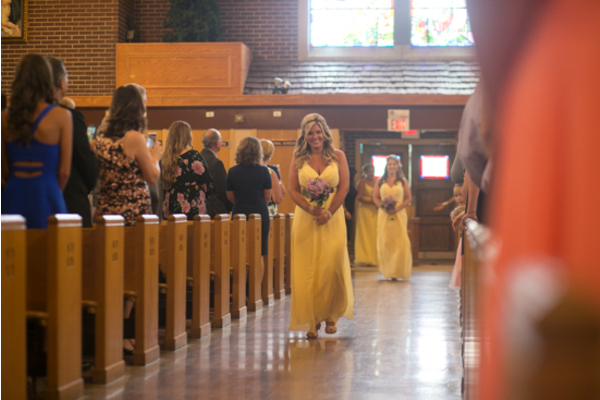 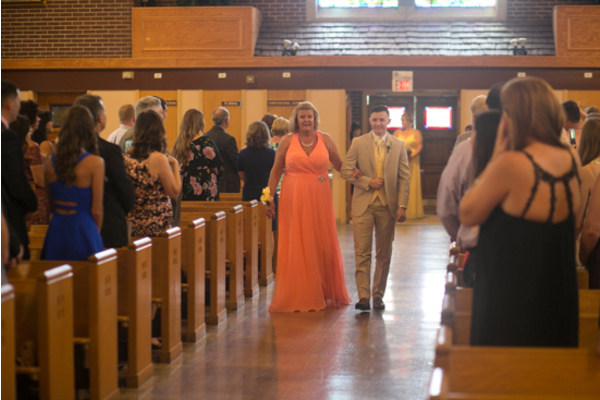 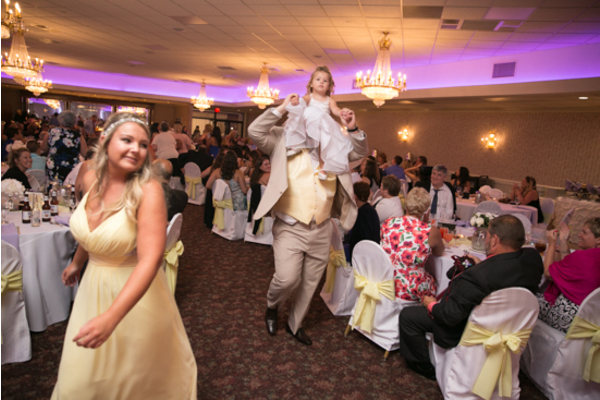 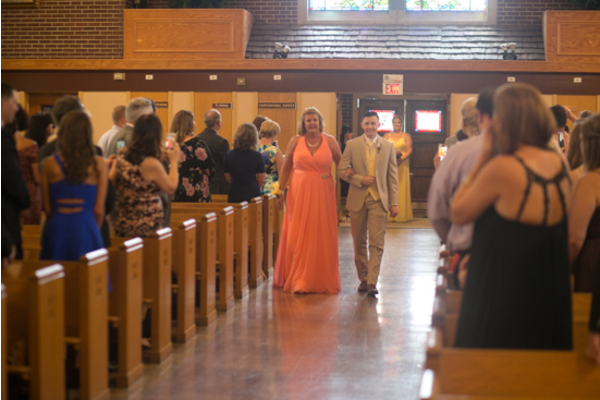 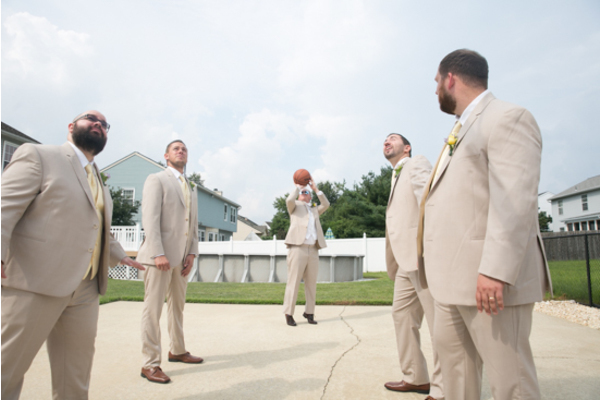 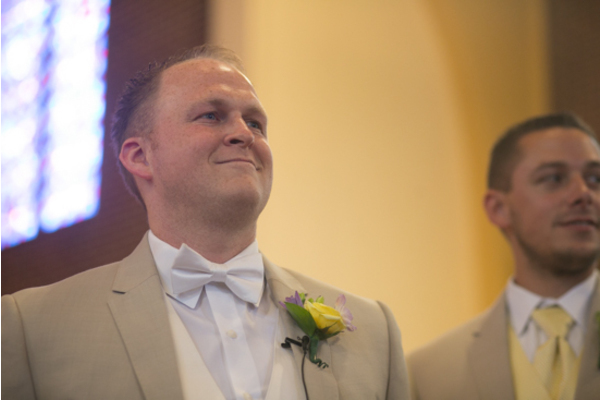 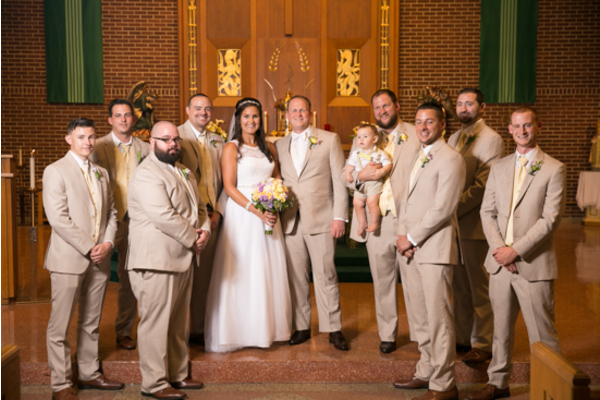 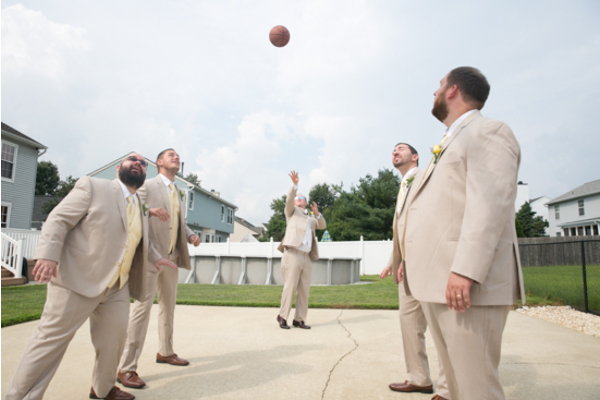 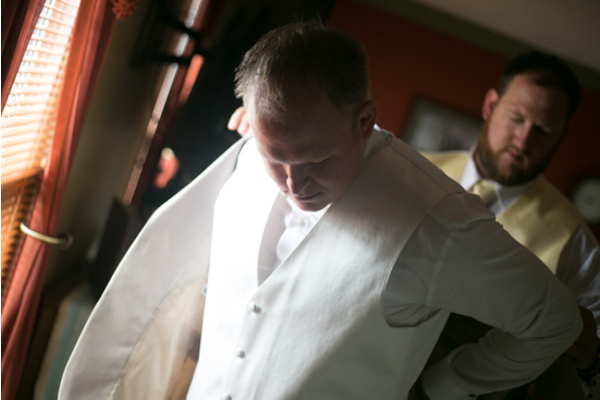 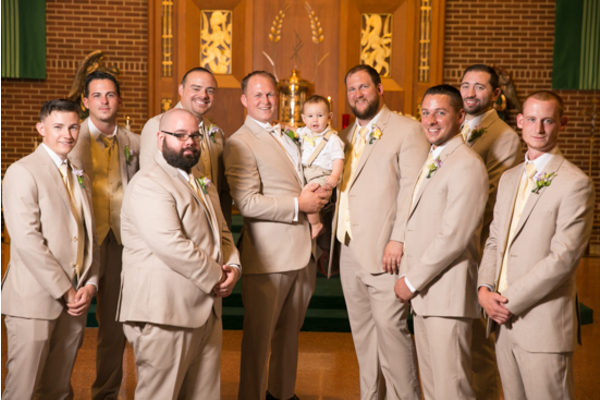 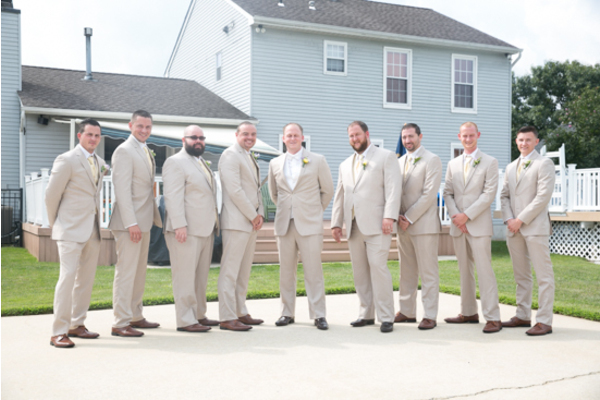 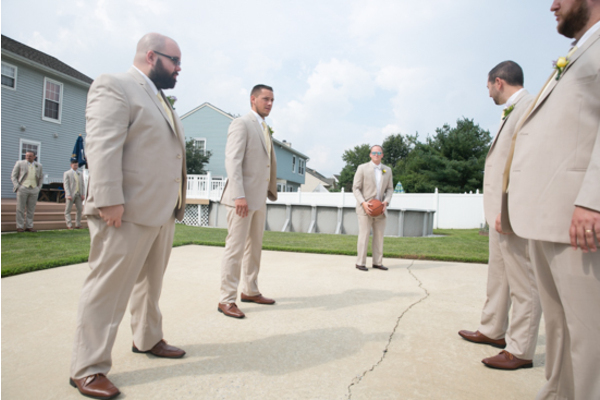 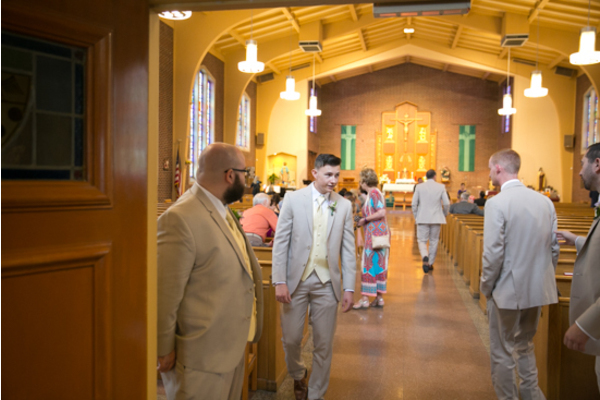 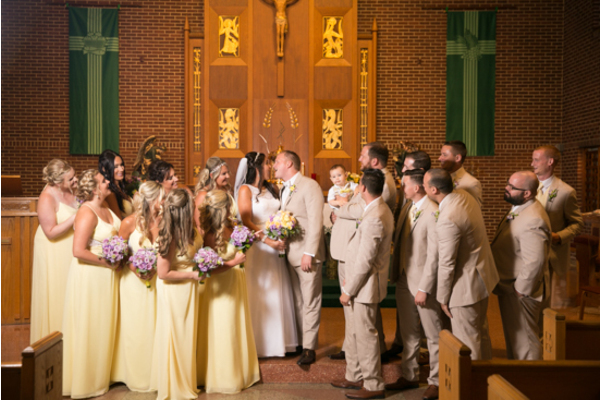 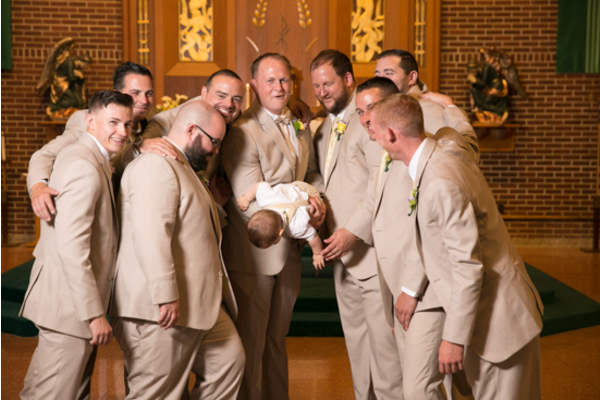 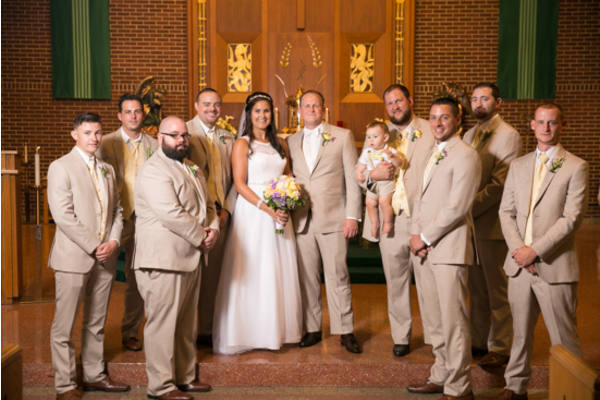 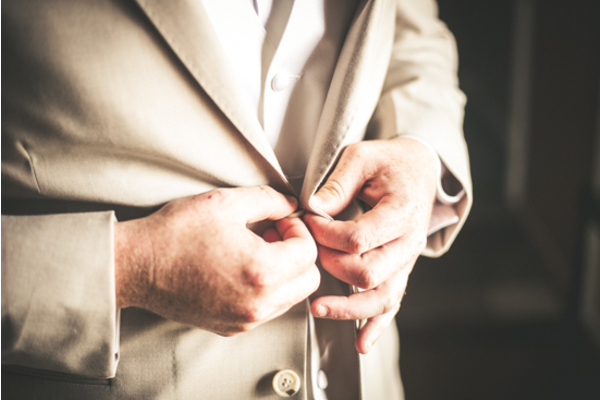 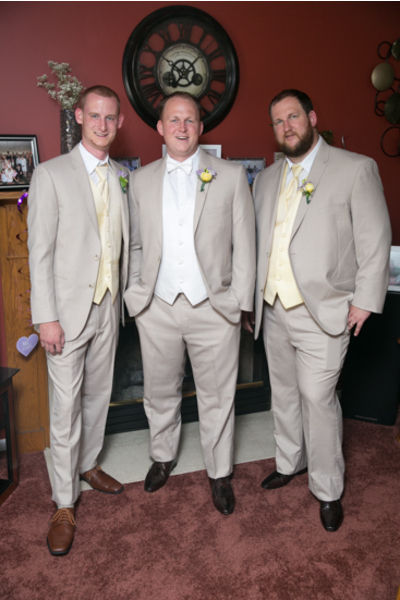 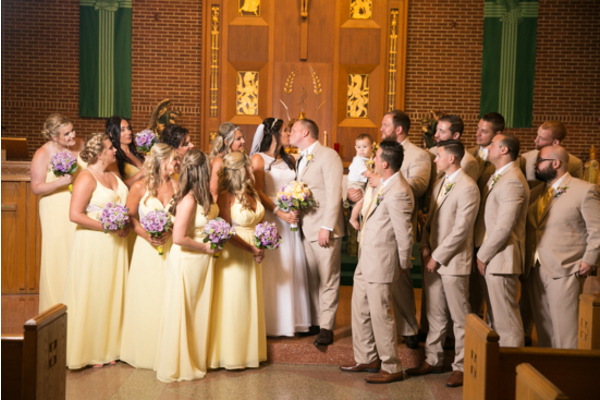 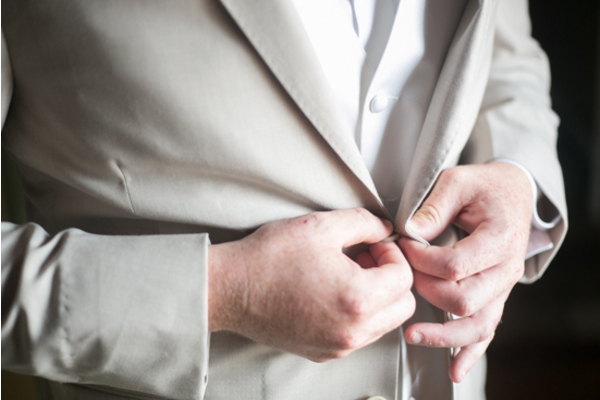 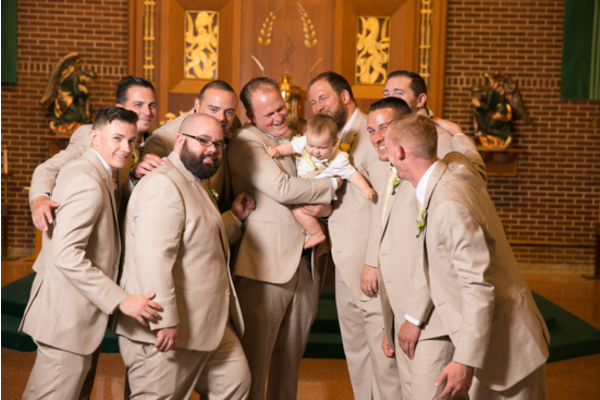 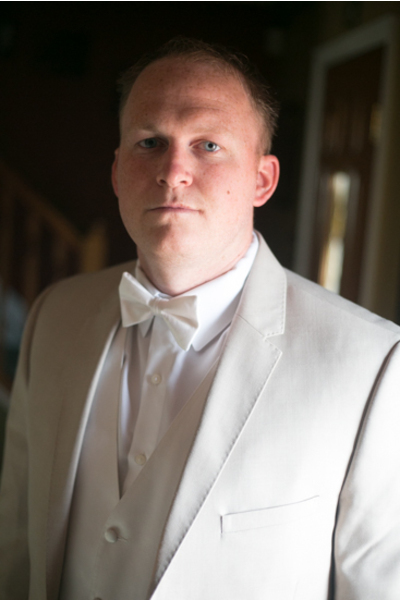 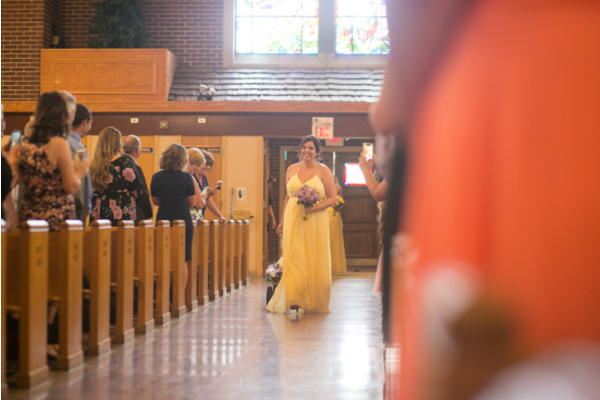 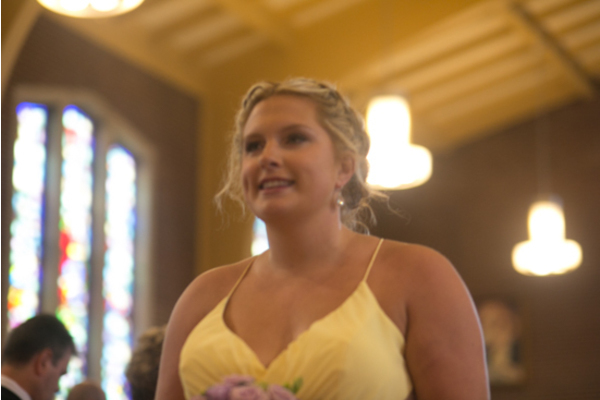 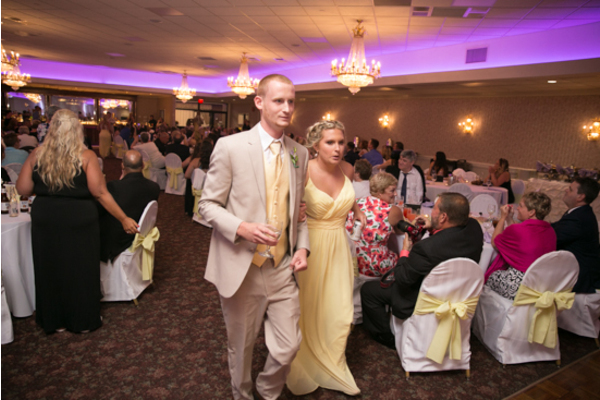 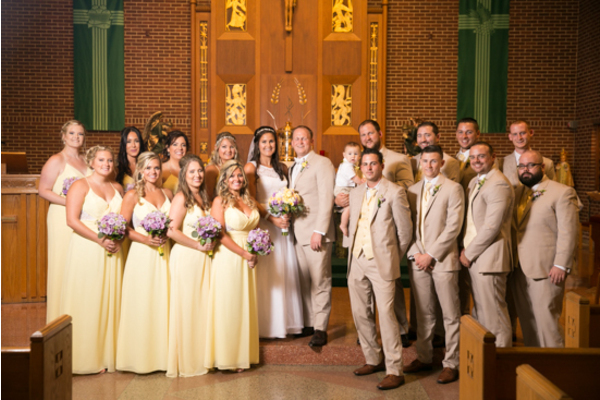 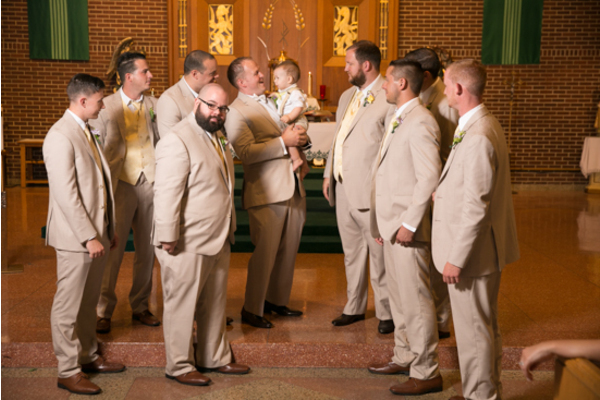 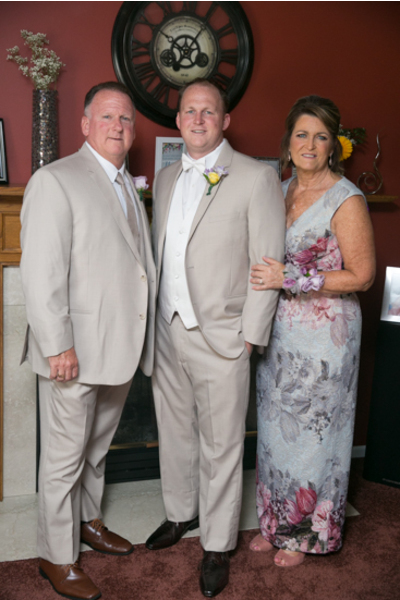 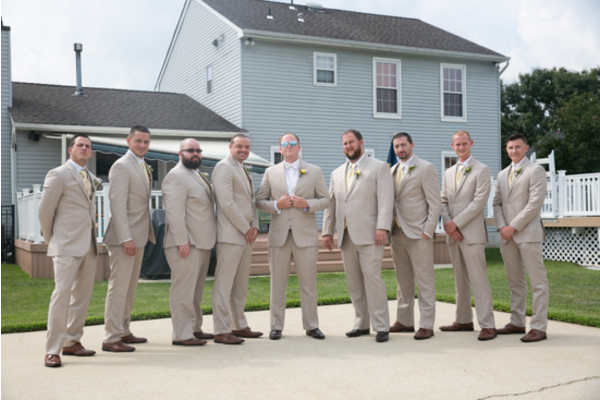 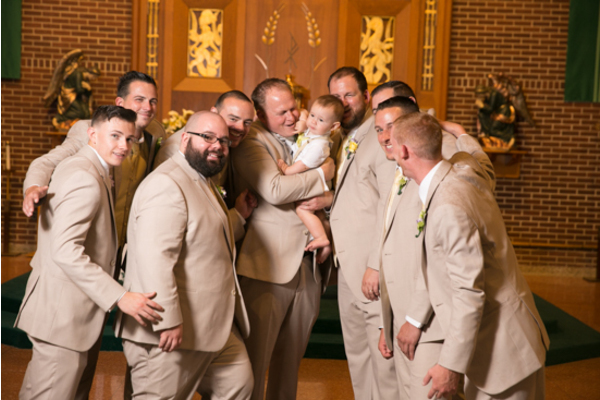 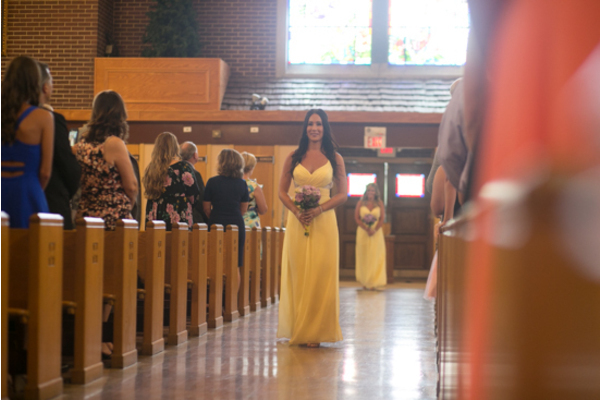 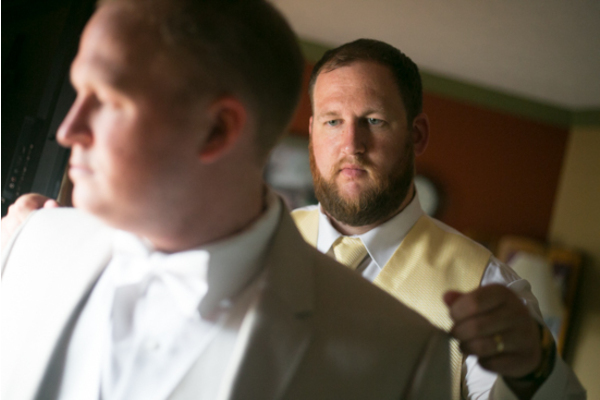 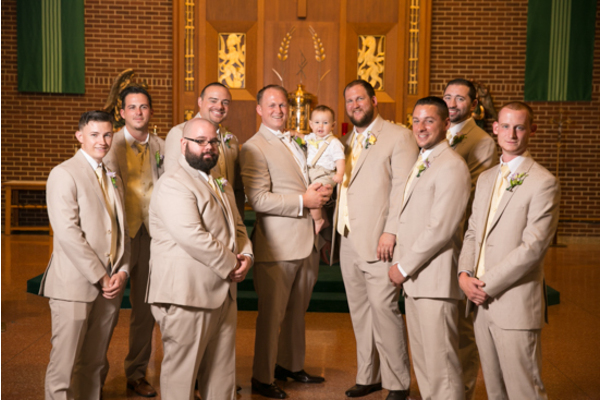 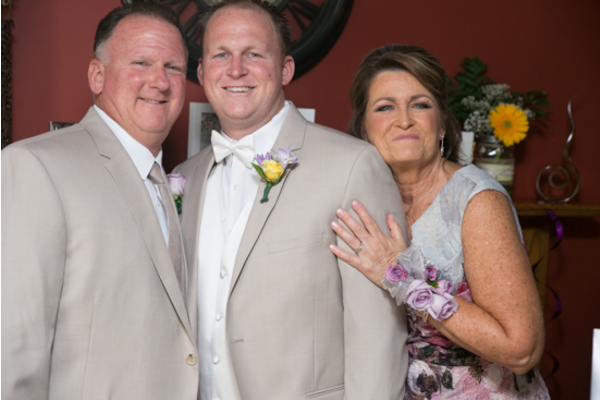 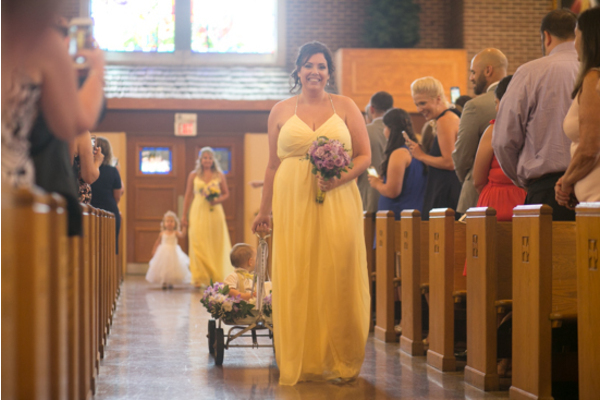 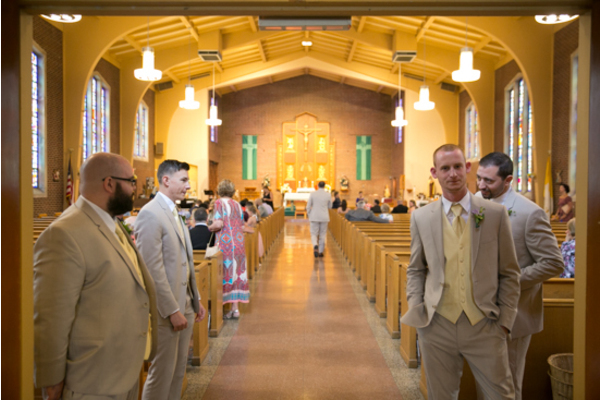 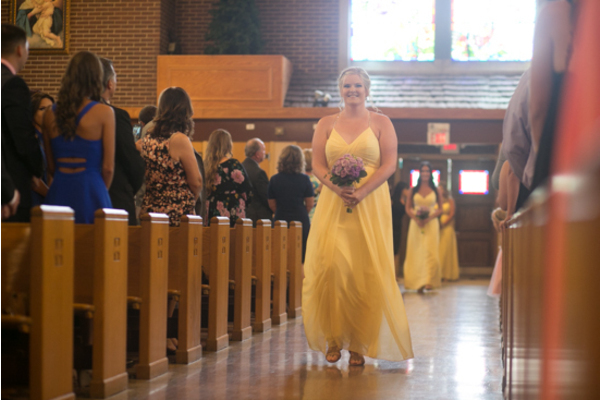 Meanwhile, the groom wore a simple tan suit that complimented the bridesmaids yellow gowns perfectly. 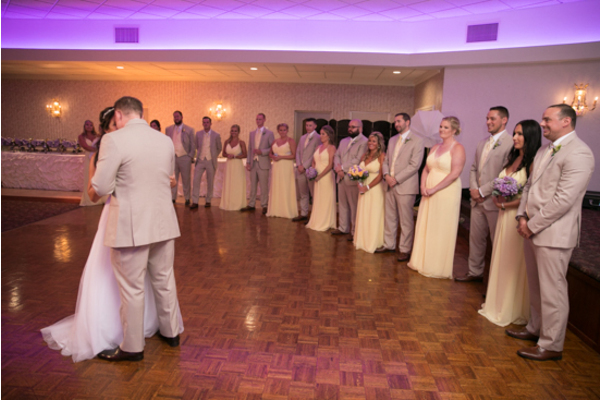 At the ceremony, guests gathered near to admire Ashley and Kevin’s true love. 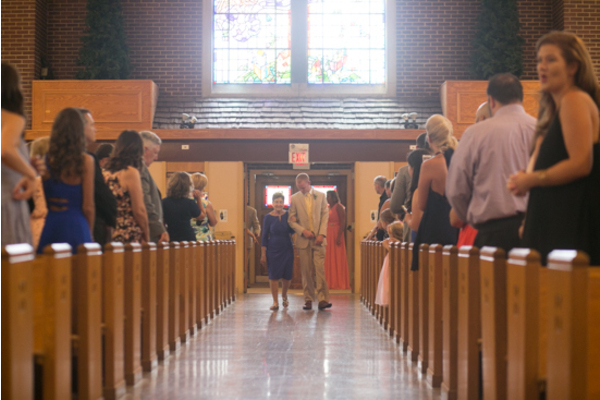 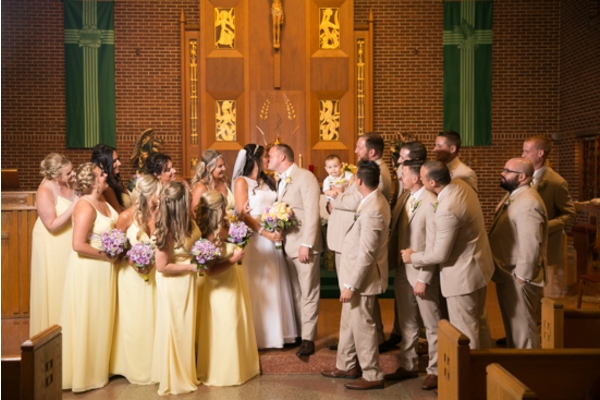 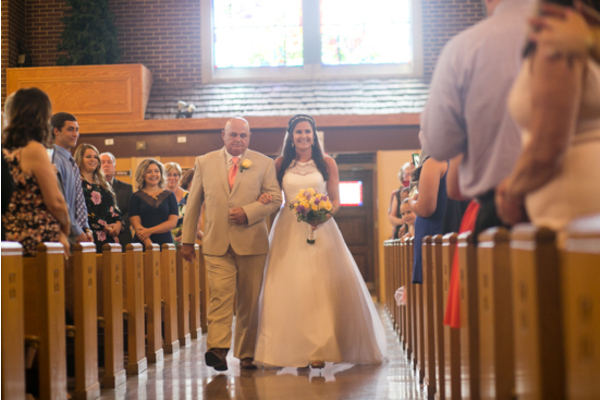 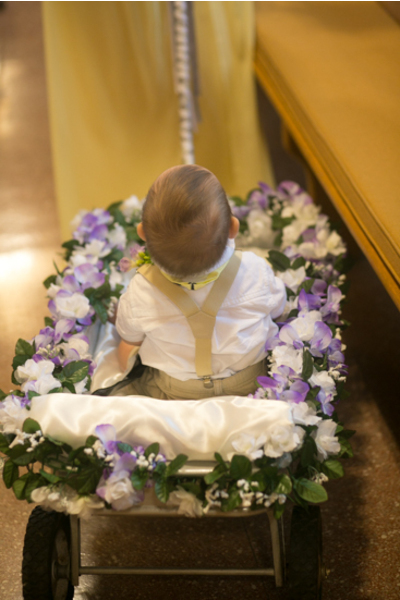 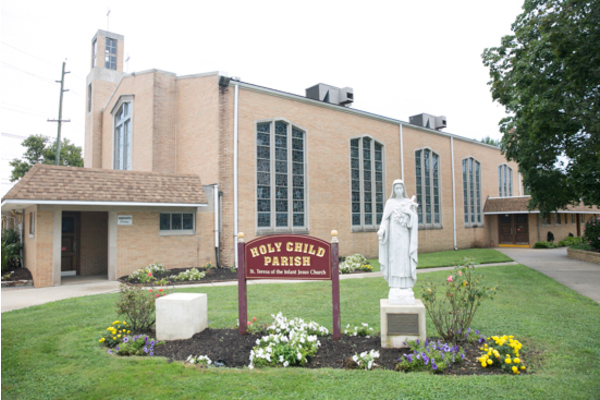 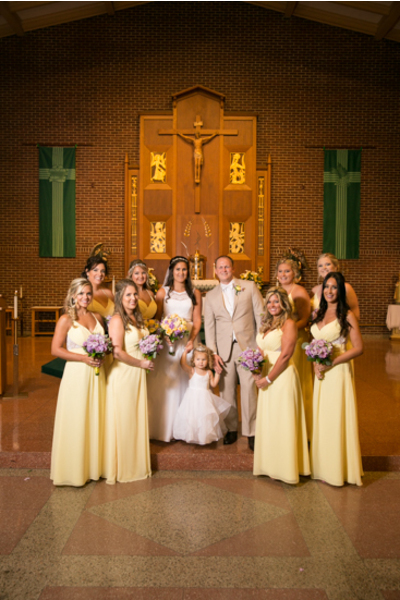 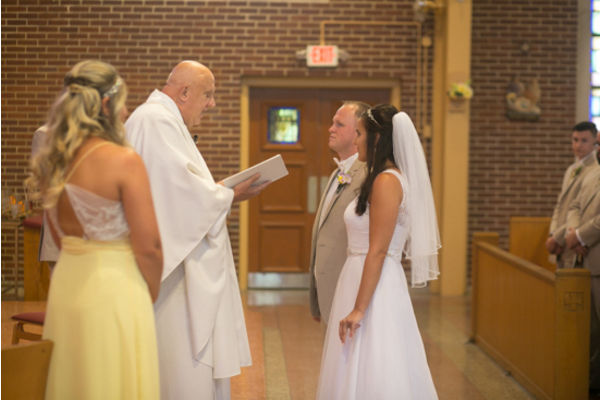 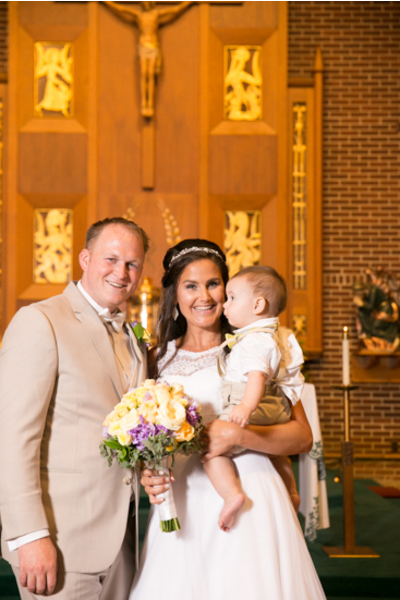 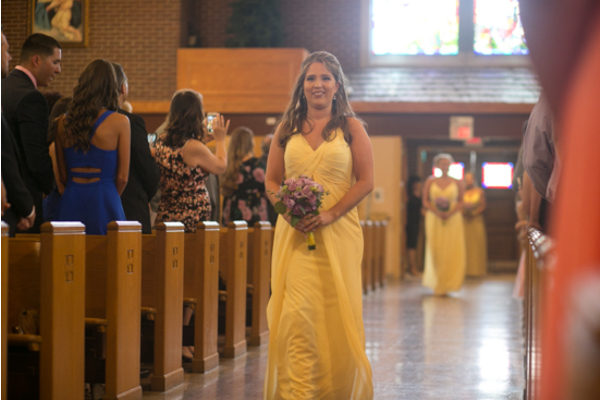 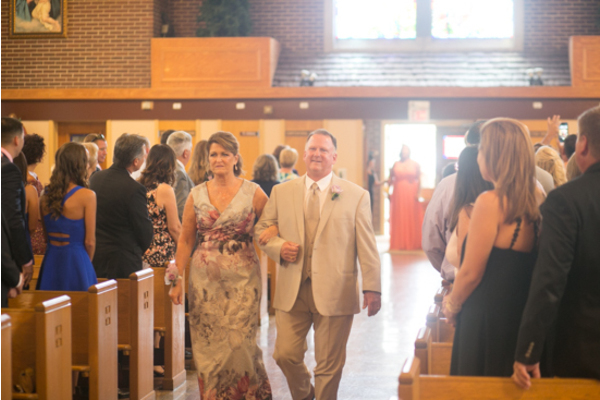 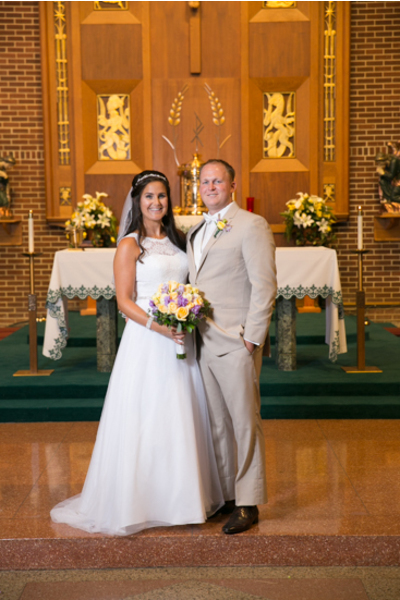 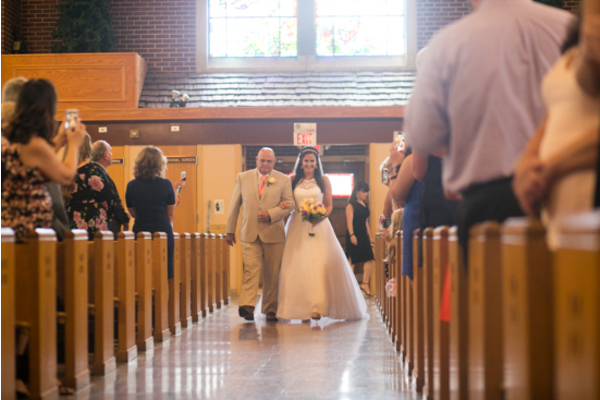 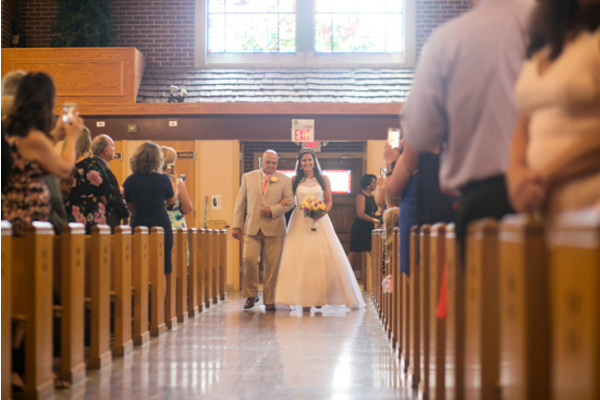 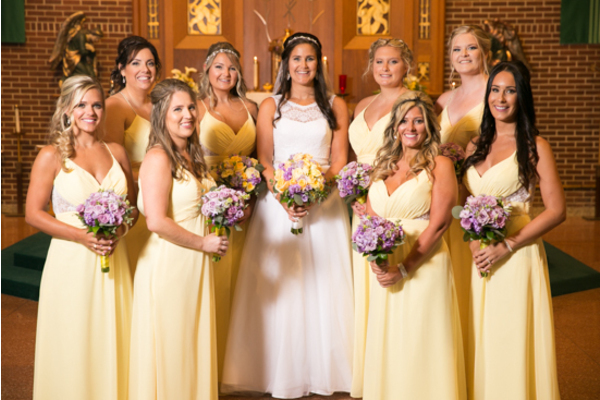 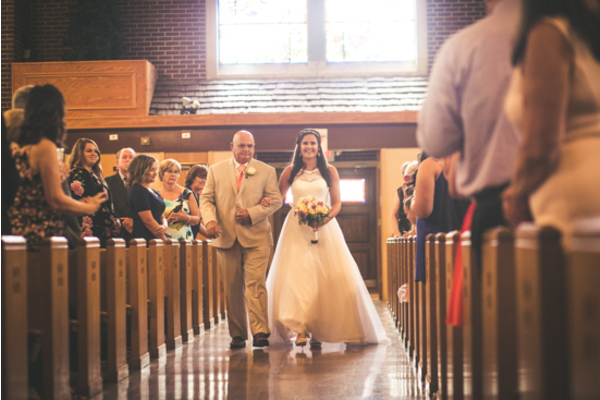 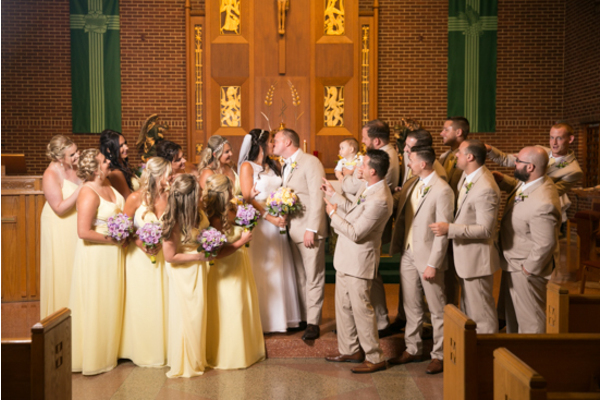 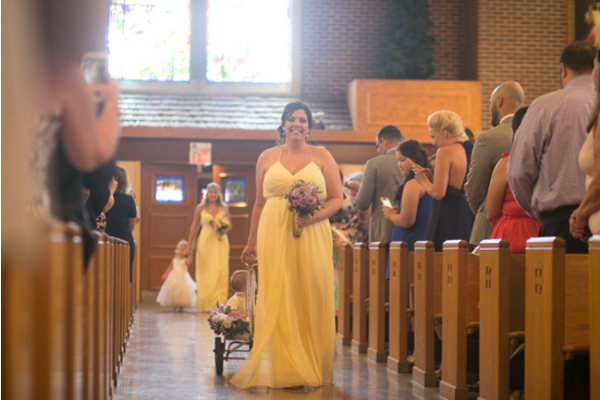 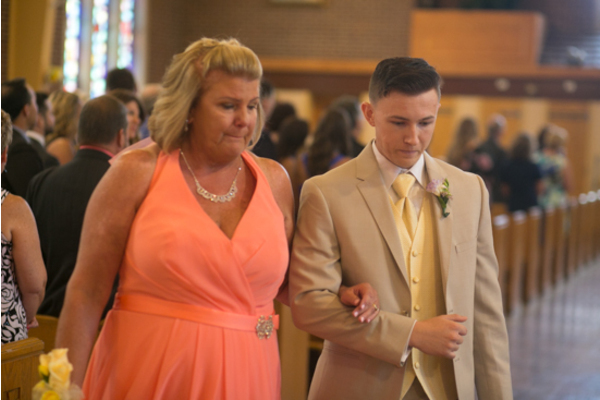 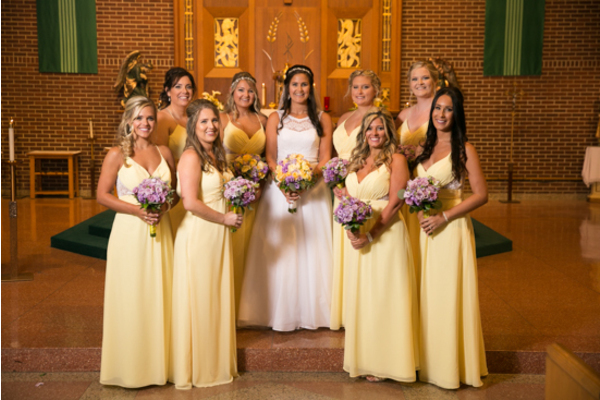 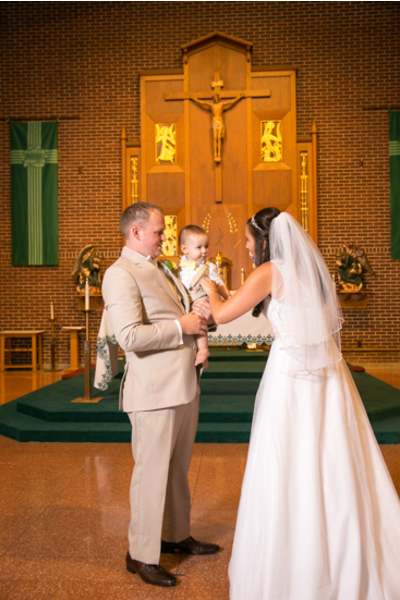 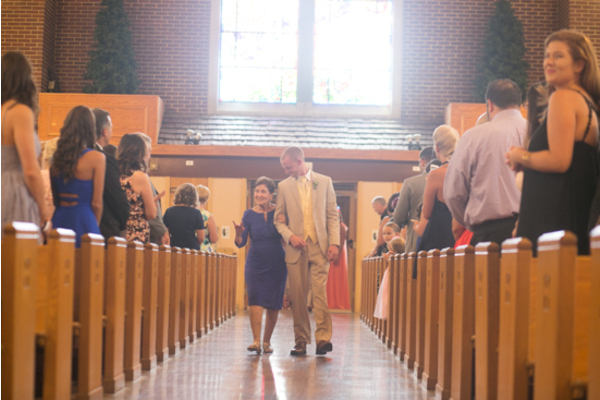 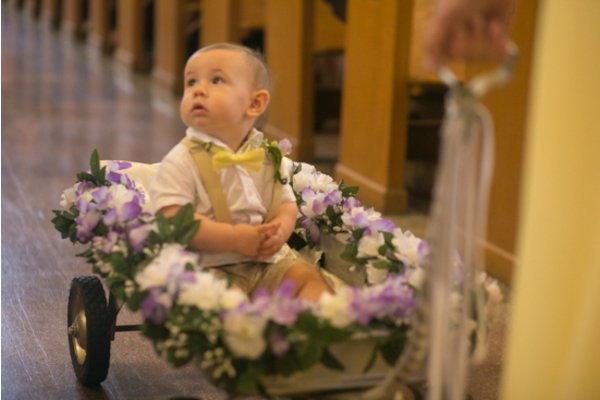 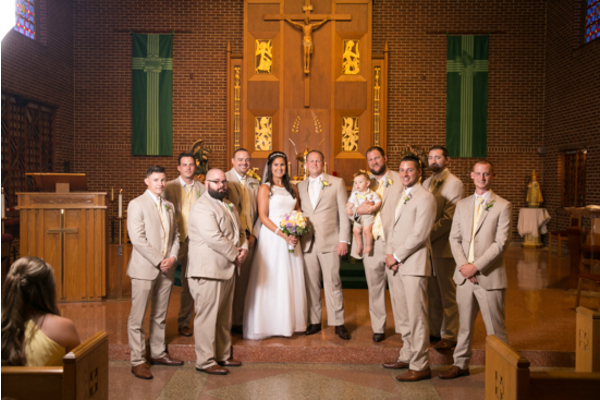 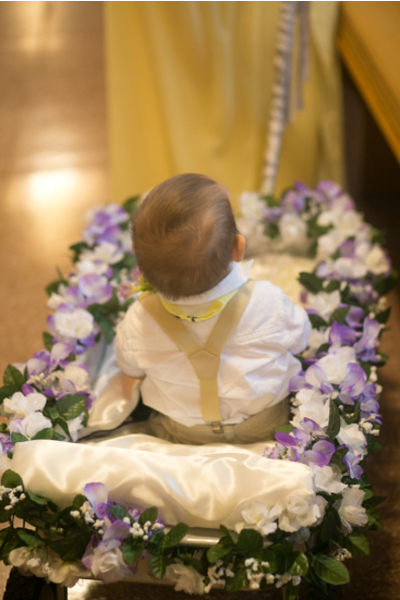 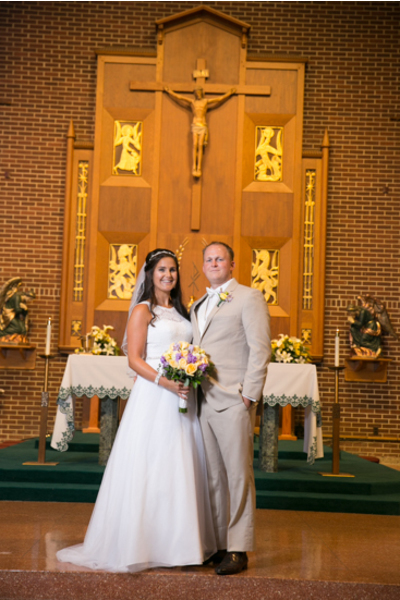 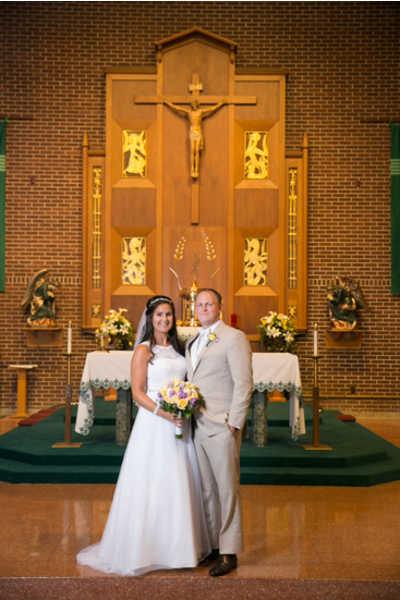 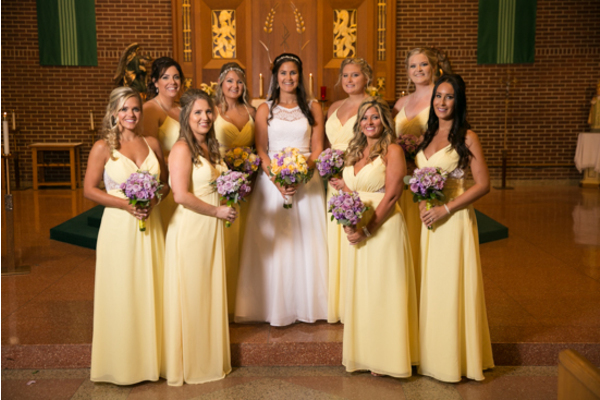 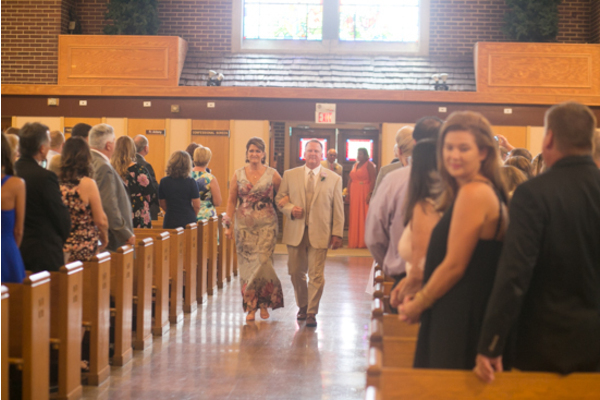 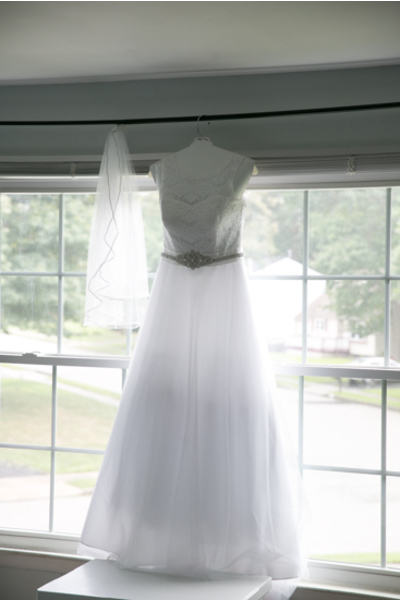 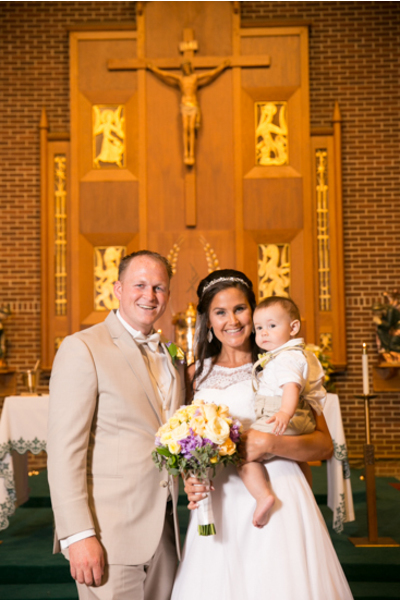 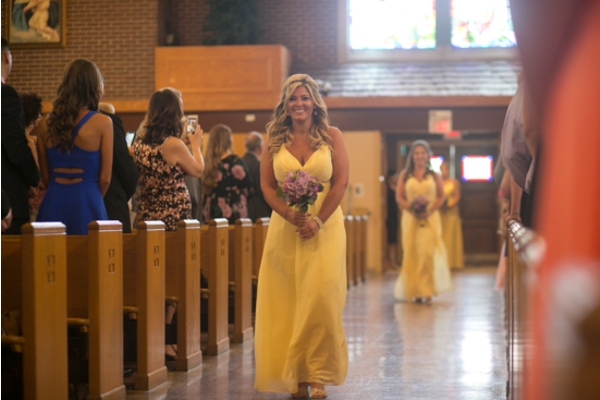 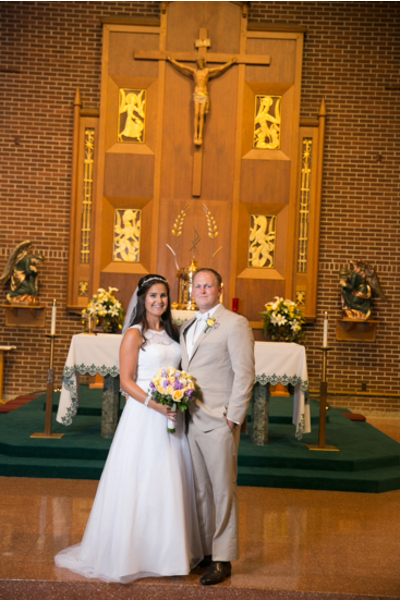 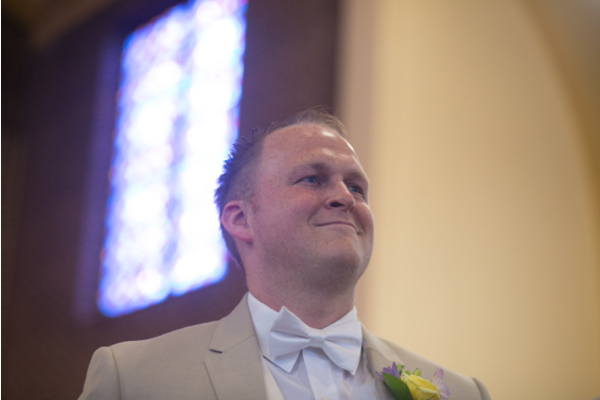 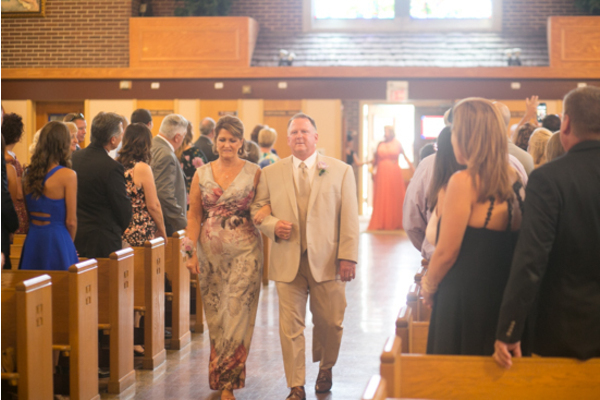 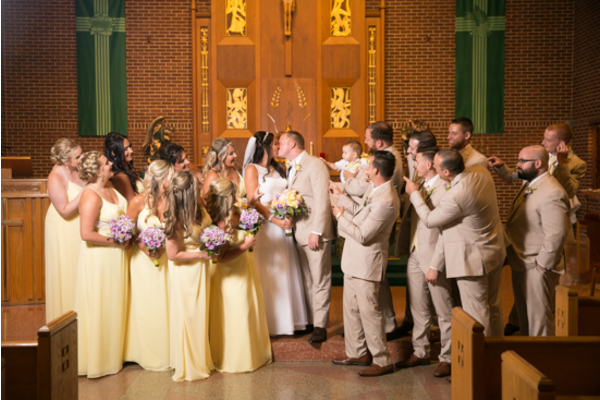 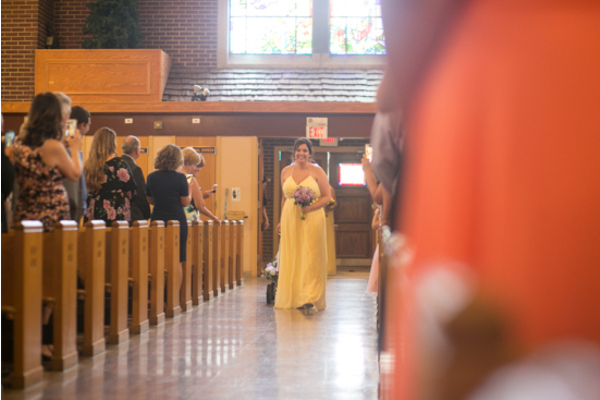 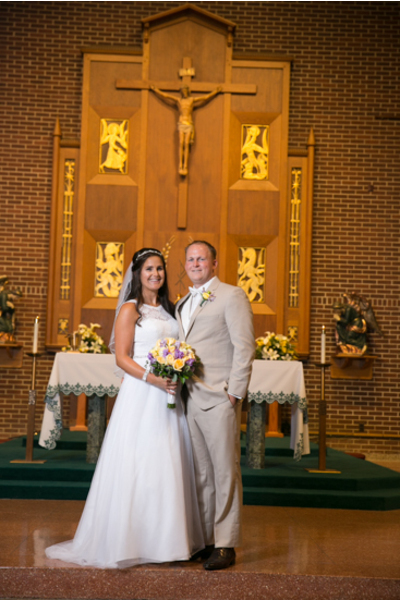 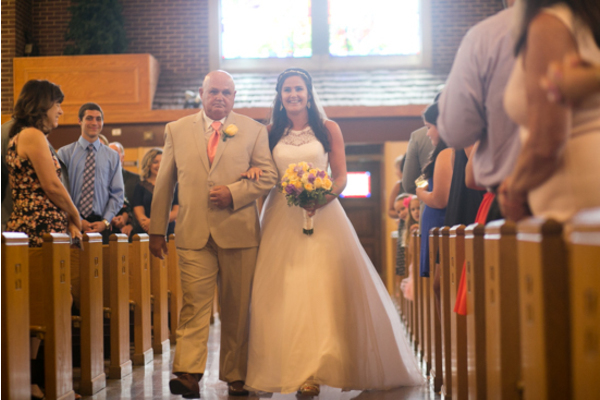 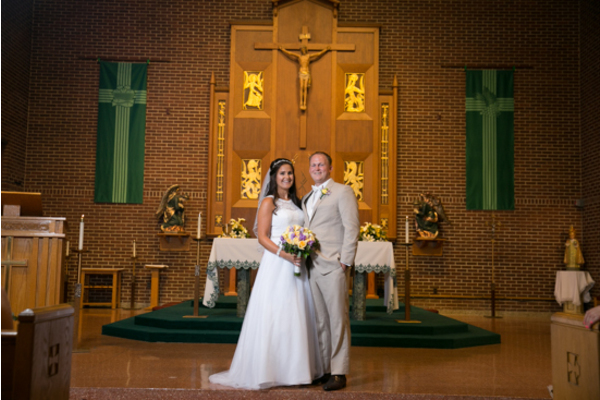 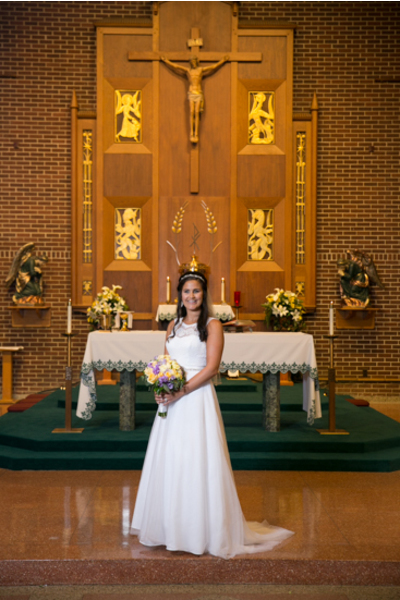 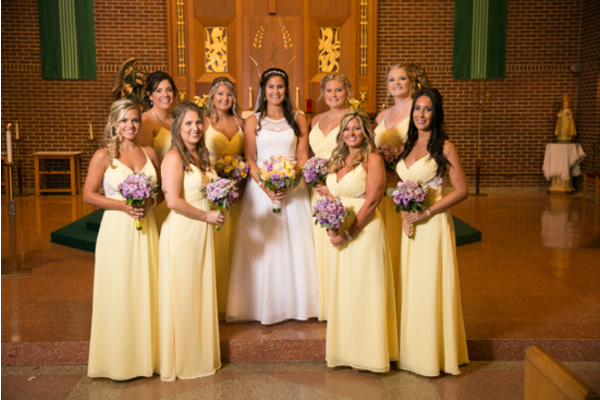 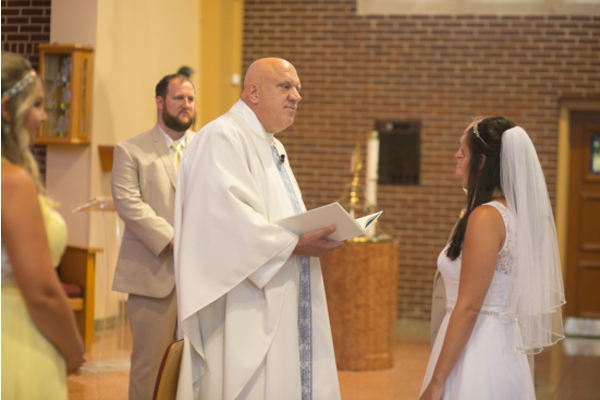 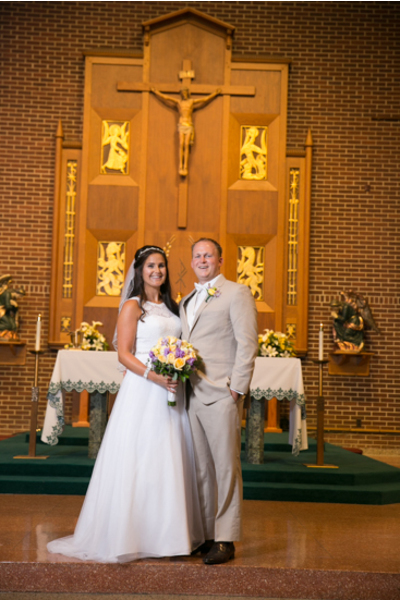 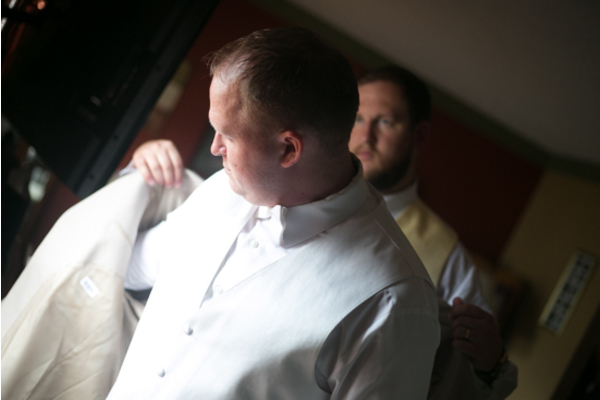 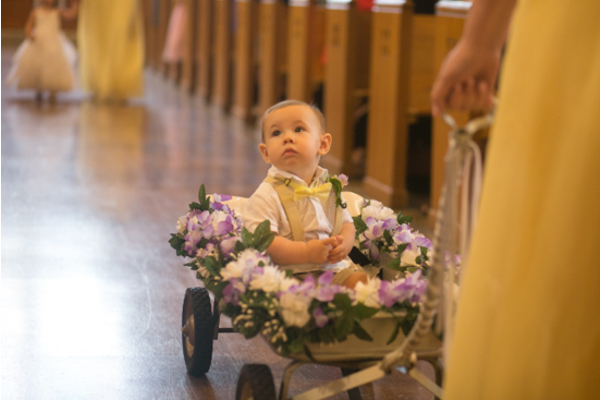 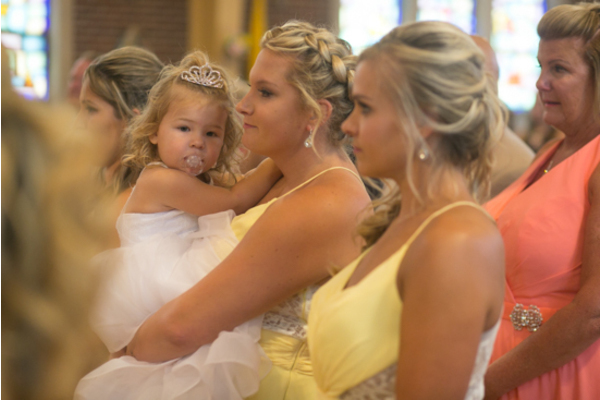 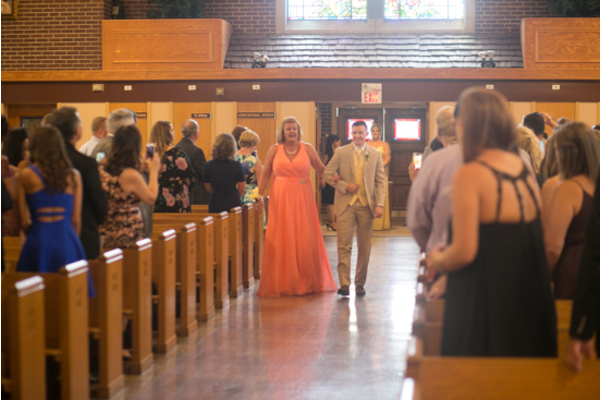 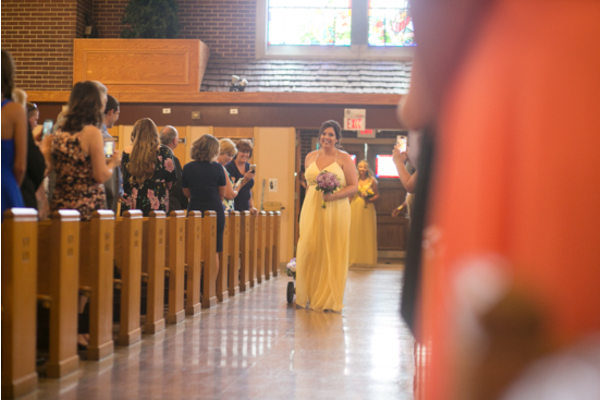 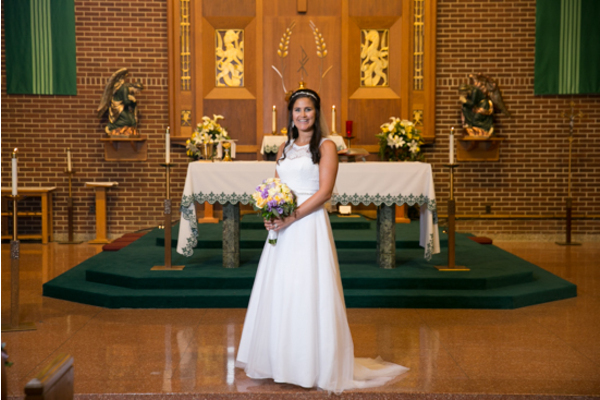 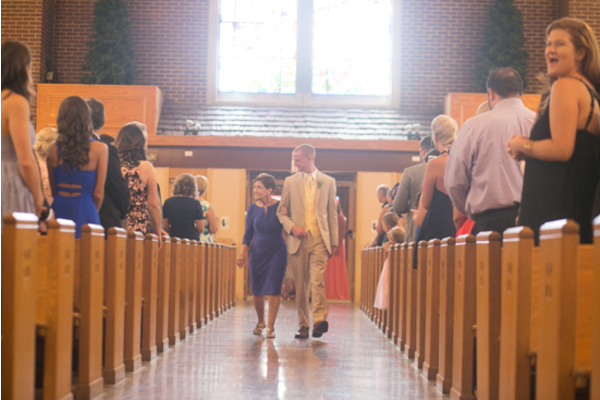 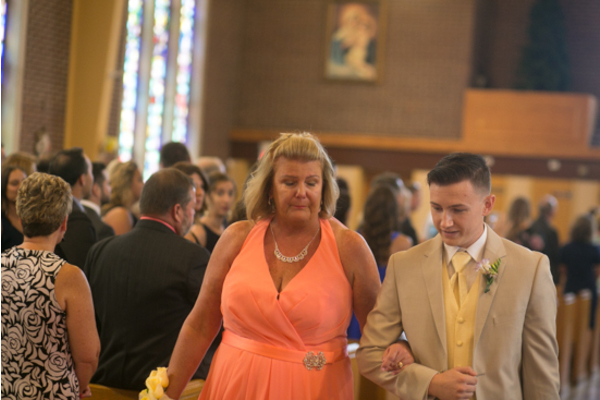 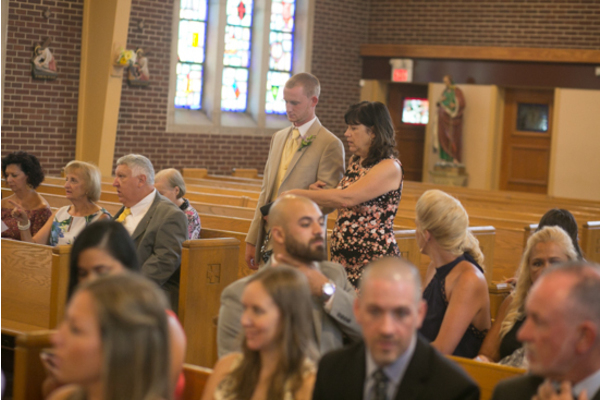 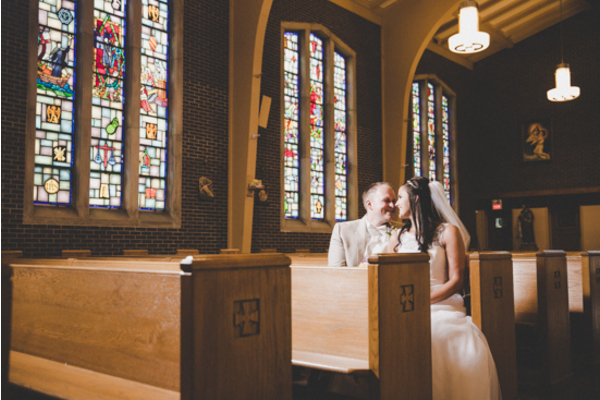 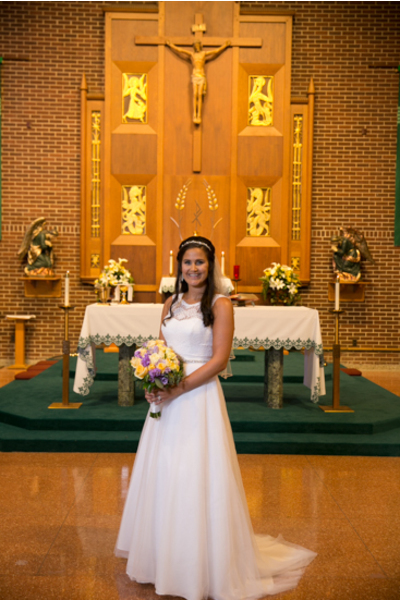 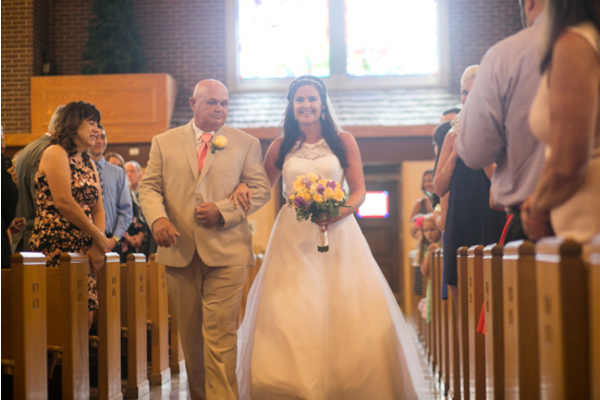 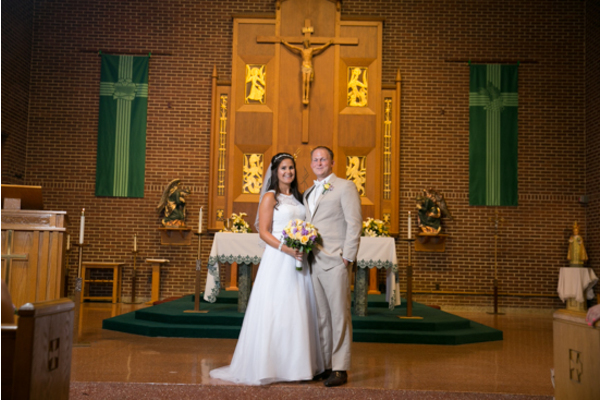 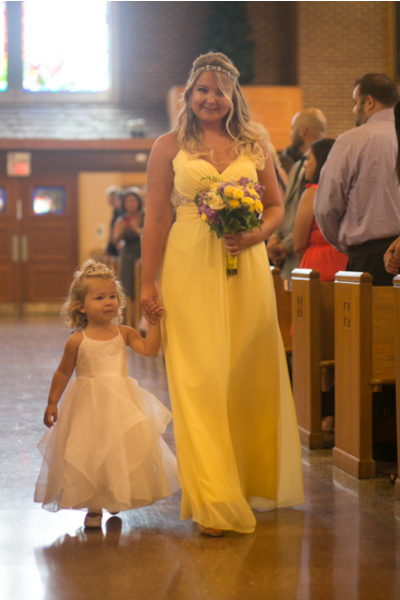 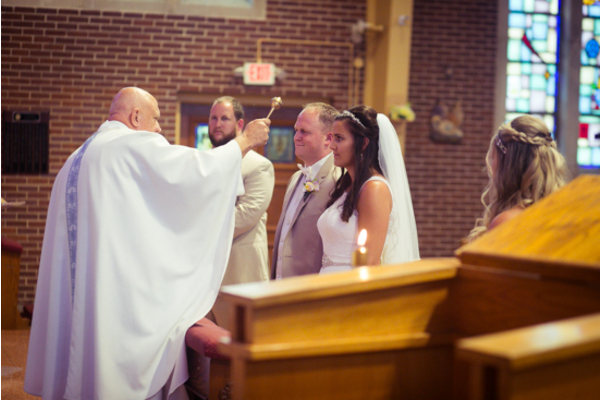 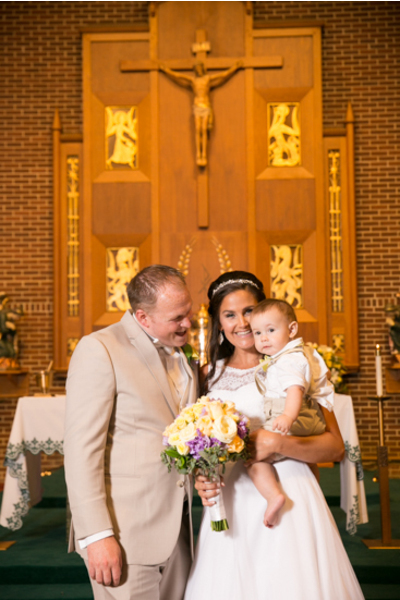 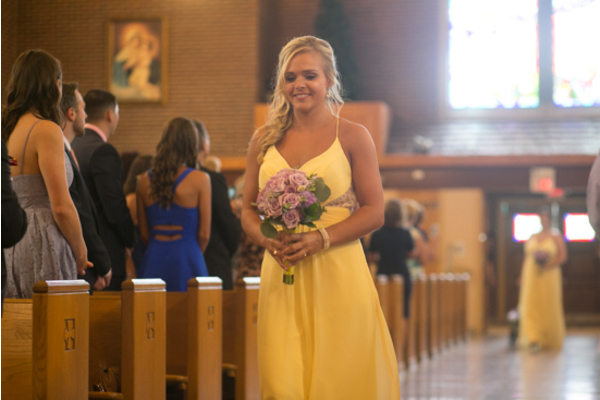 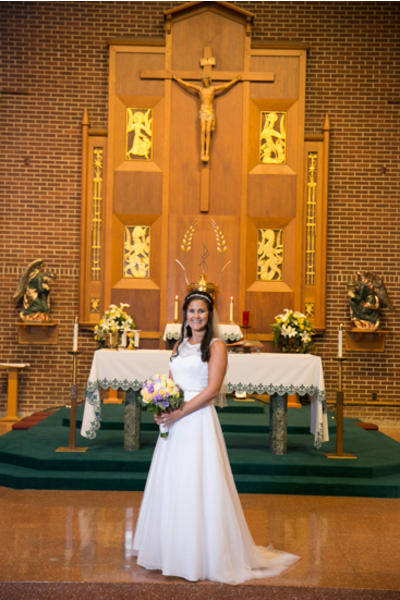 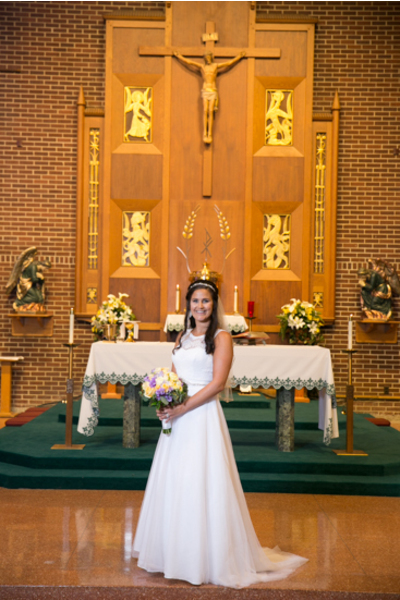 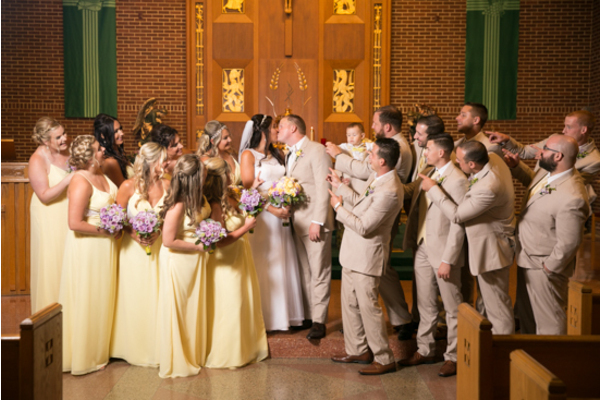 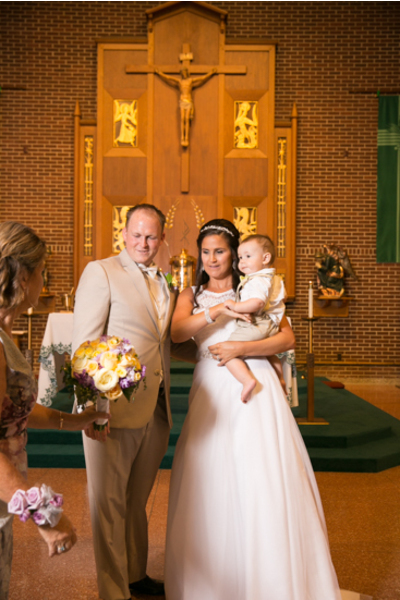 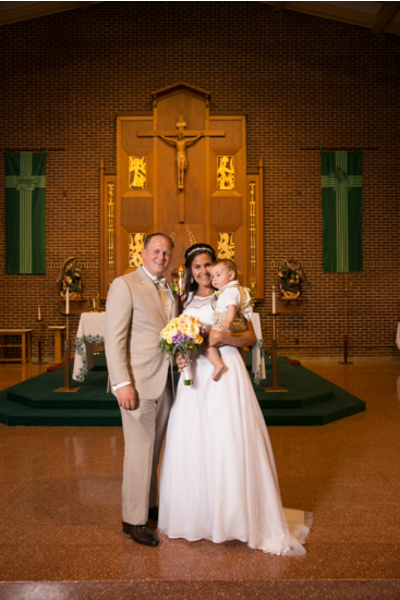 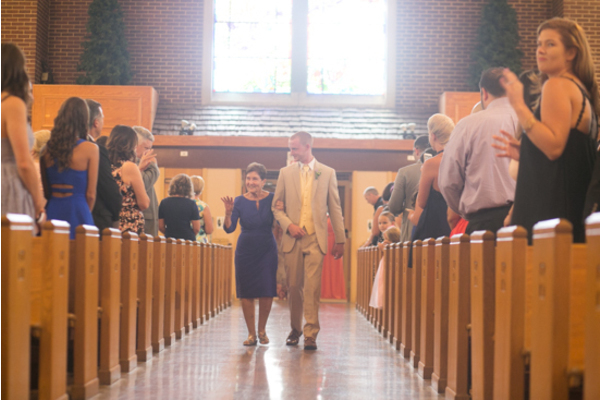 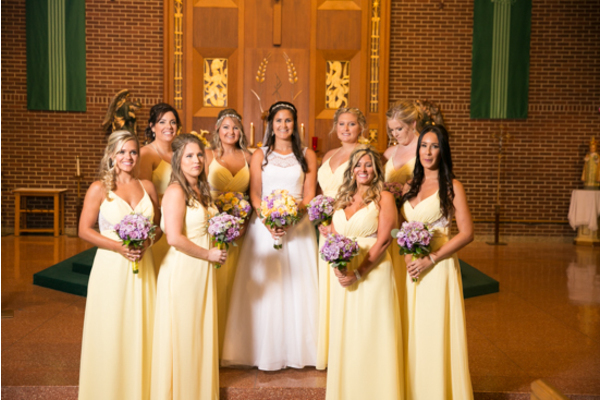 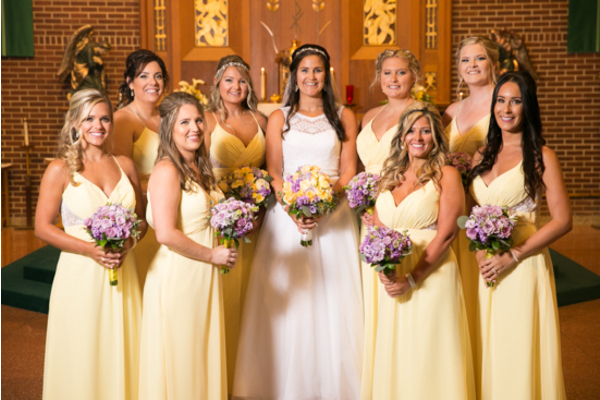 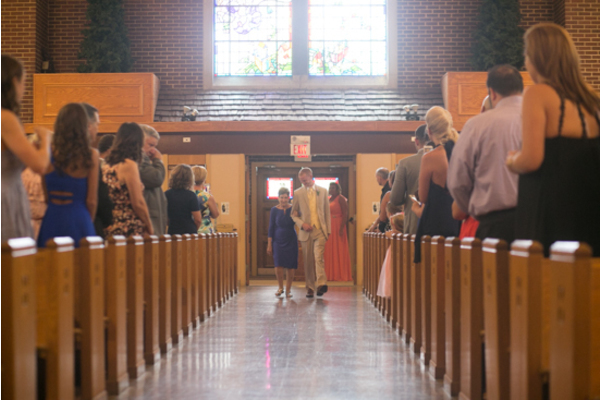 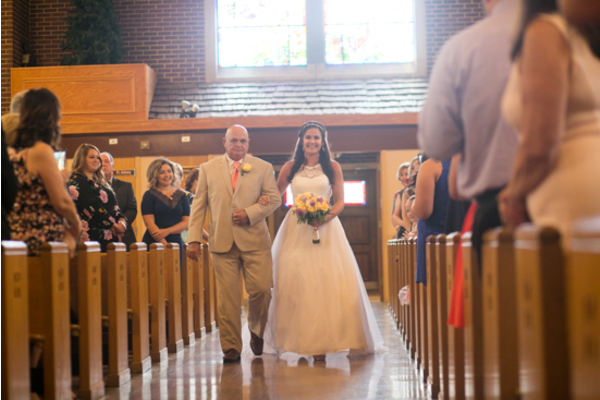 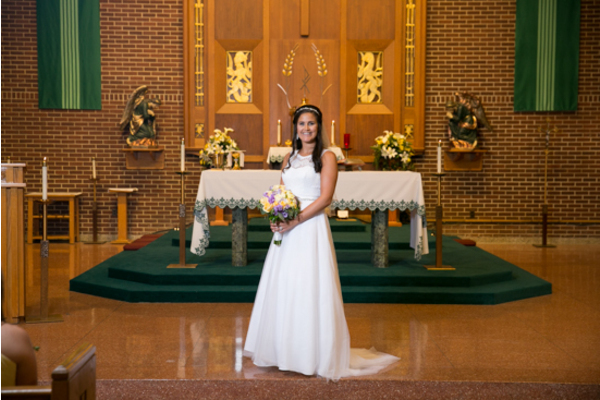 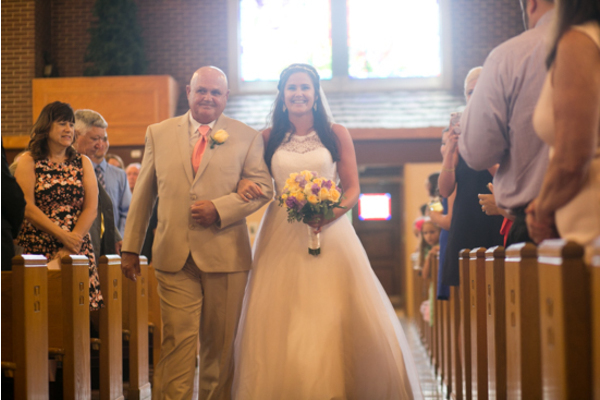 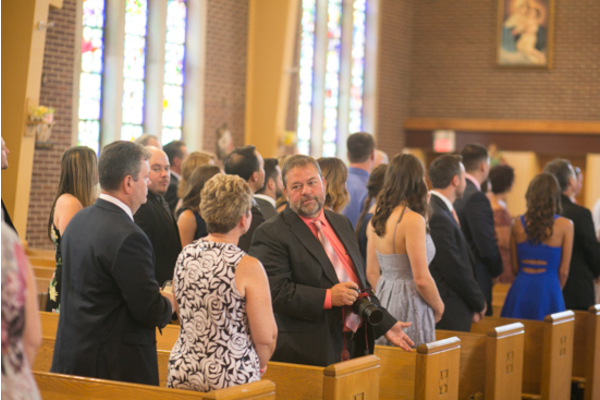 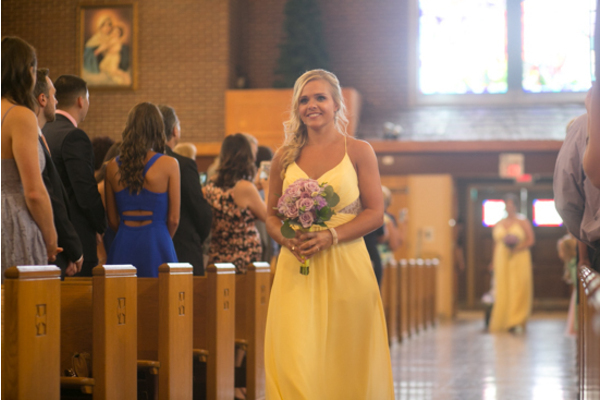 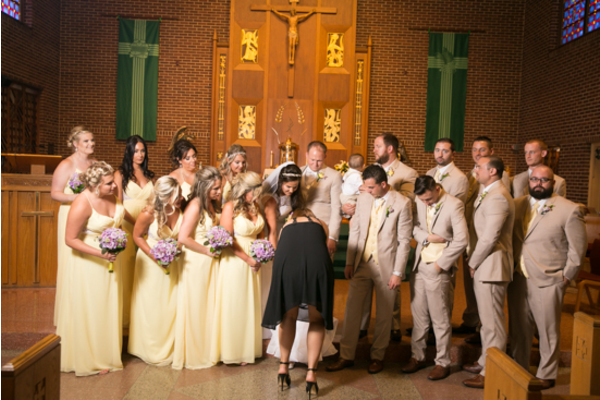 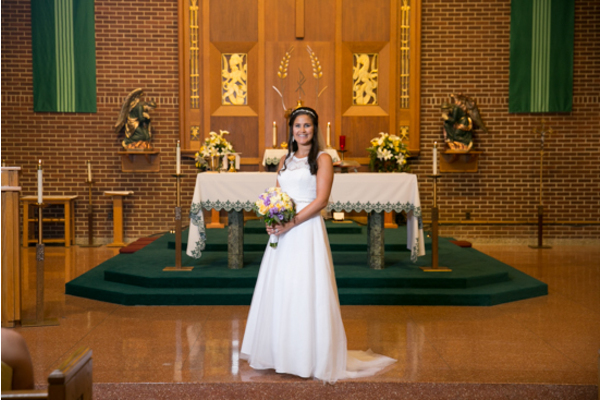 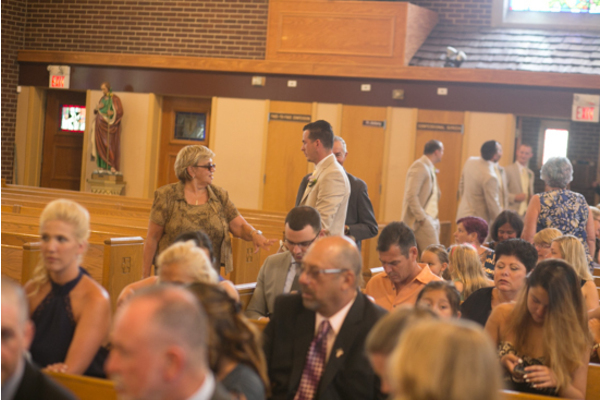 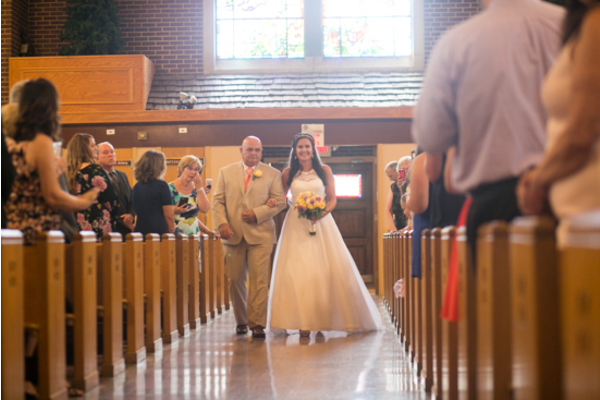 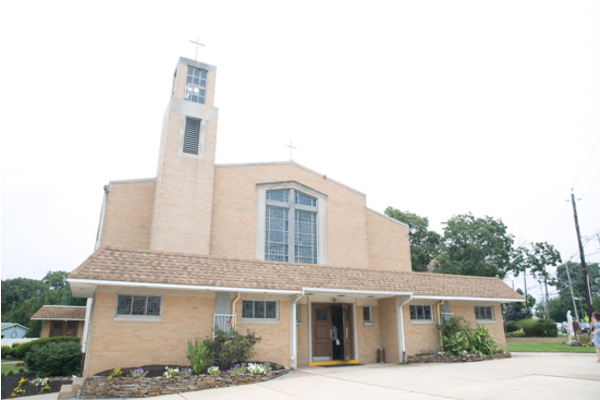 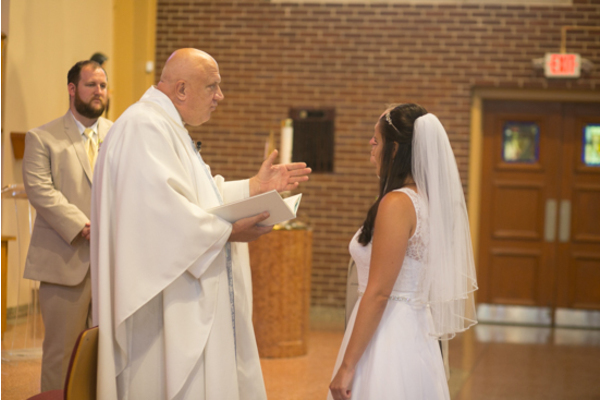 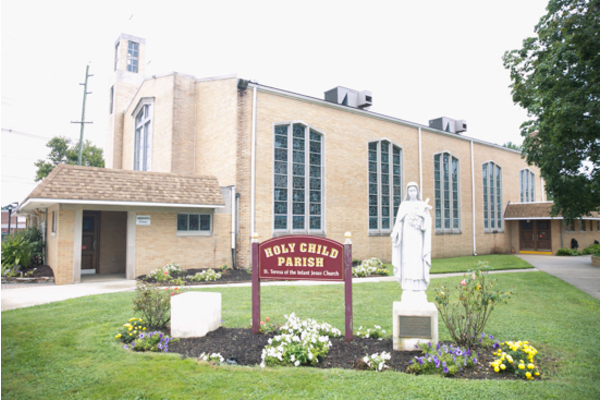 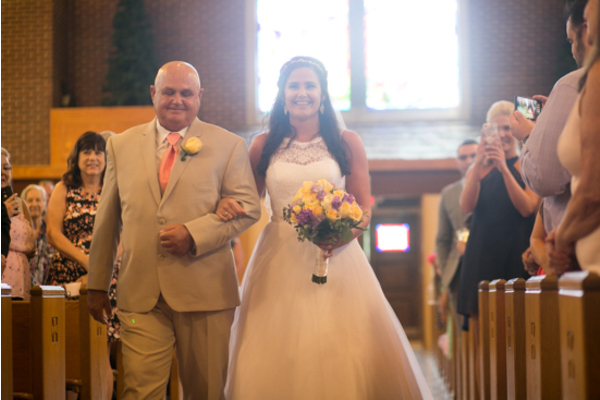 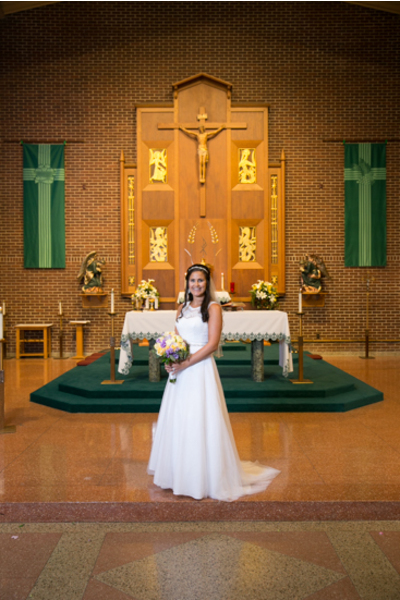 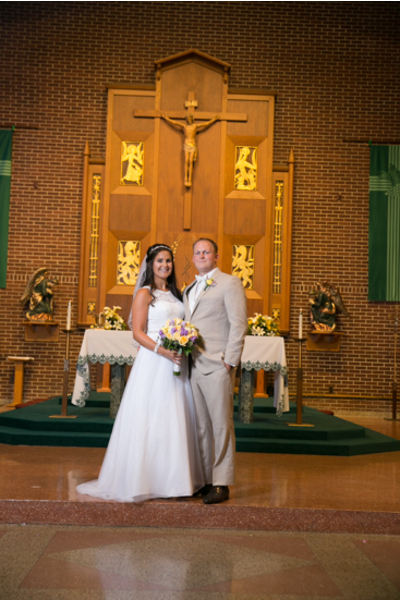 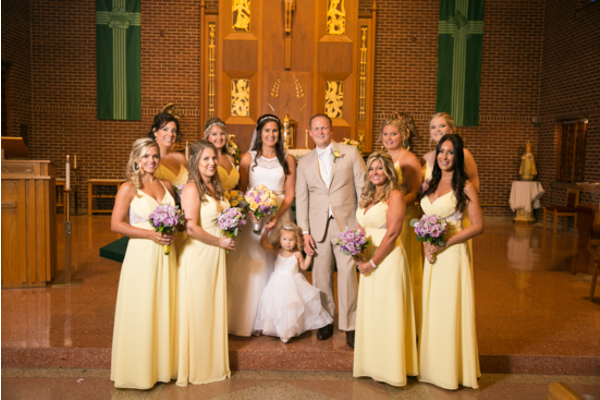 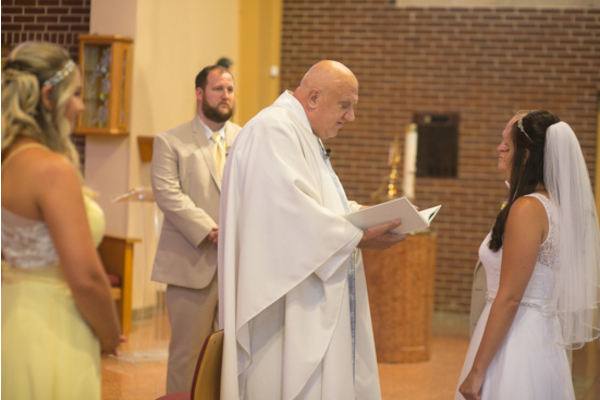 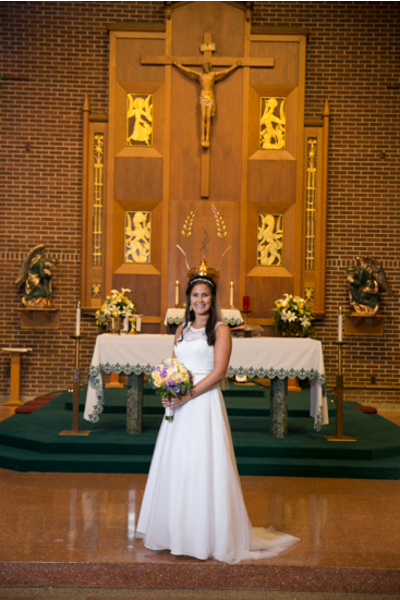 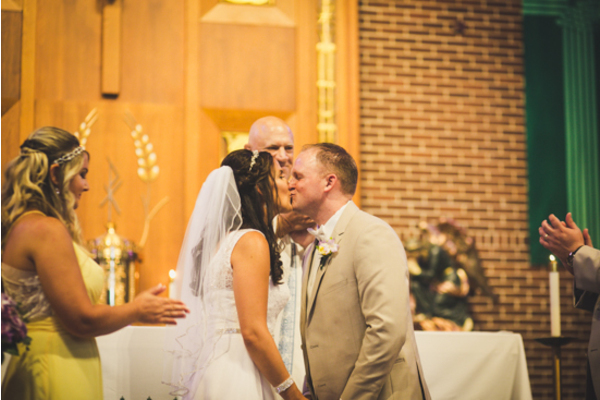 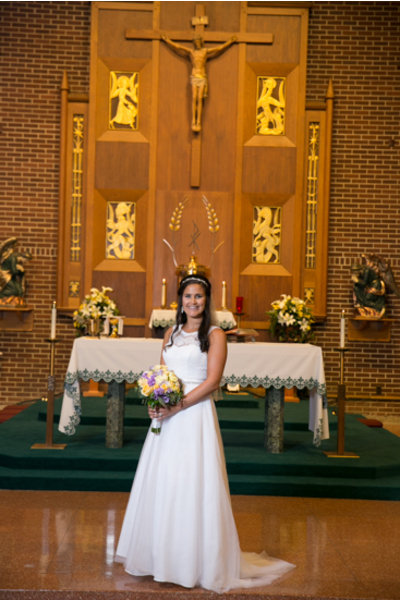 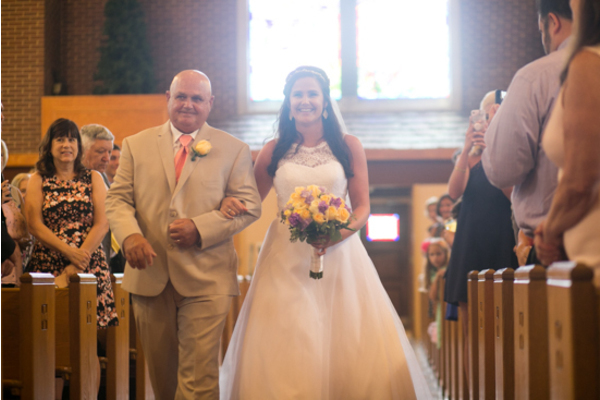 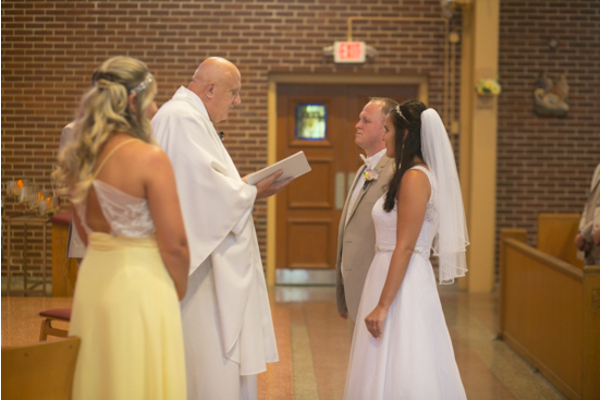 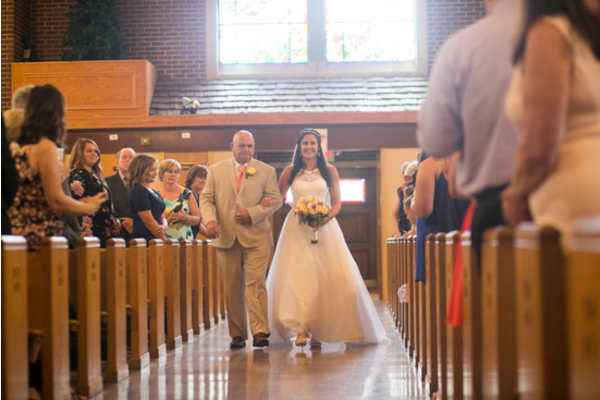 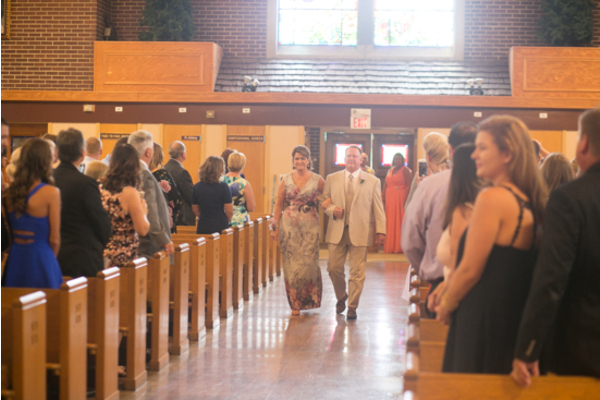 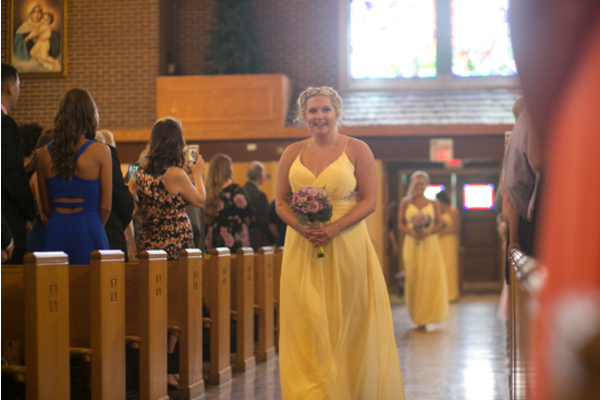 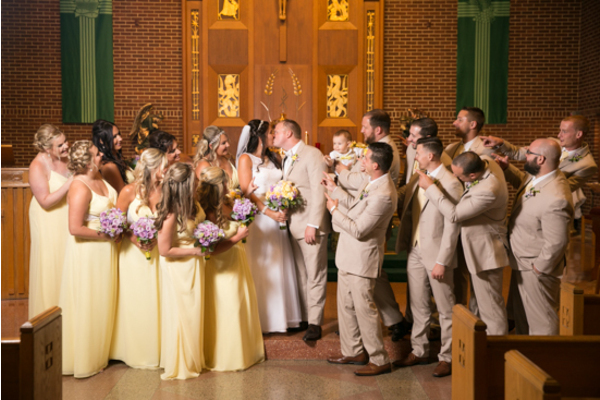 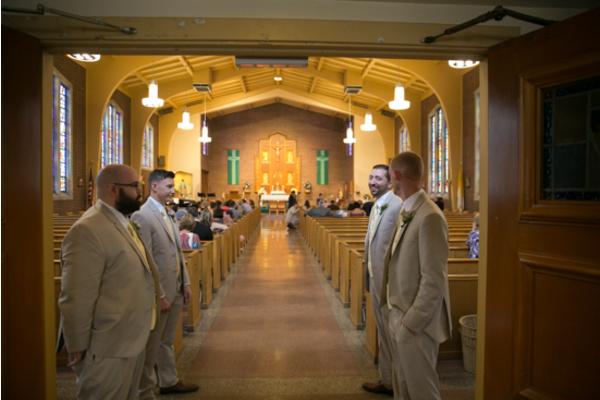 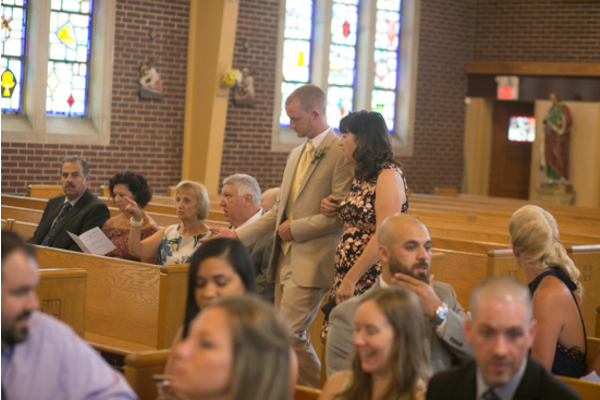 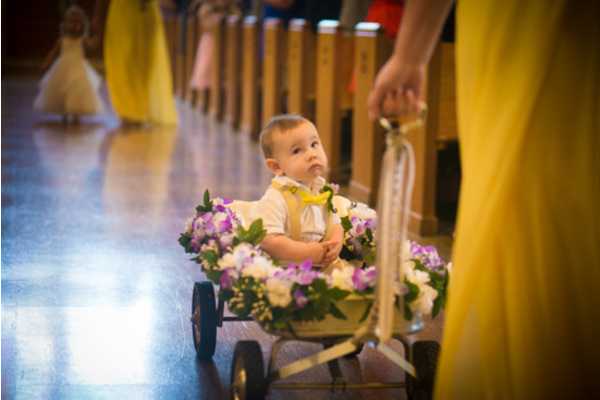 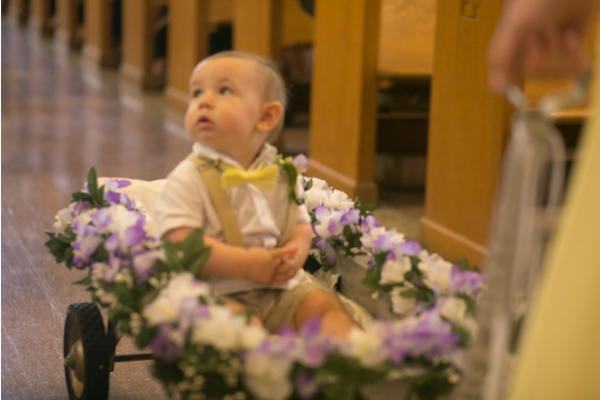 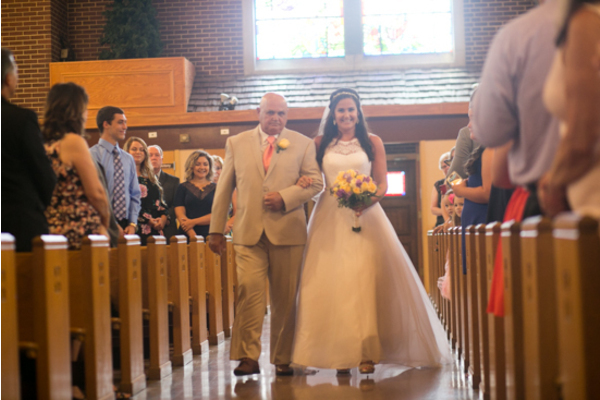 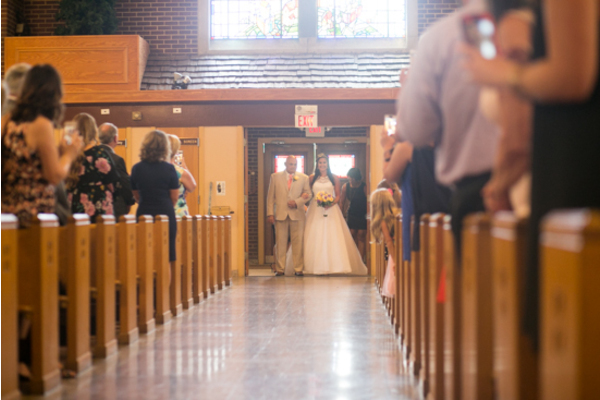 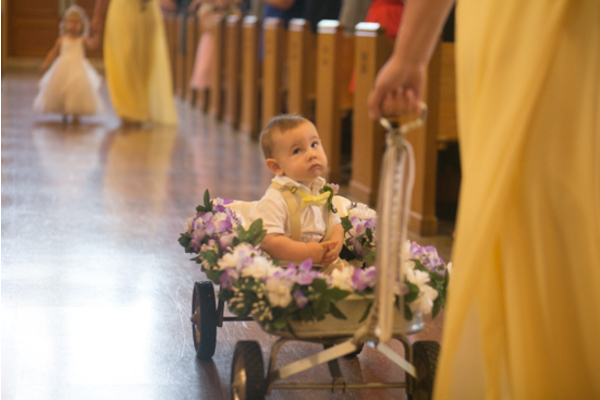 Then, our NJ Wedding Photographer continued with pictures inside the church! 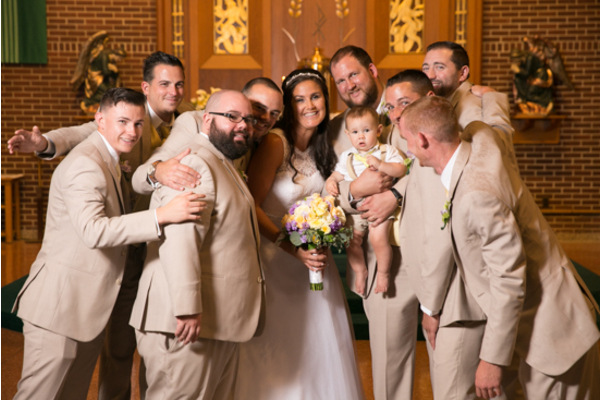 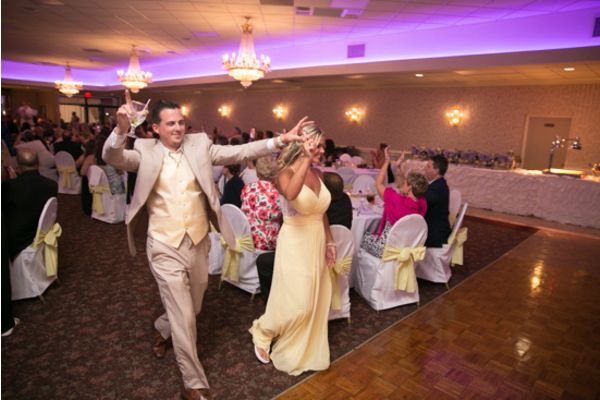 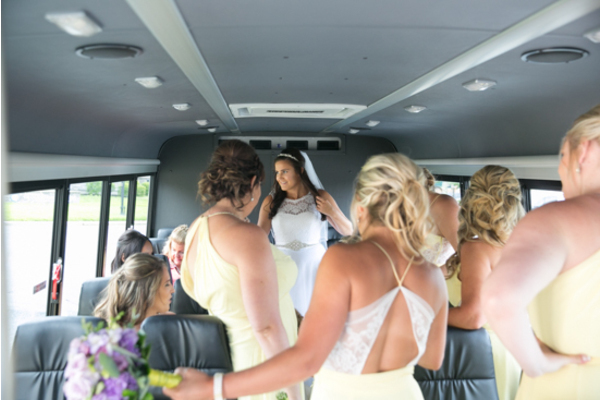 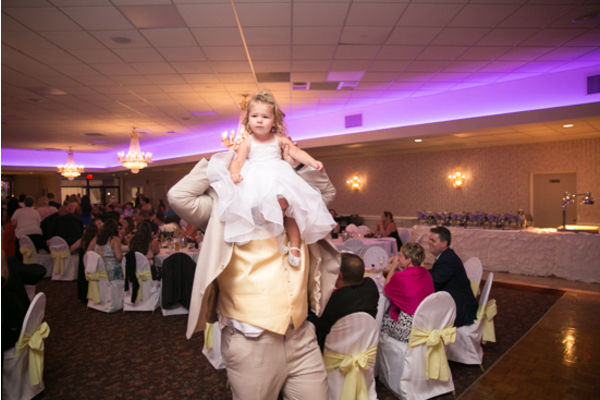 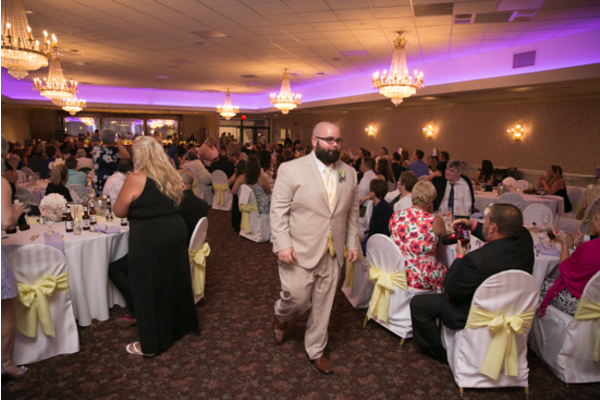 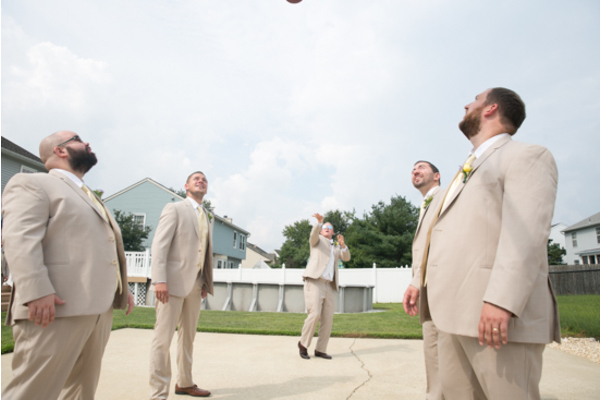 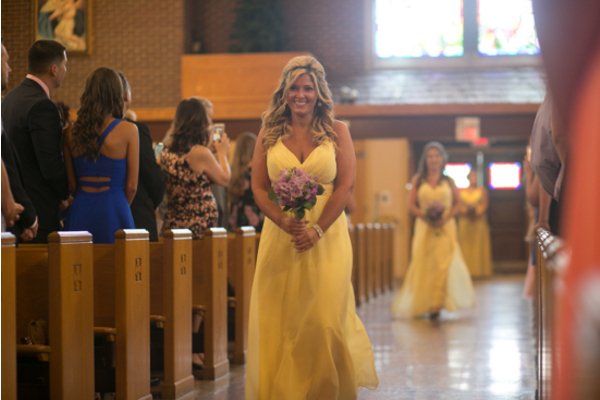 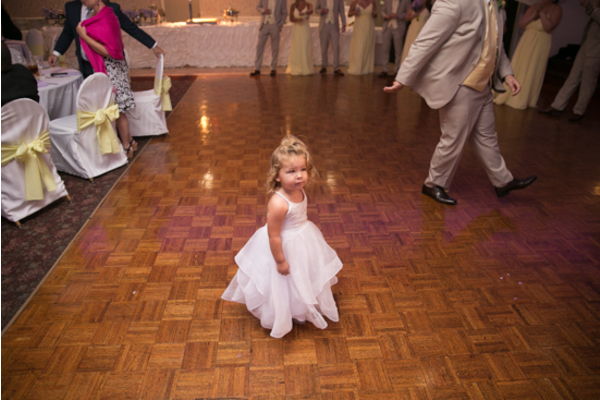 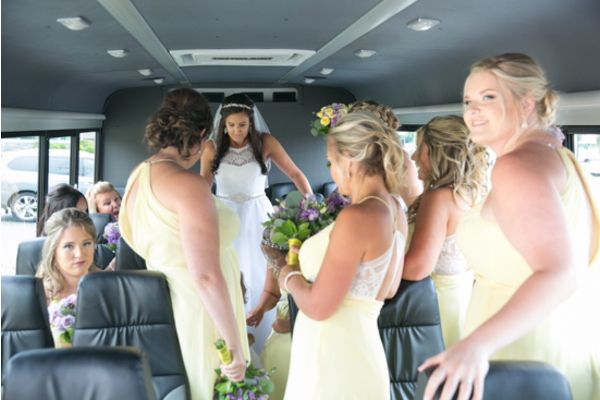 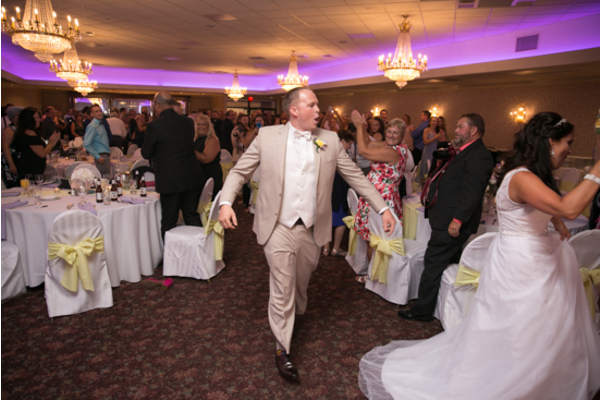 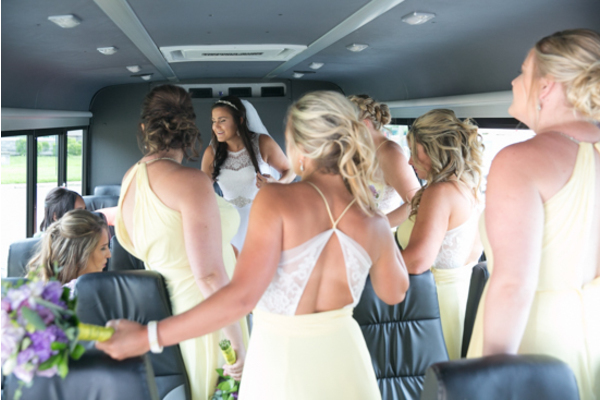 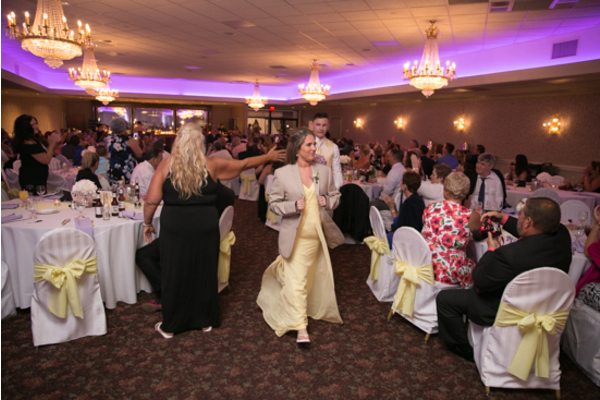 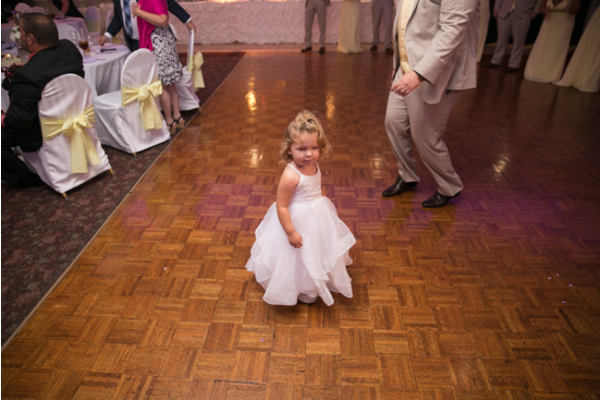 At last, our NJ Wedding Videographer headed over to the venue with the guests for the reception! 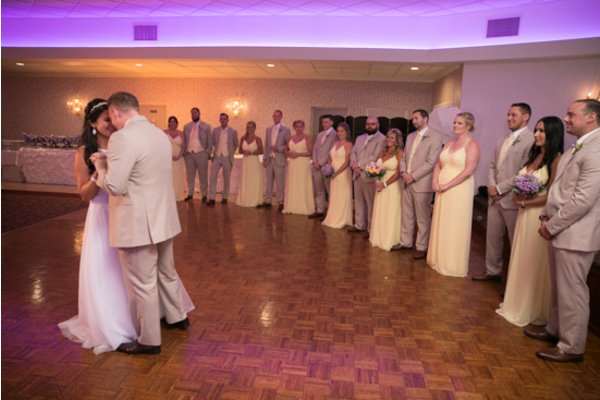 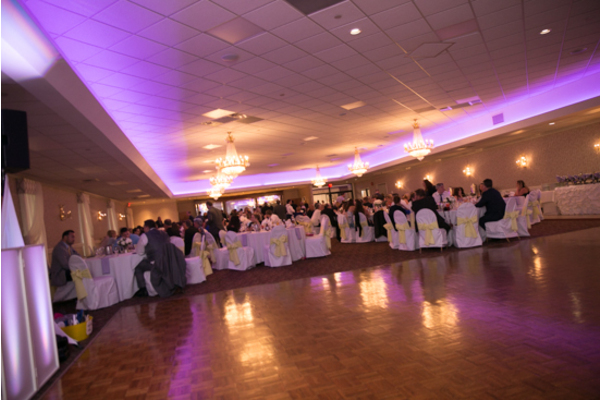 Later on as the night continued, loved ones proposed toasts and touching speeches. 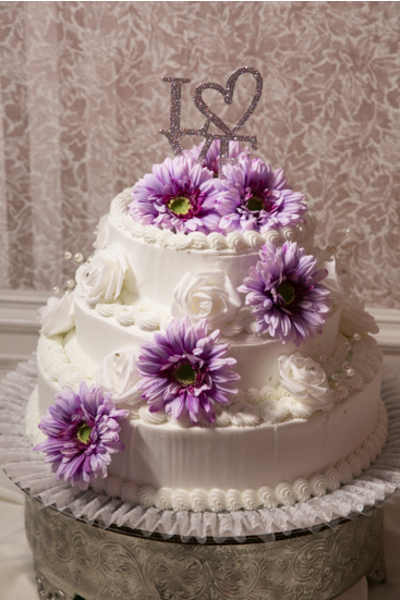 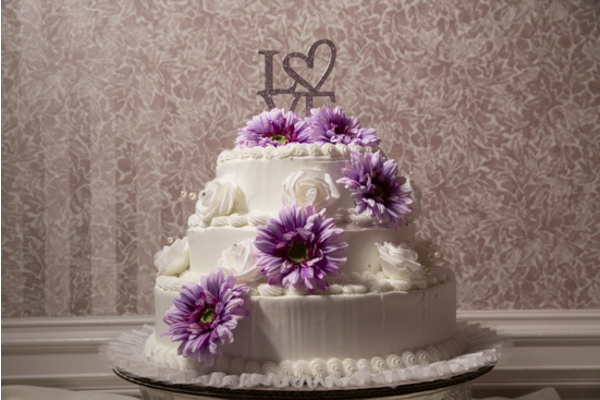 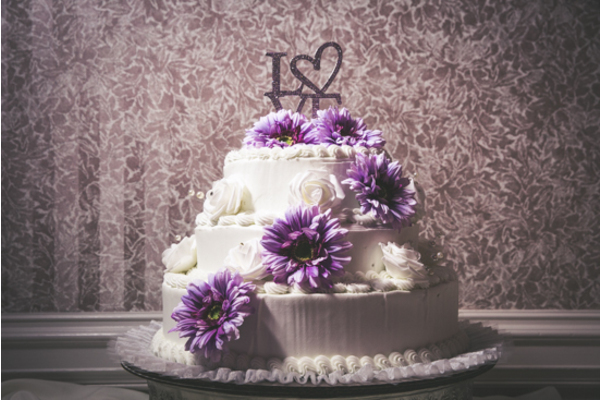 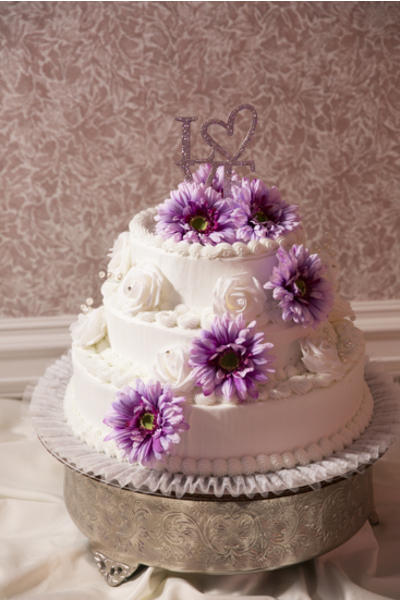 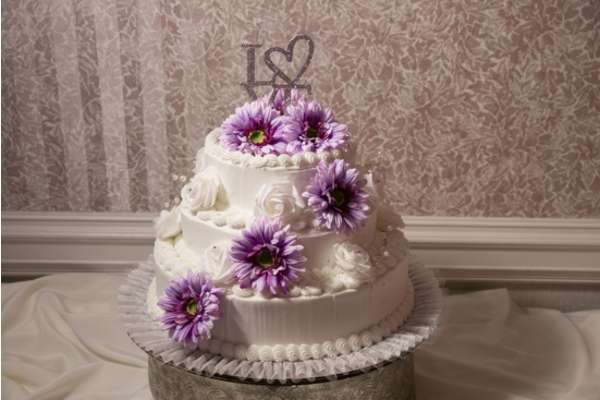 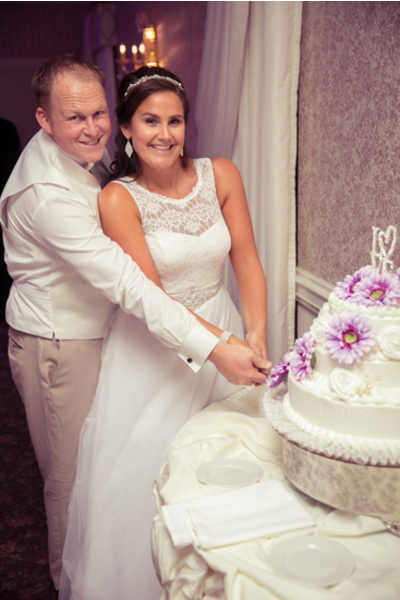 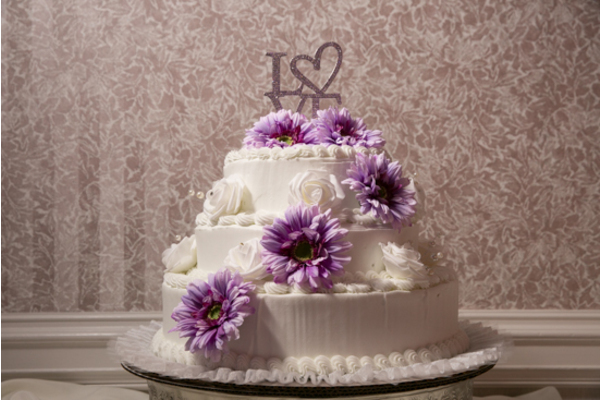 Together, Ashley and Kevin cut a piece of their cascading purple flower cake! 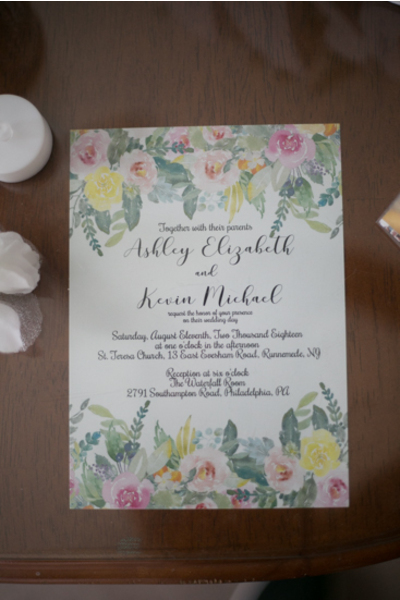 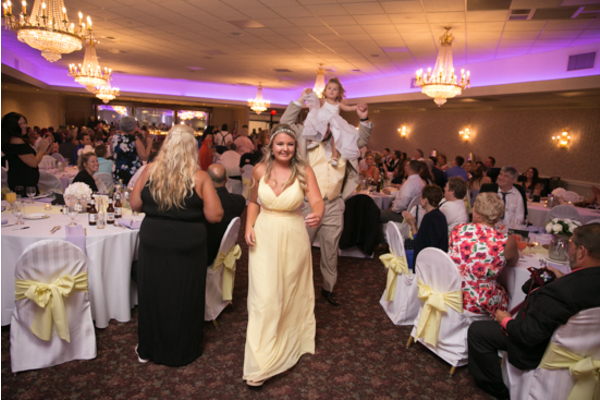 Congratulations again to Ashley and Kevin! 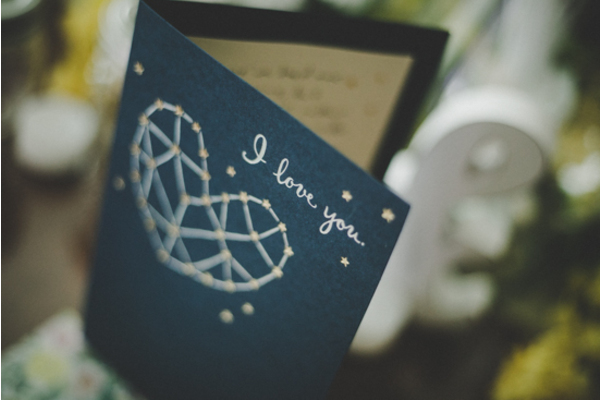 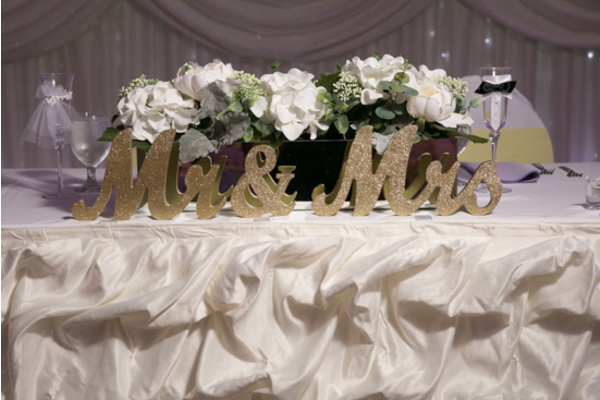 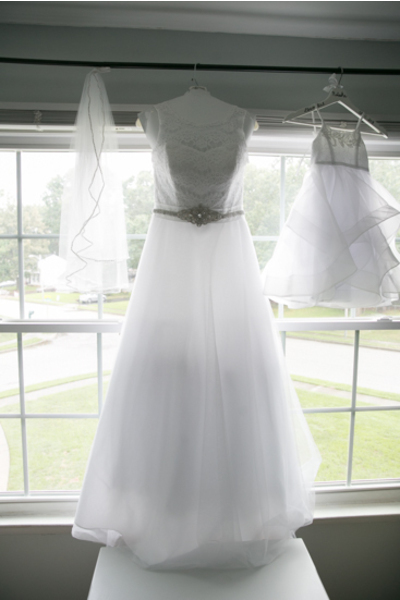 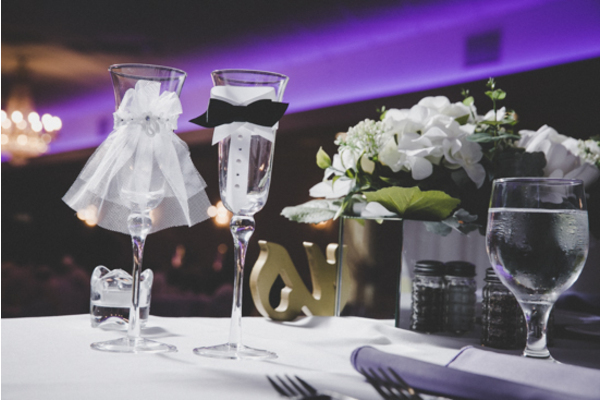 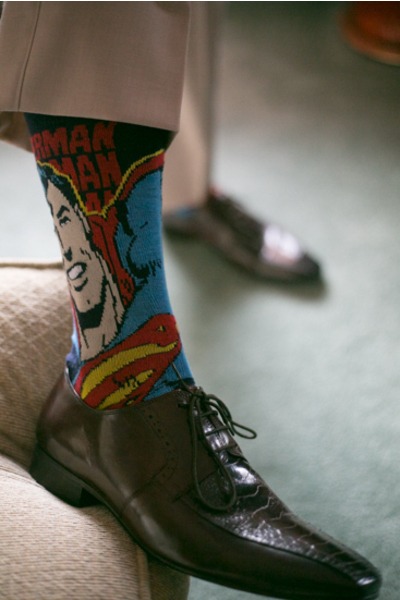 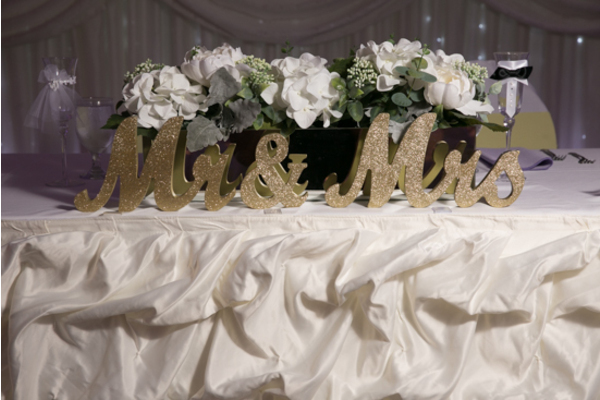 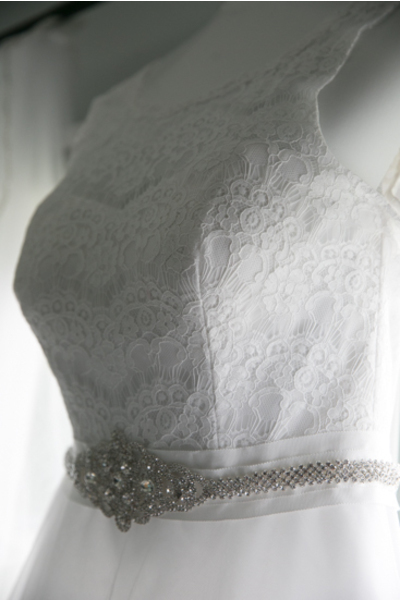 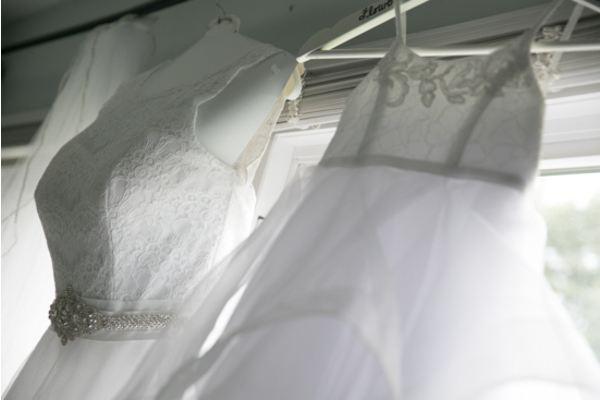 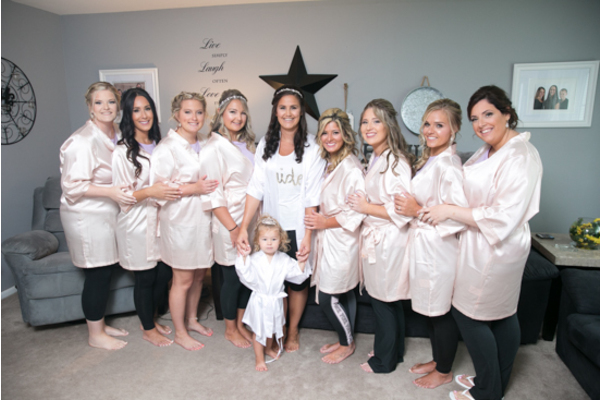 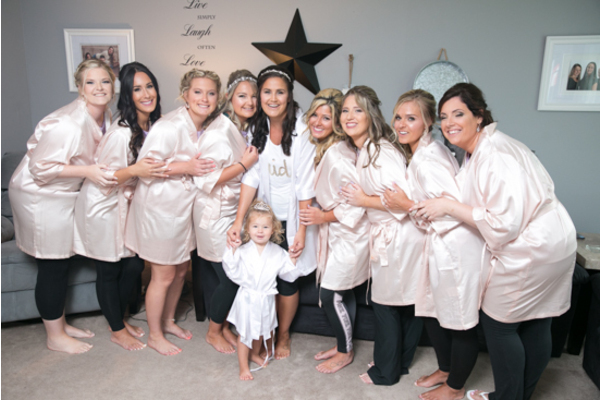 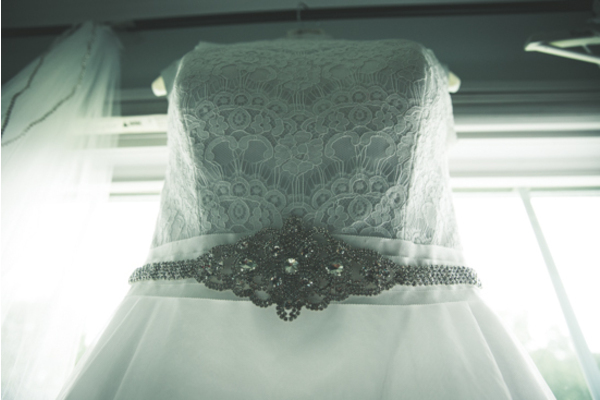 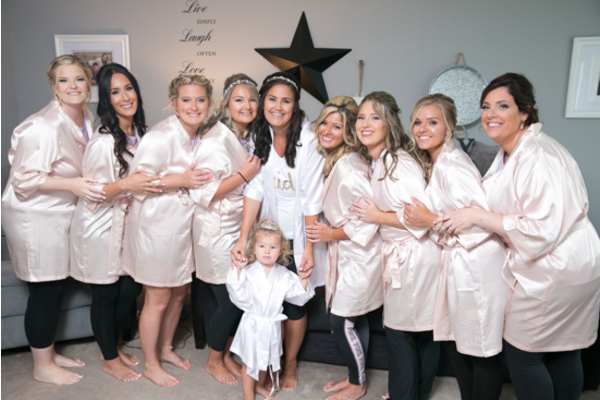 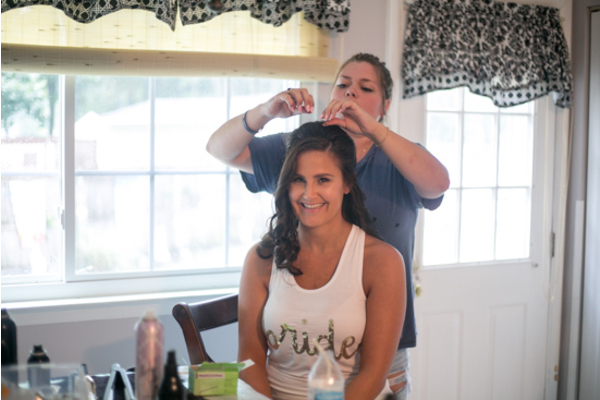 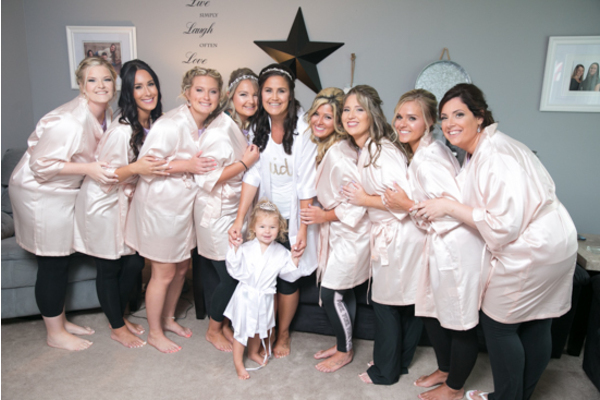 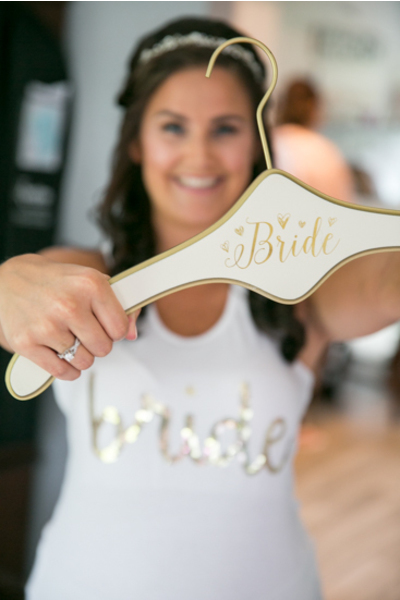 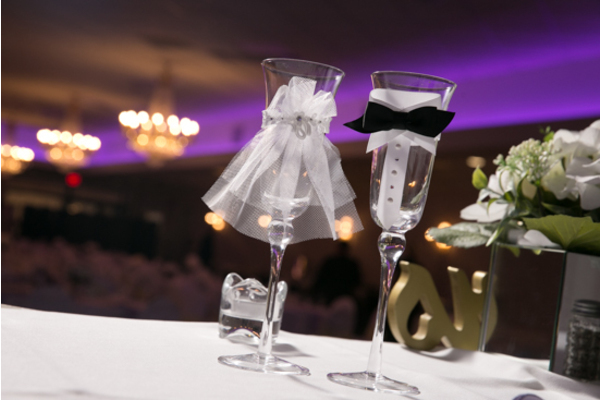 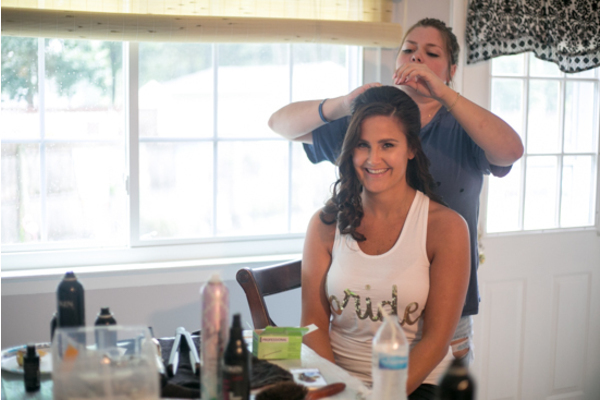 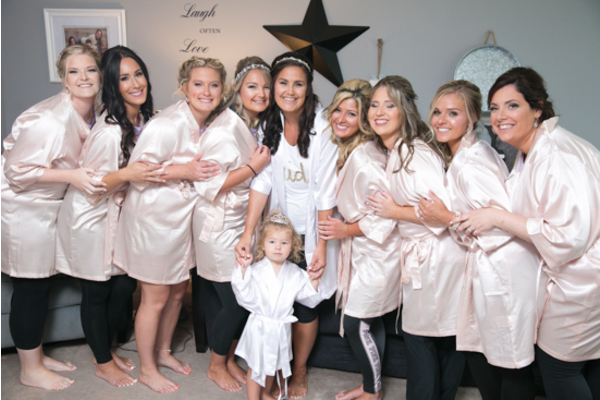 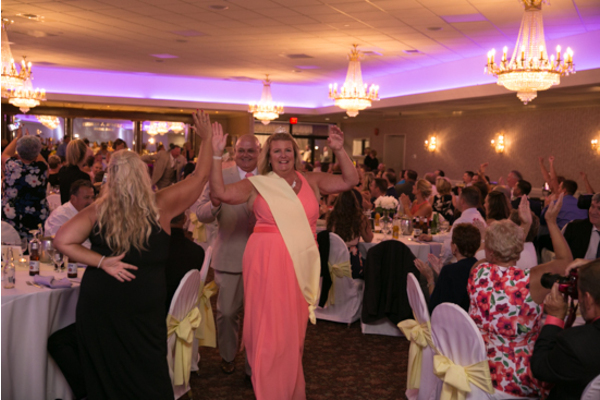 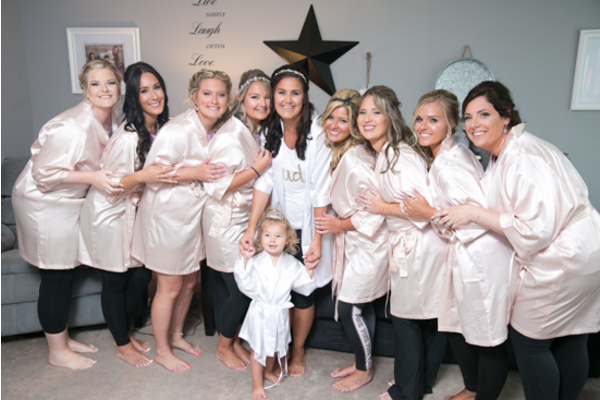 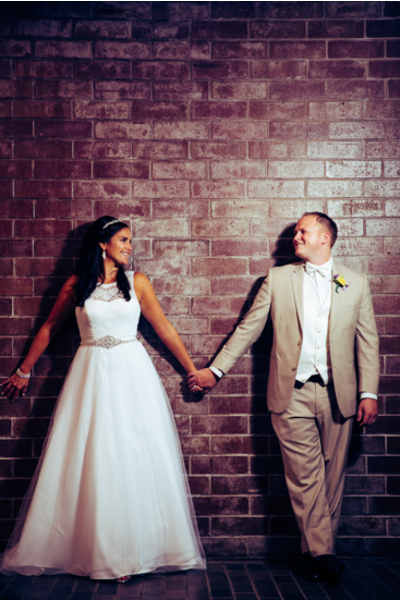 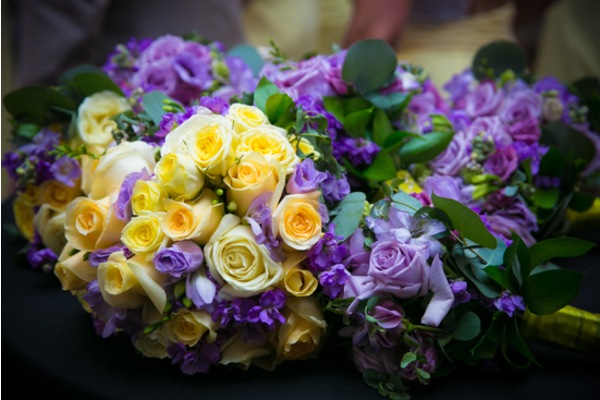 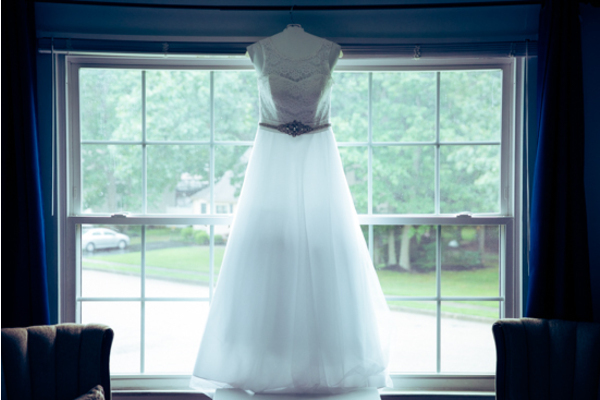 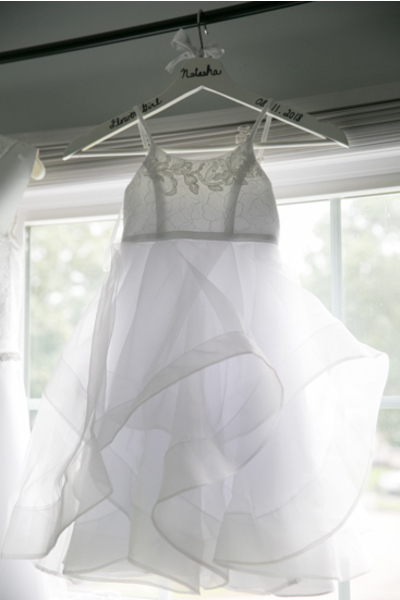 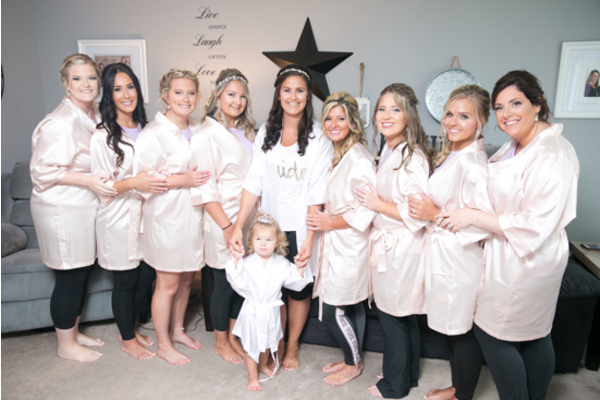 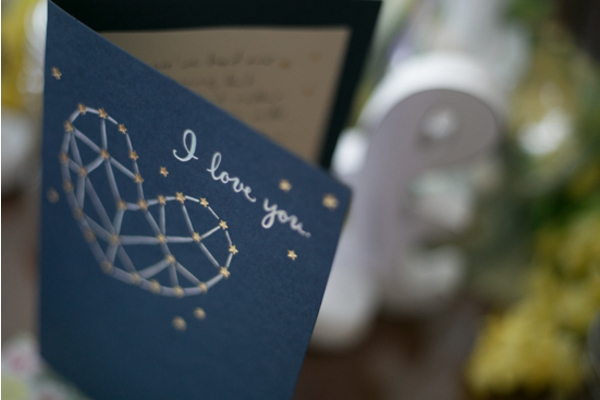 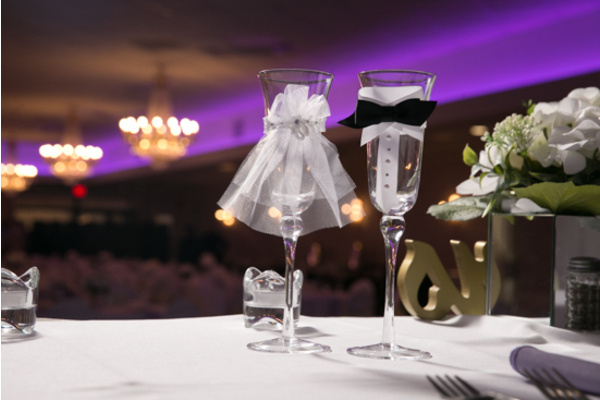 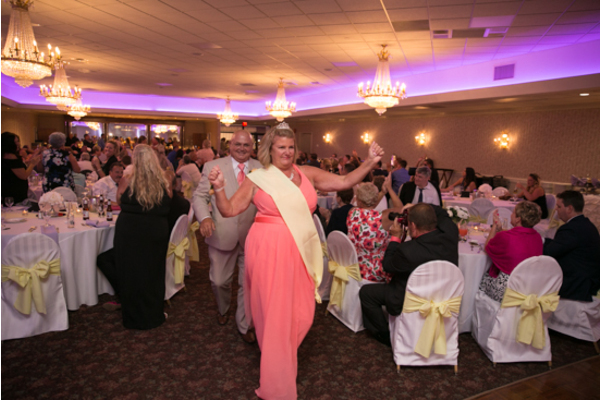 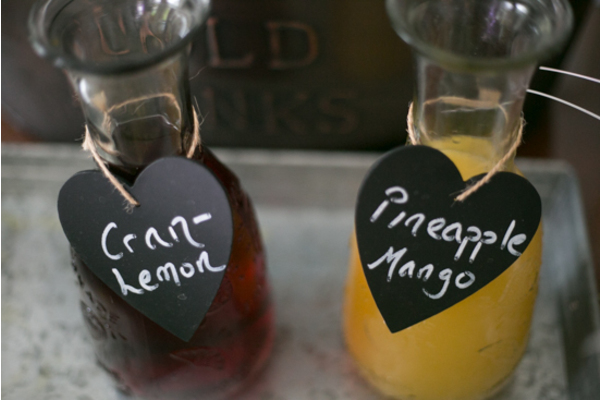 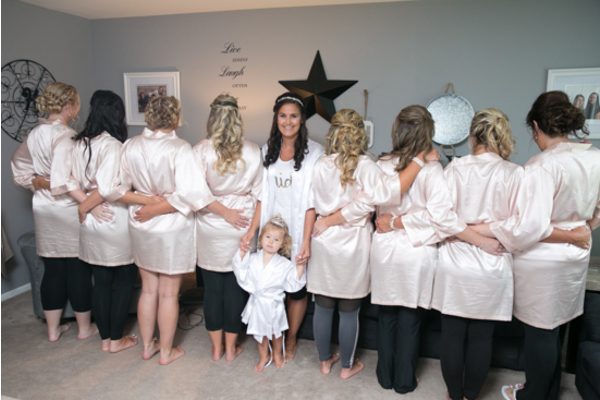 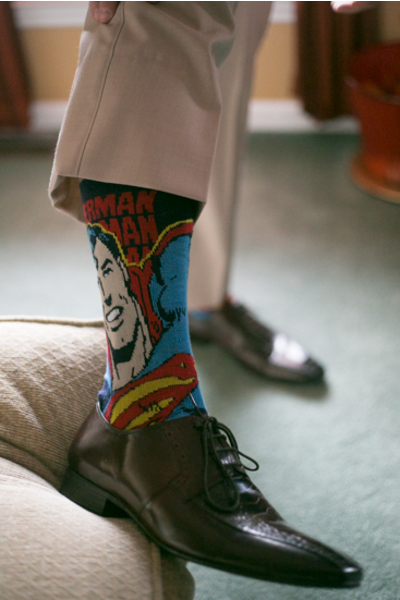 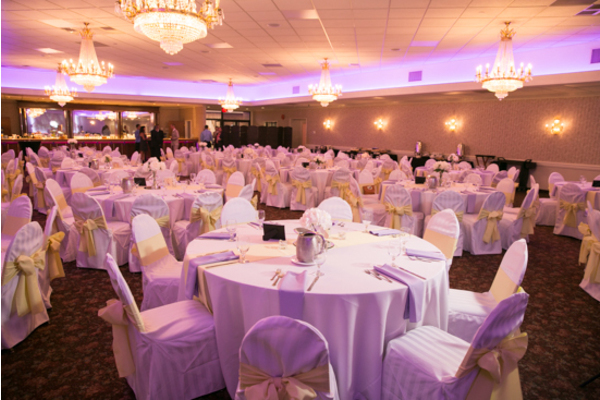 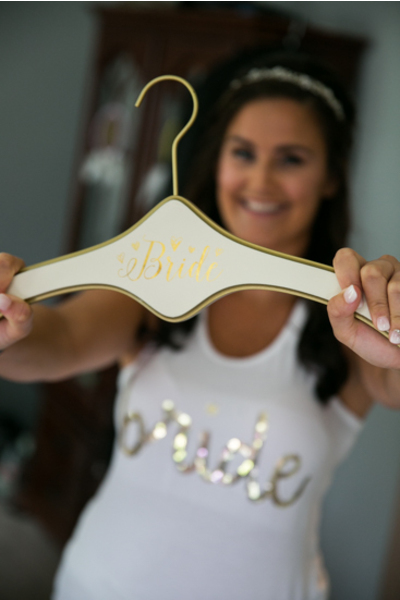 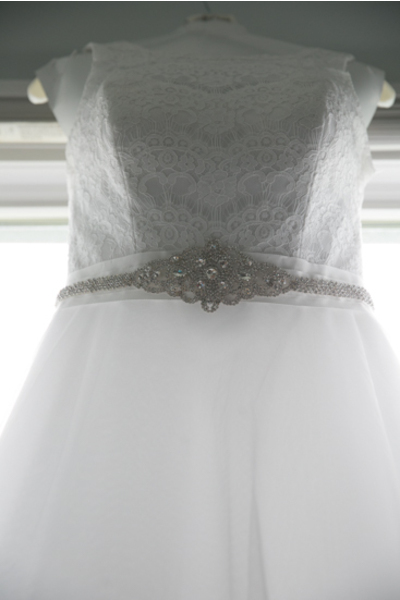 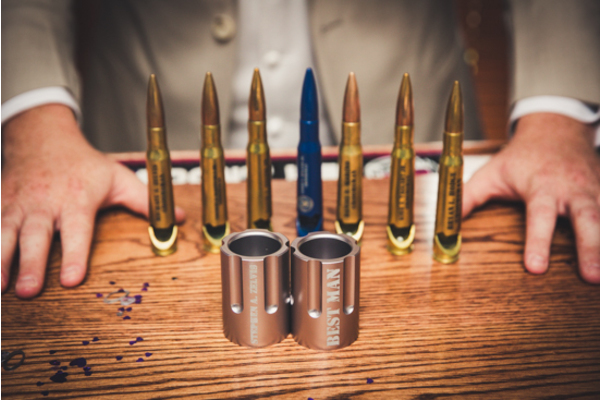 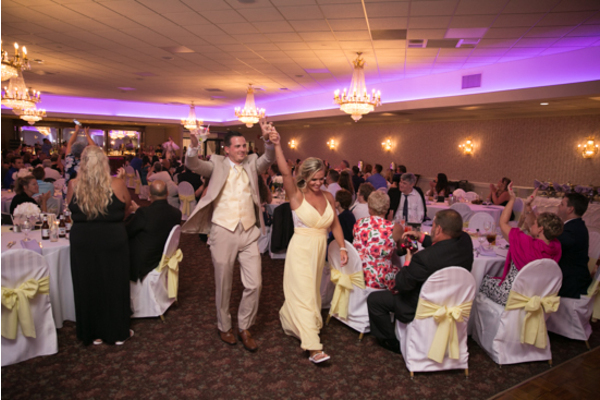 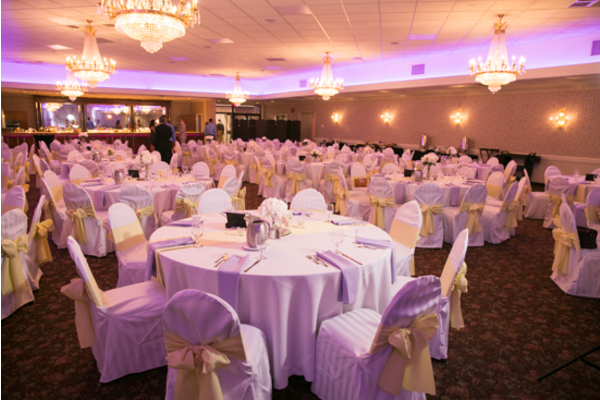 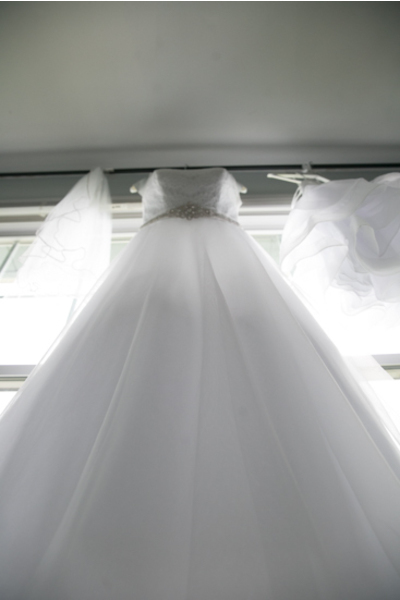 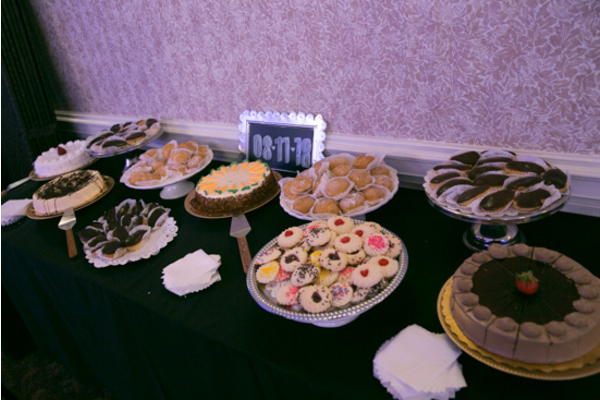 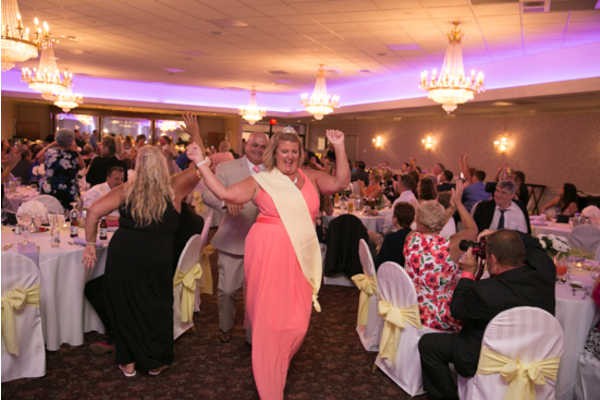 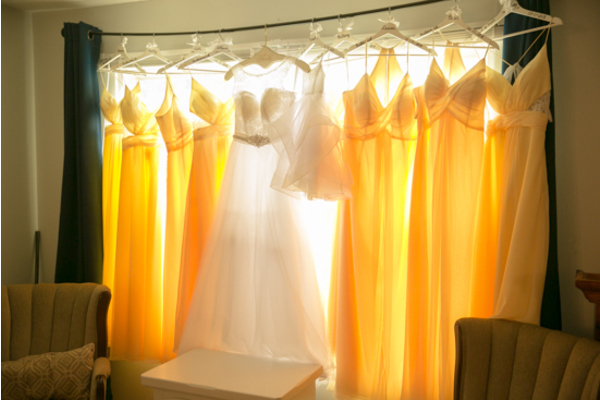 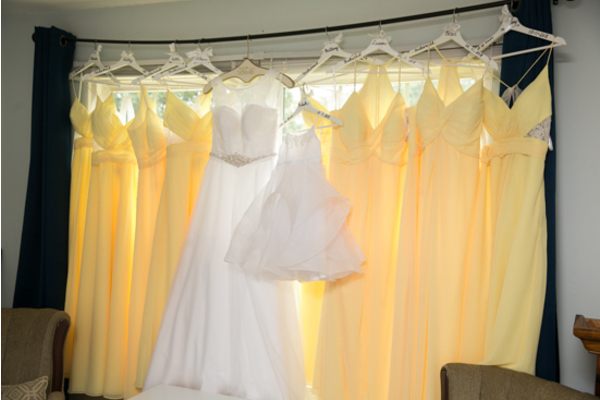 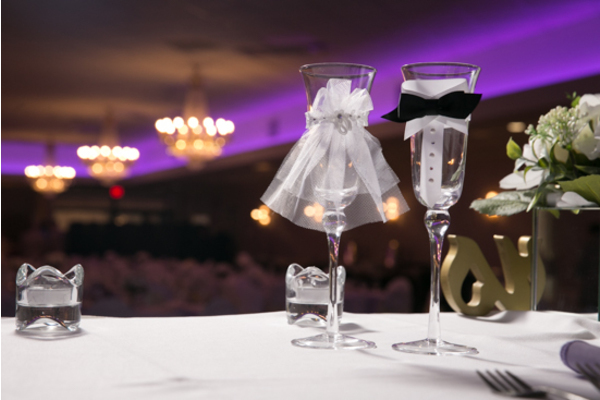 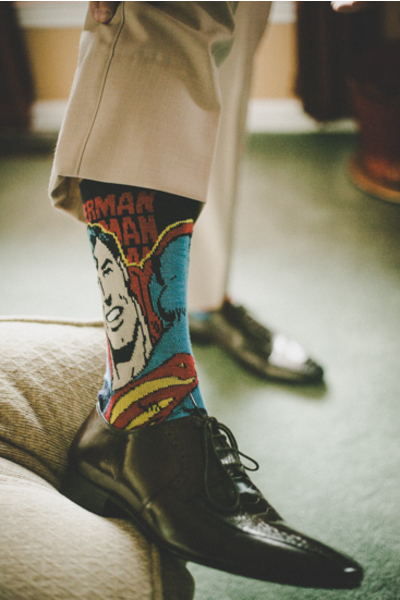 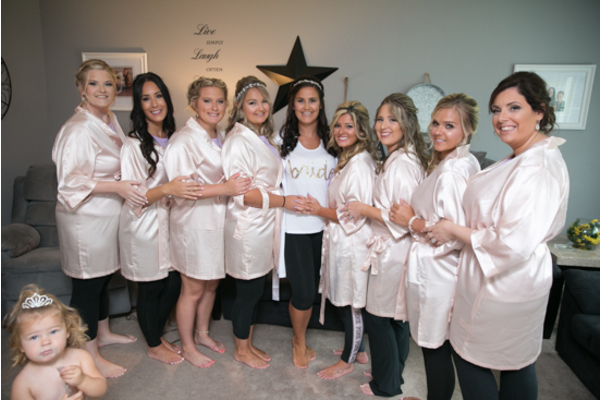 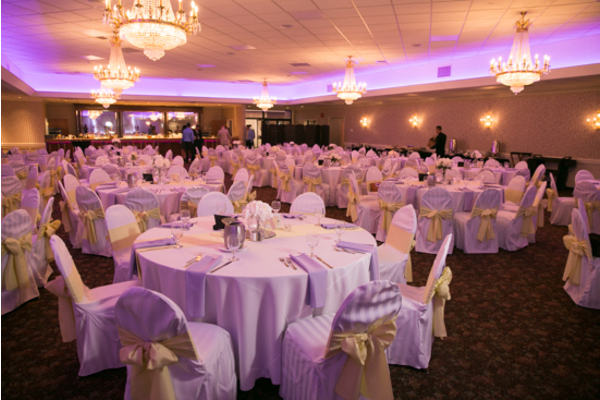 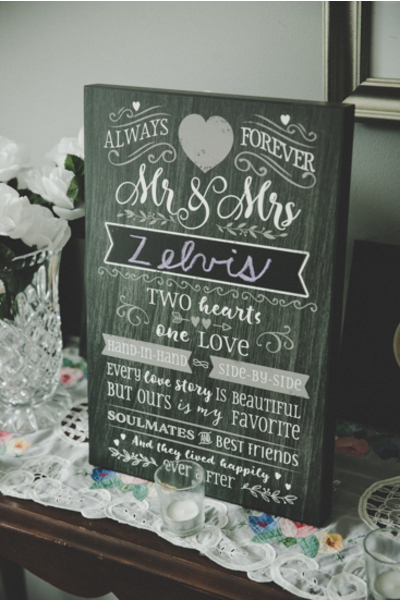 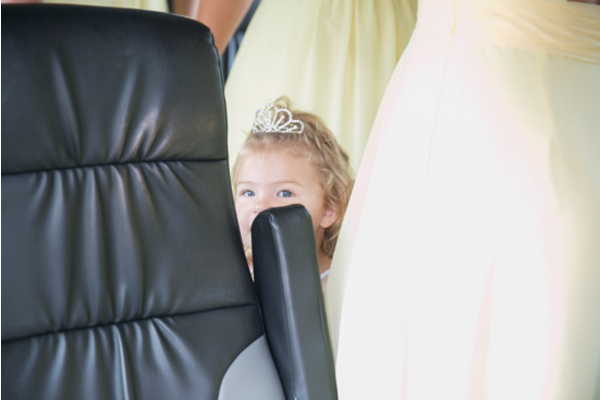 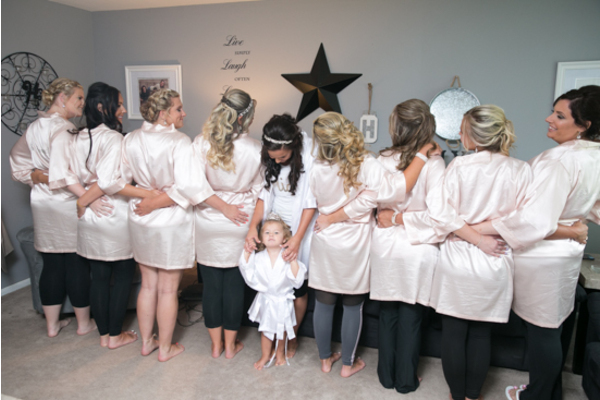 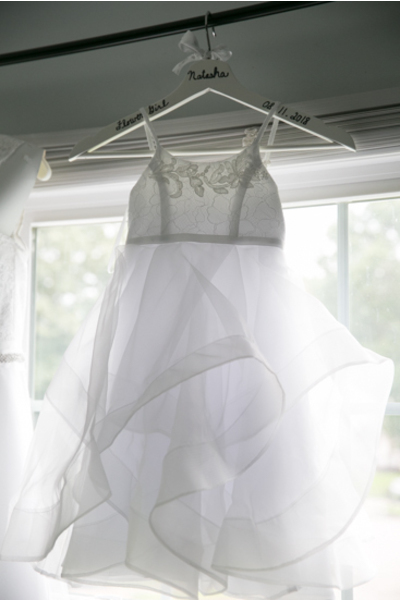 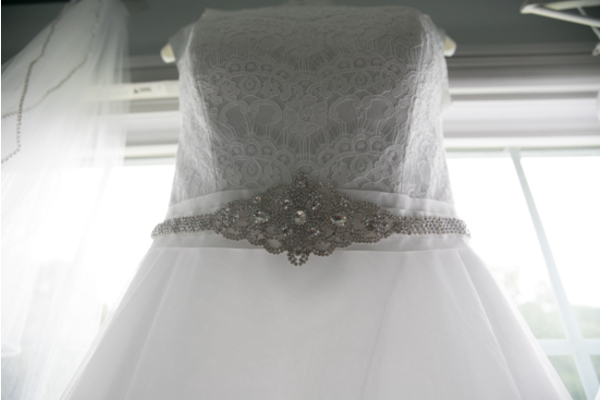 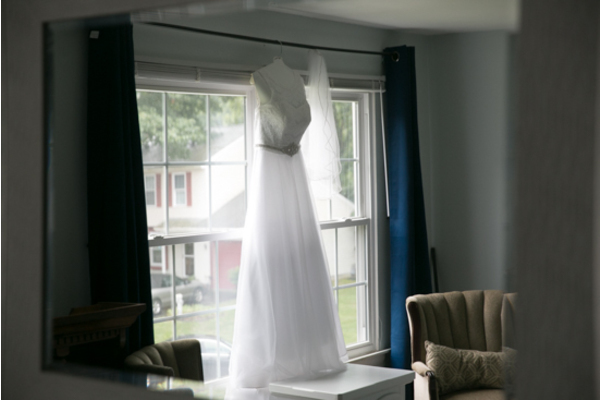 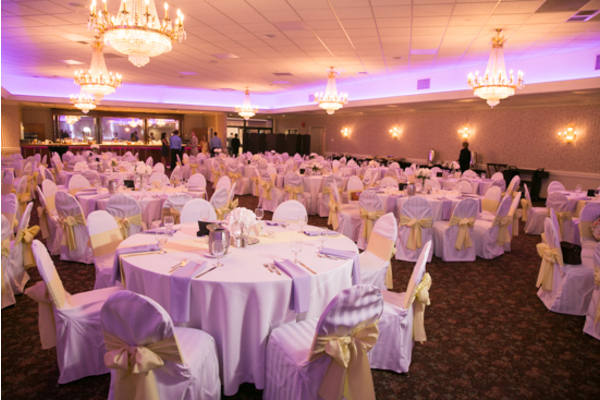 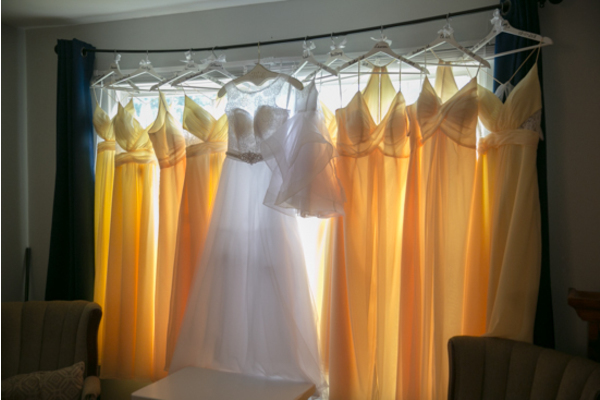 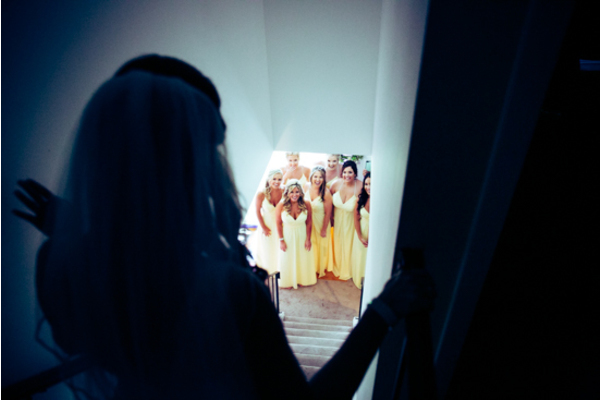 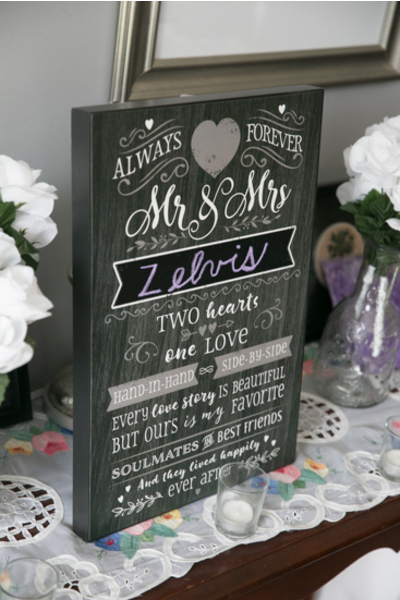 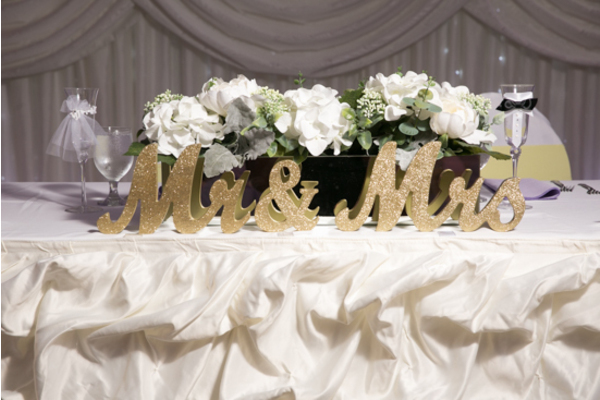 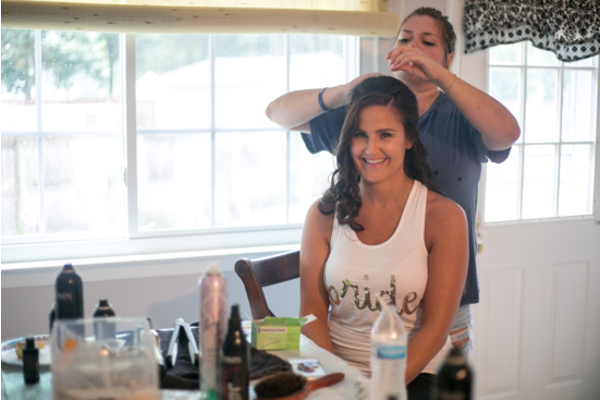 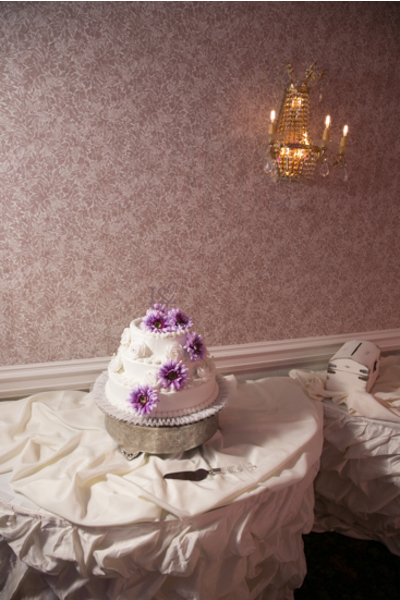 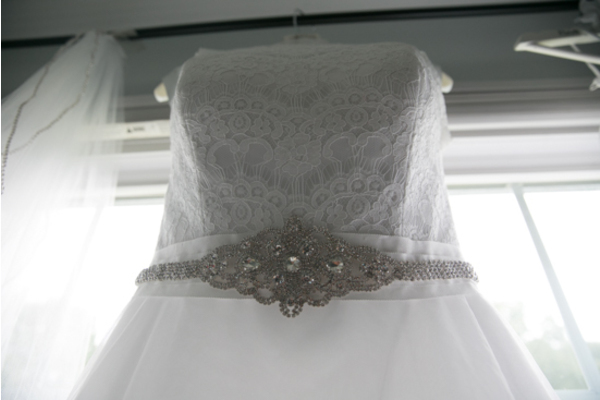 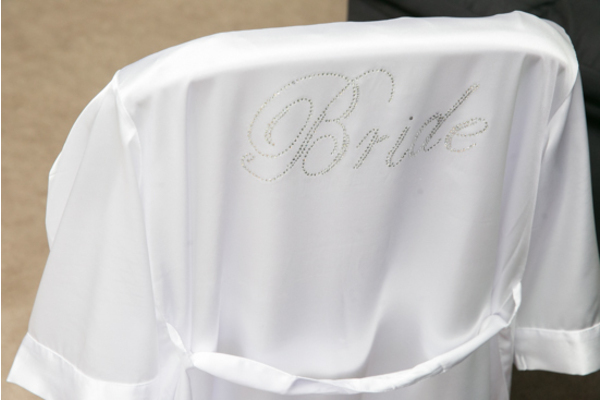 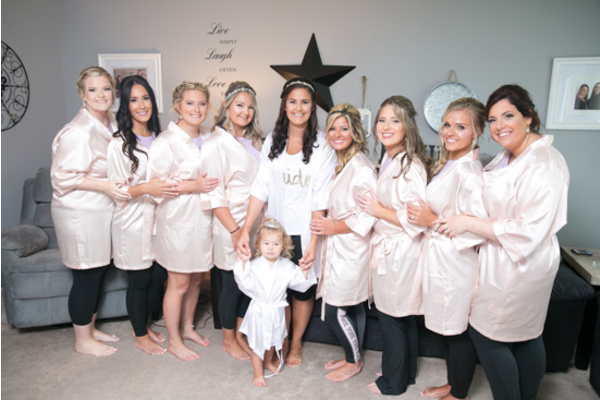 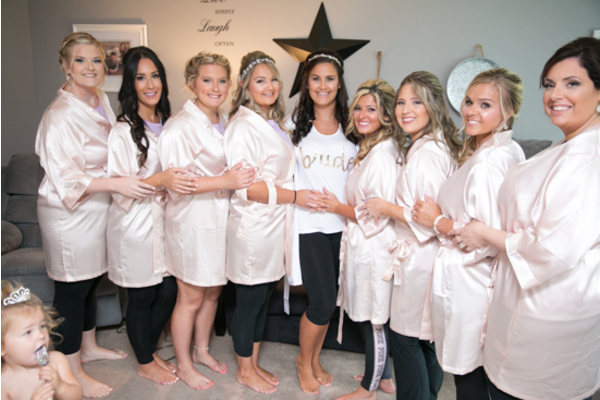 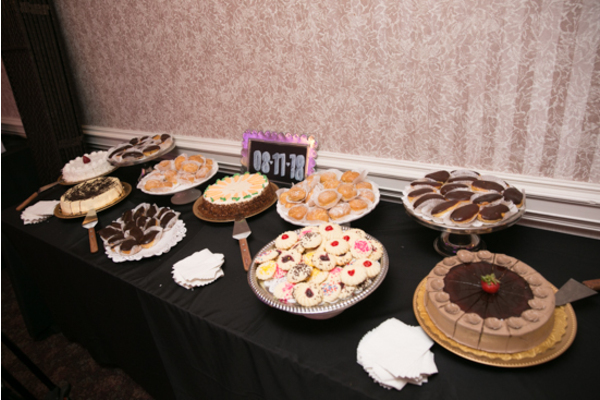 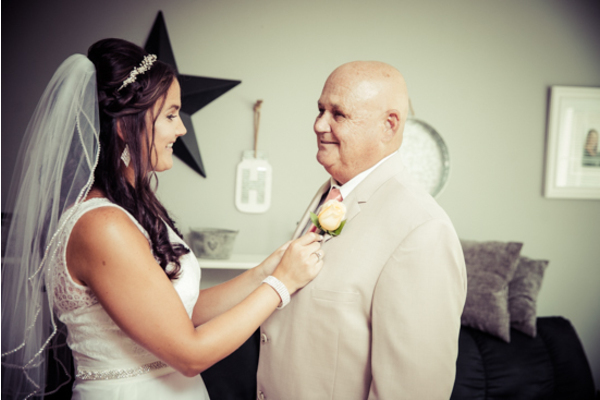 We were so happy to be included in the makings of your dream wedding!